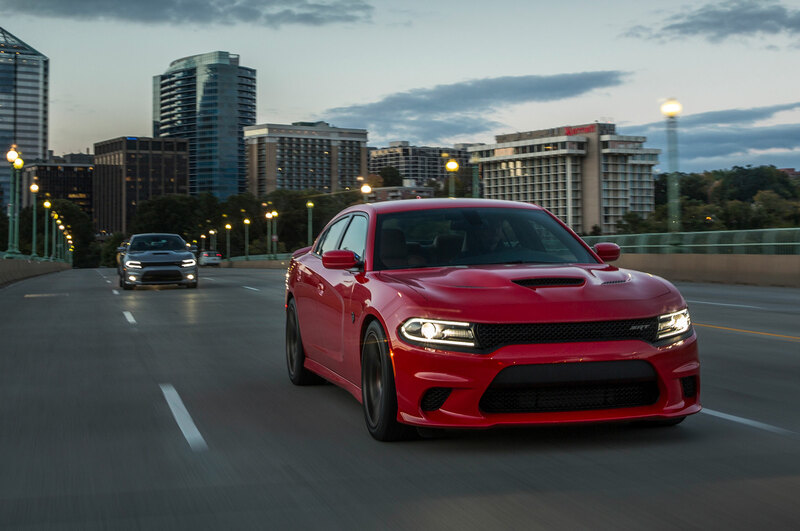 Oh, those zany Dodge boys. 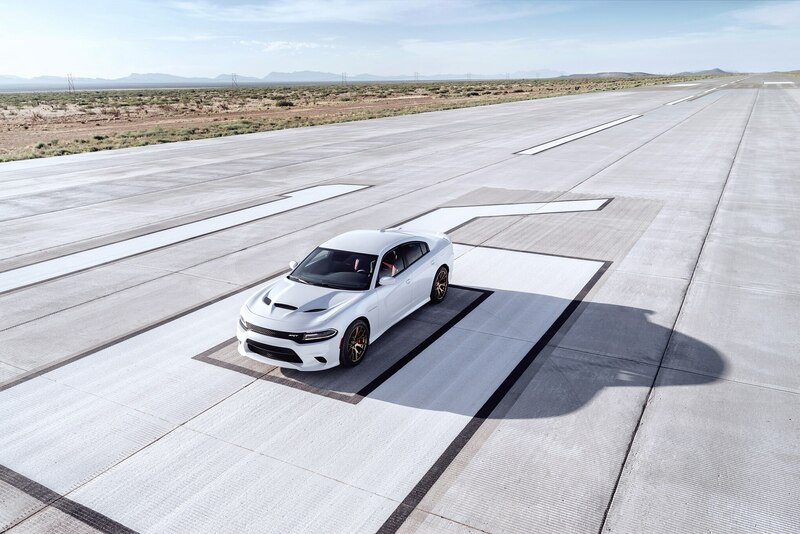 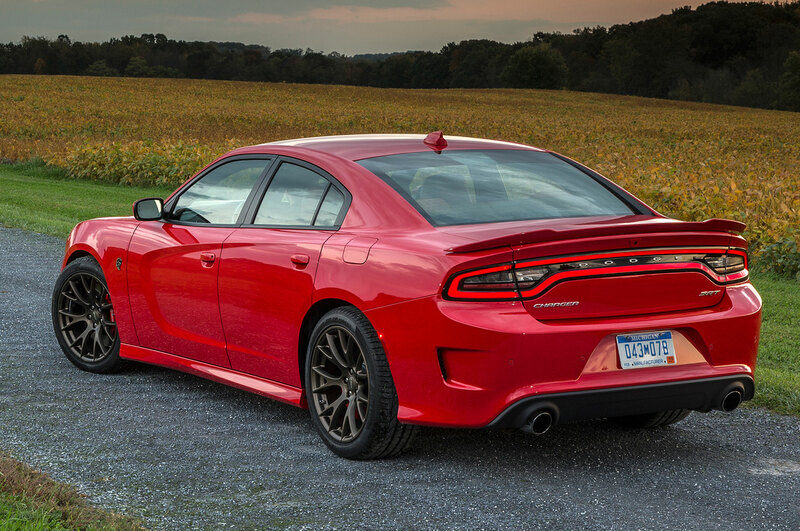 First they launch the headline-stealing Challenger Hellcat from the bowels of, well, Detroit. 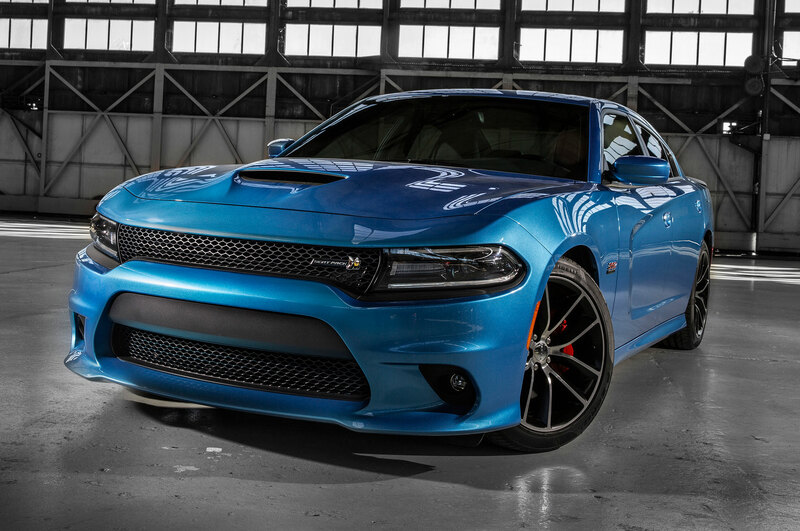 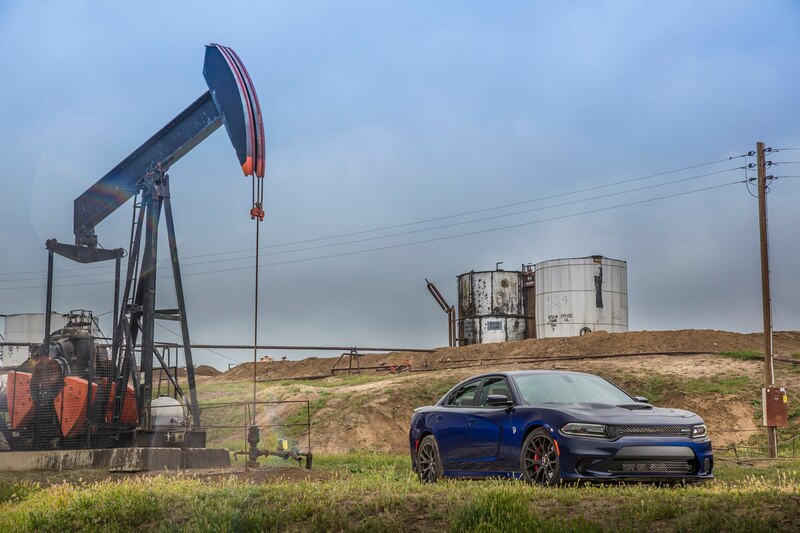 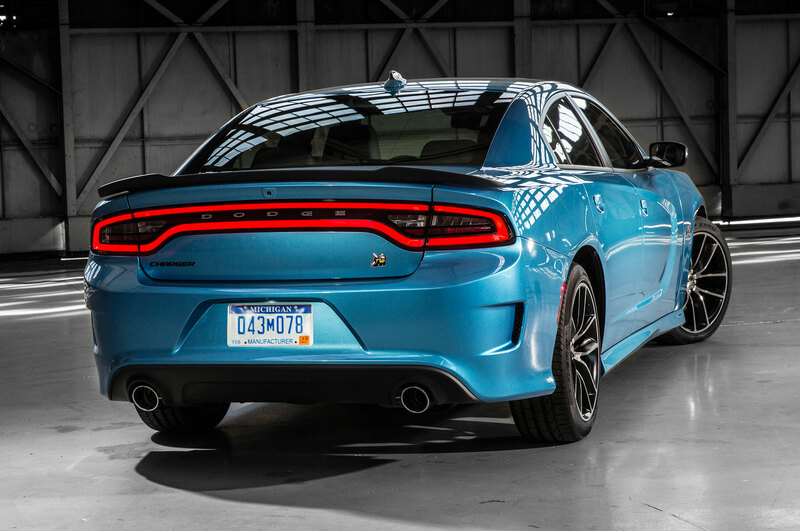 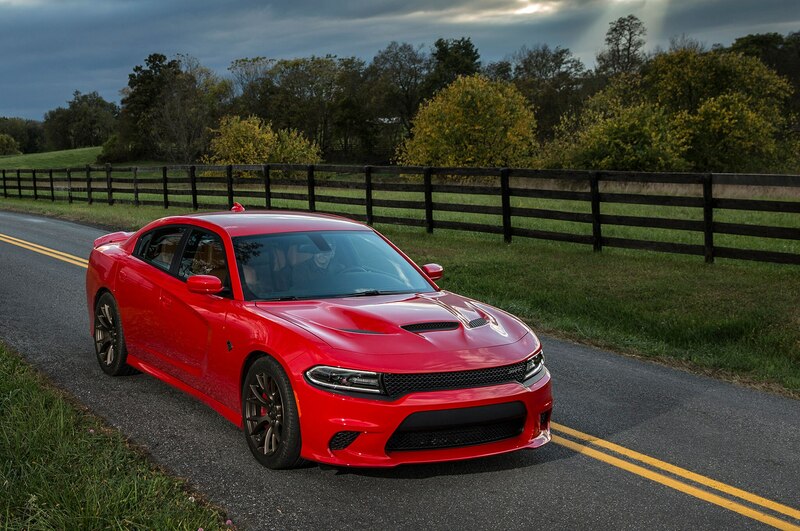 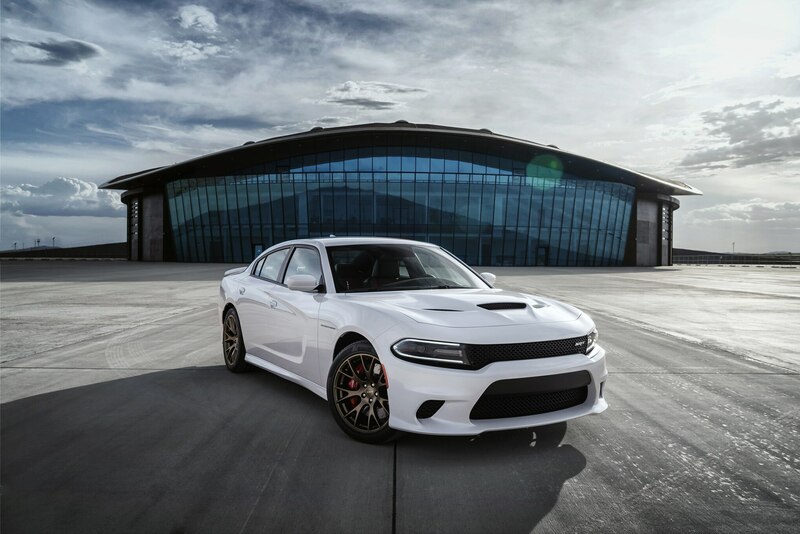 Why not try a 707-horsepower version of that favored four-door of NASCAR families, the Charger? 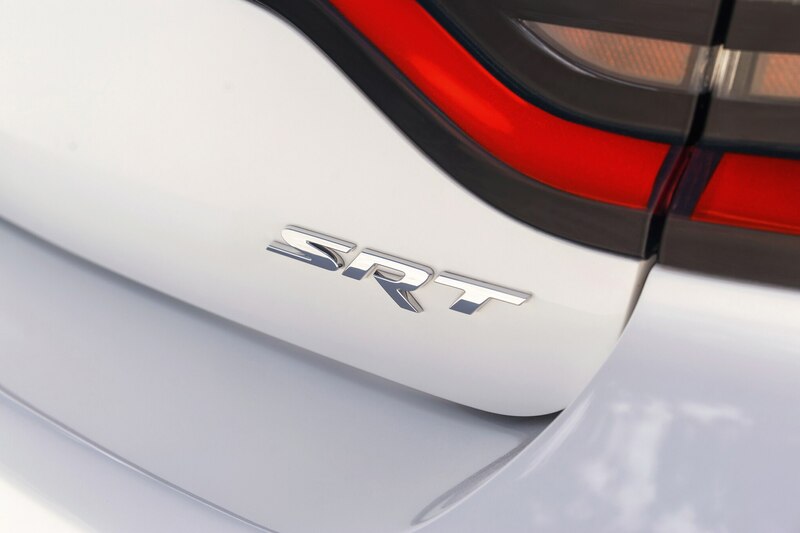 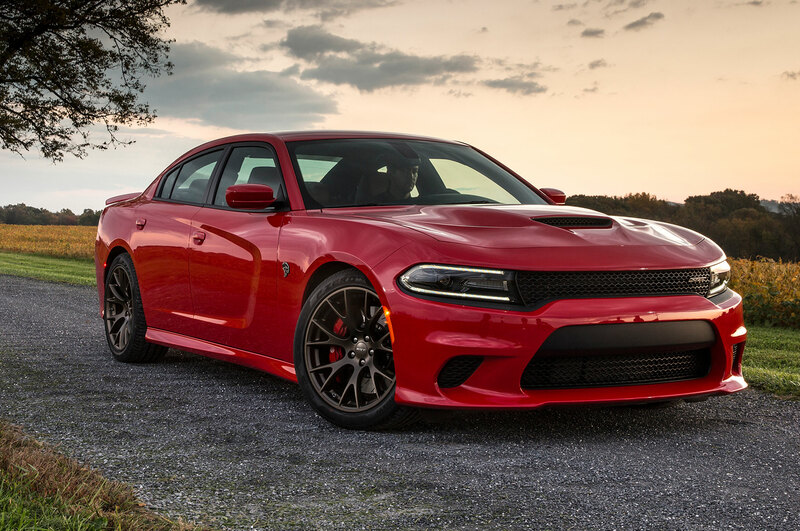 At this point, a Ram Hellcat wouldn’t be a surprise, one that might erase memories of the god-awful Ram SRT-10 of 2004-2006. 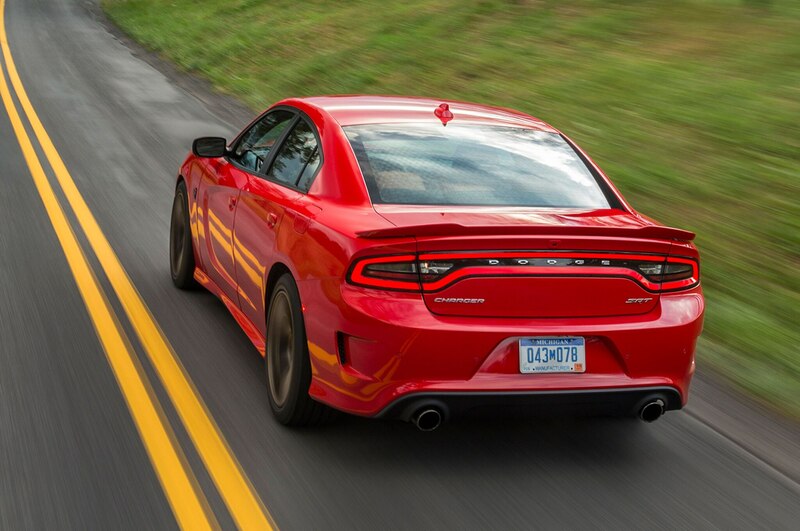 Those dueling spirits were highlighted on a burbling cruise from Washington, D.C., to Summit Point Raceway in West Virginia. 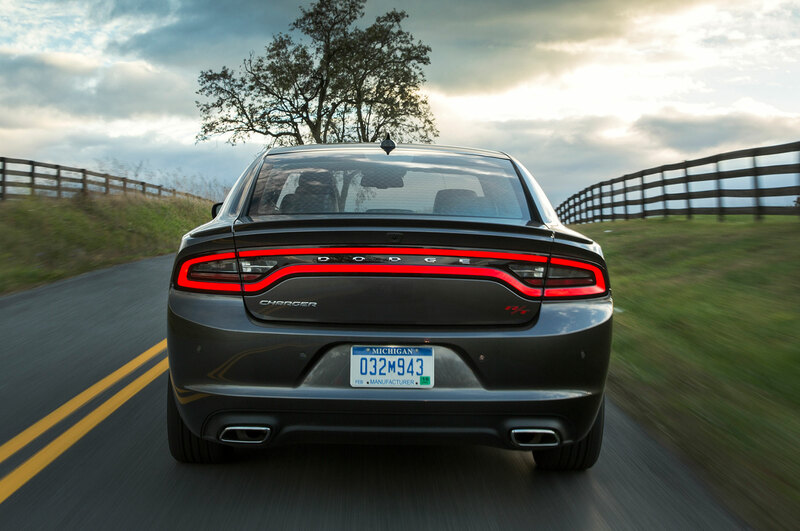 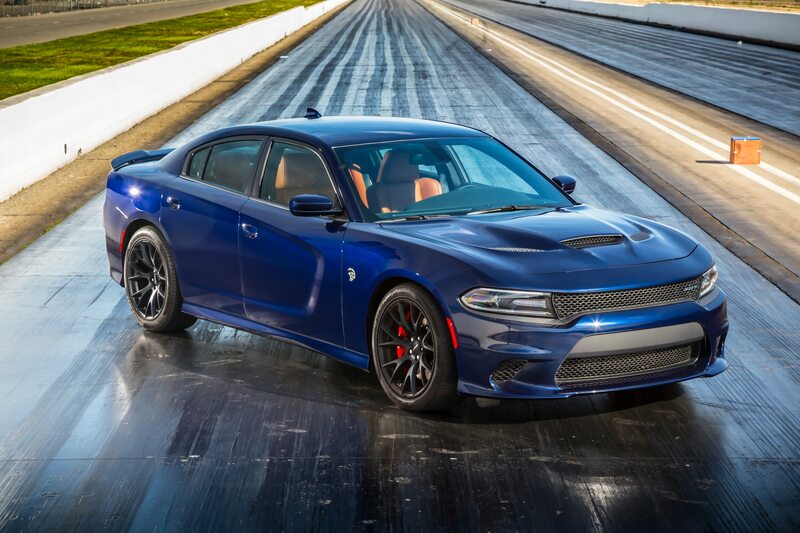 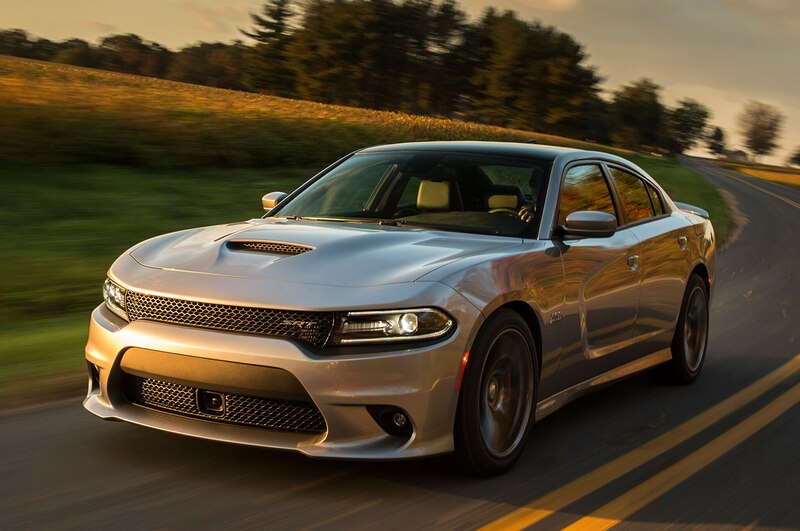 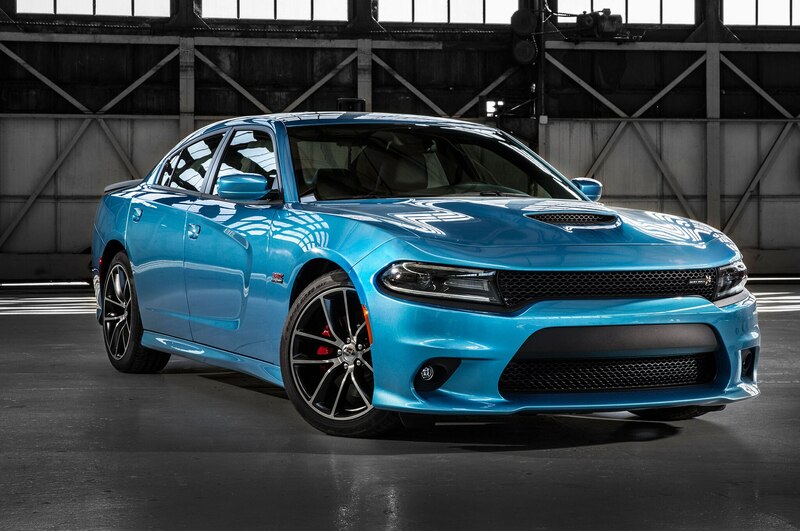 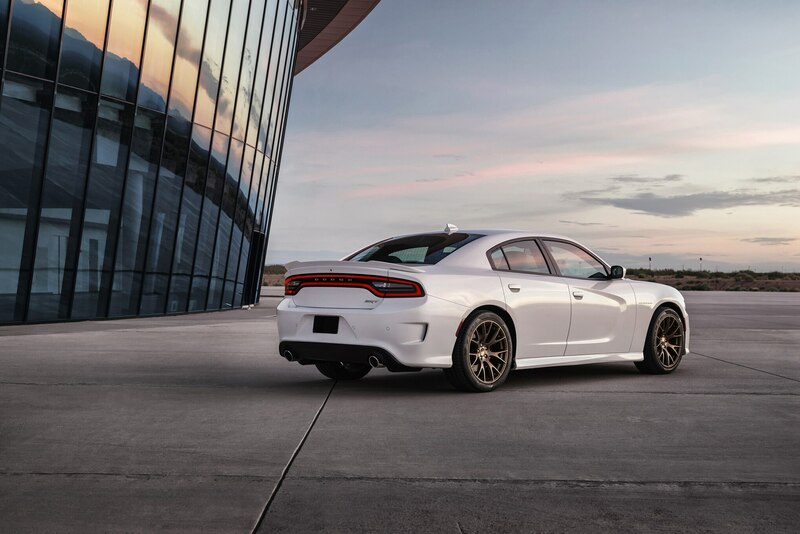 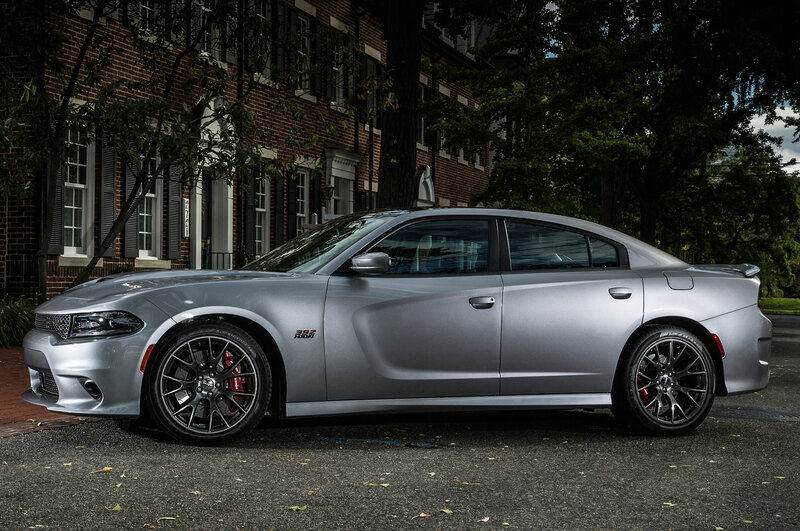 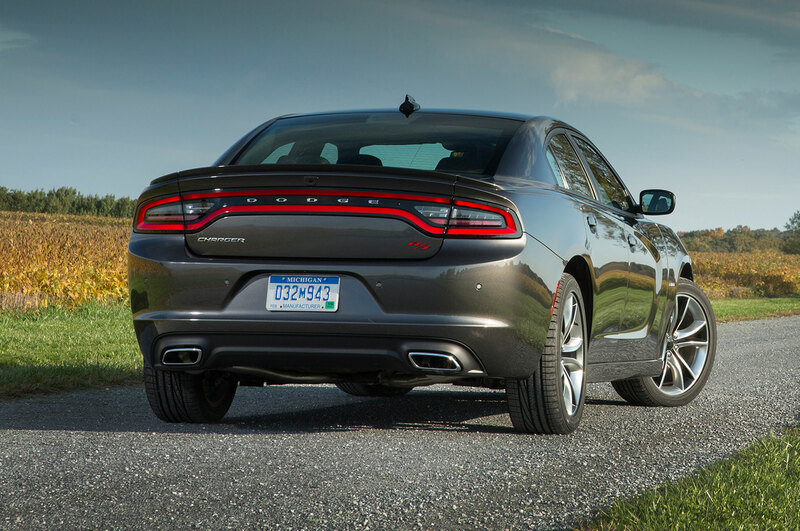 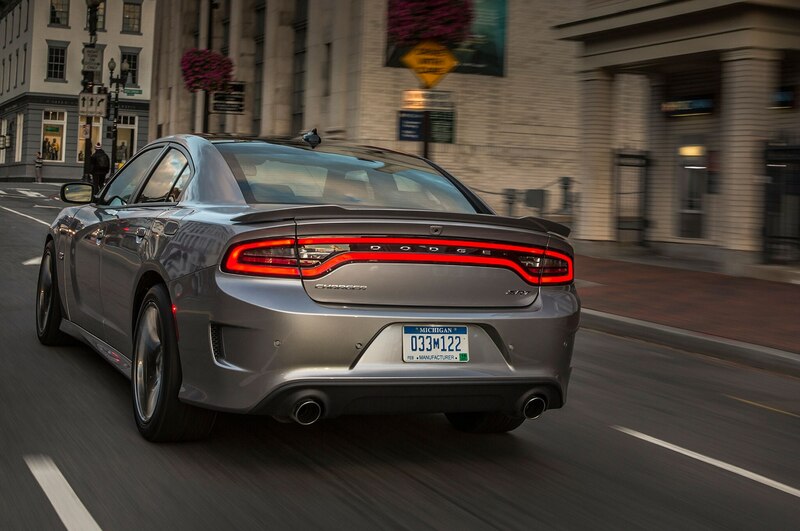 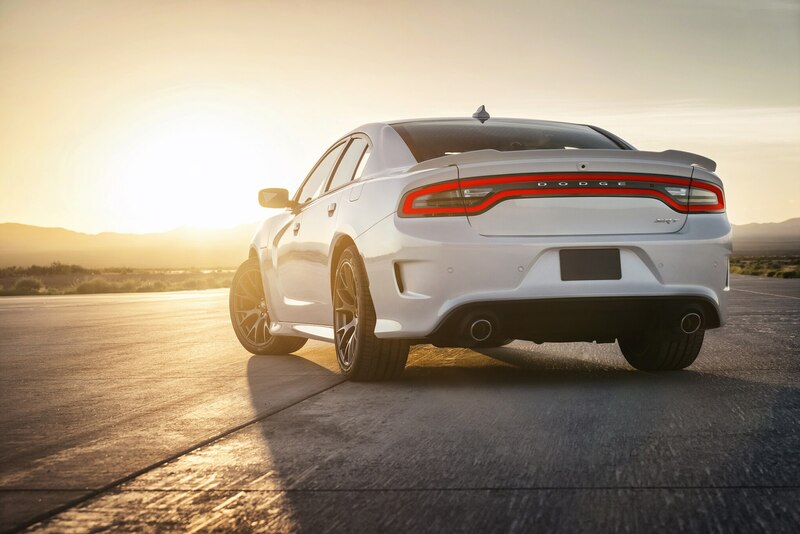 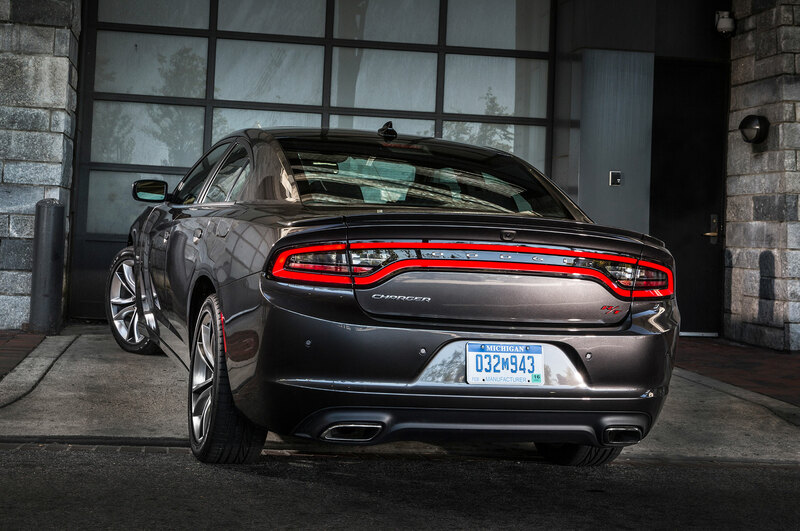 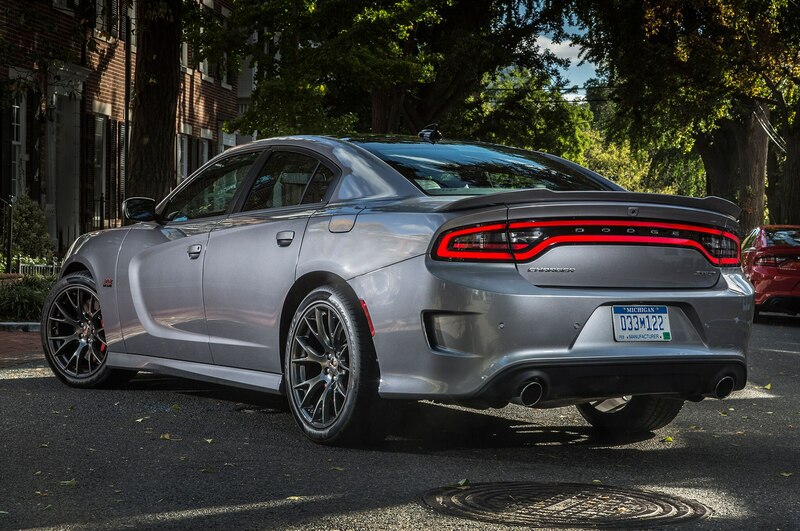 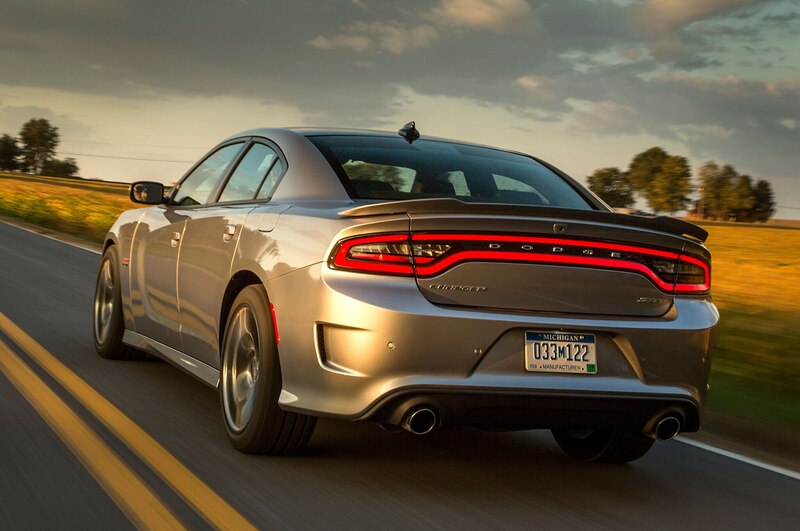 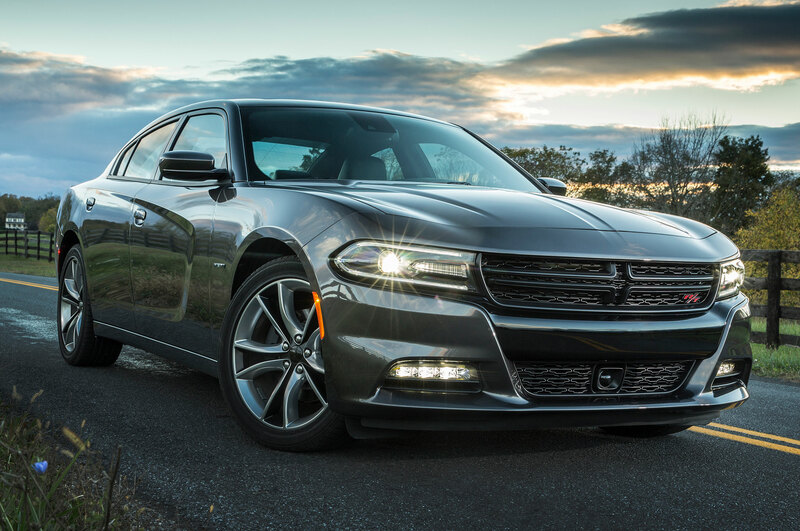 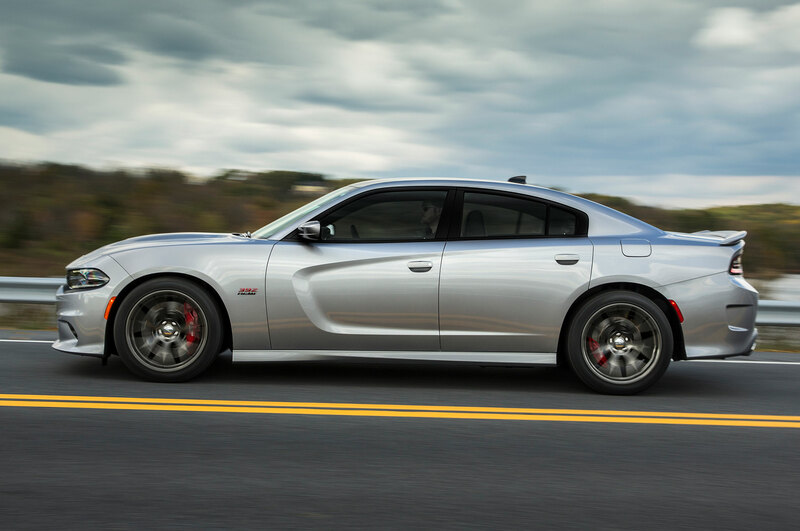 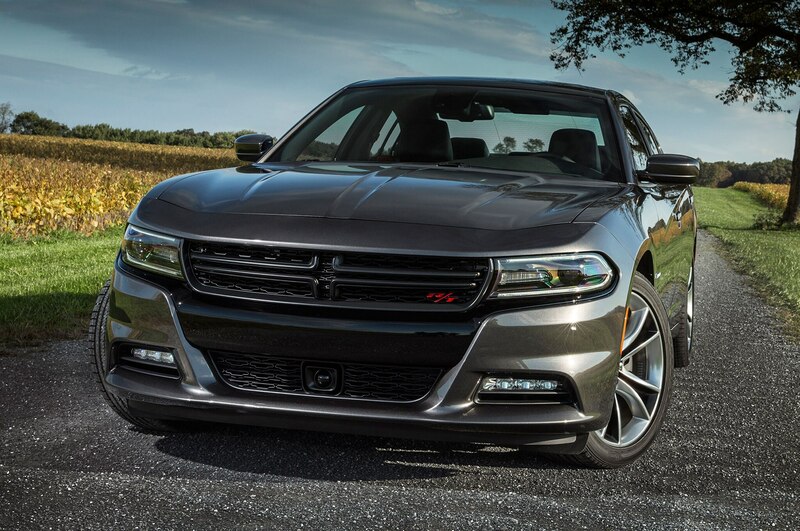 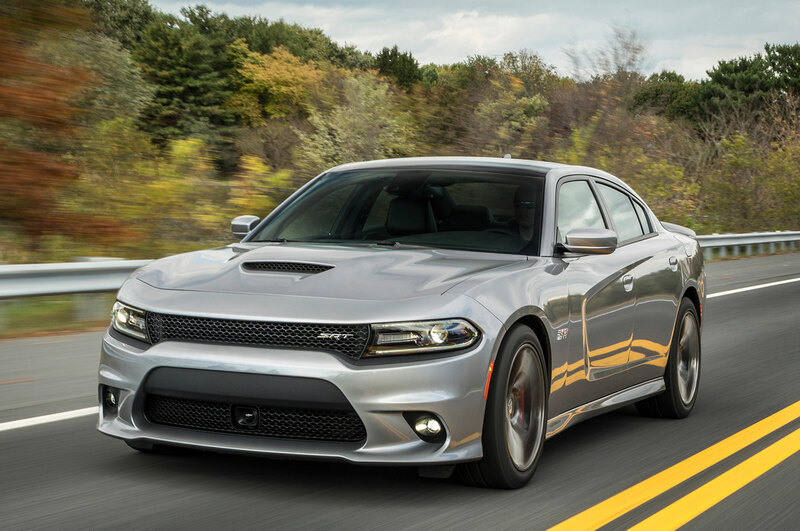 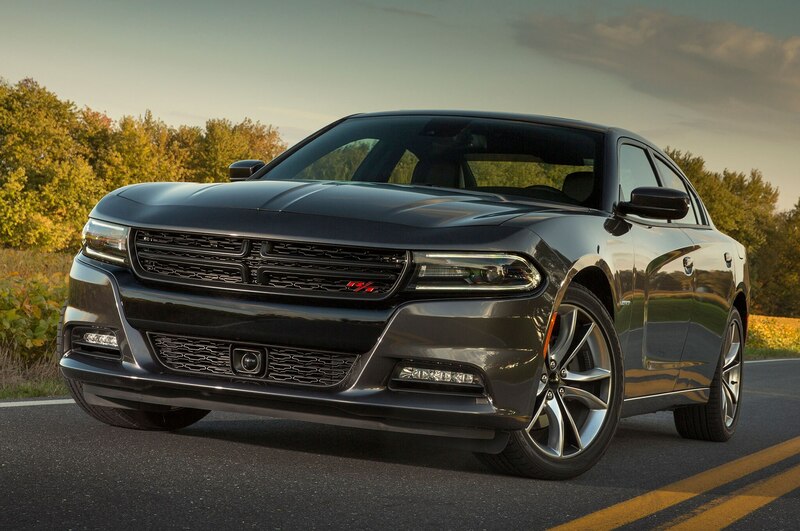 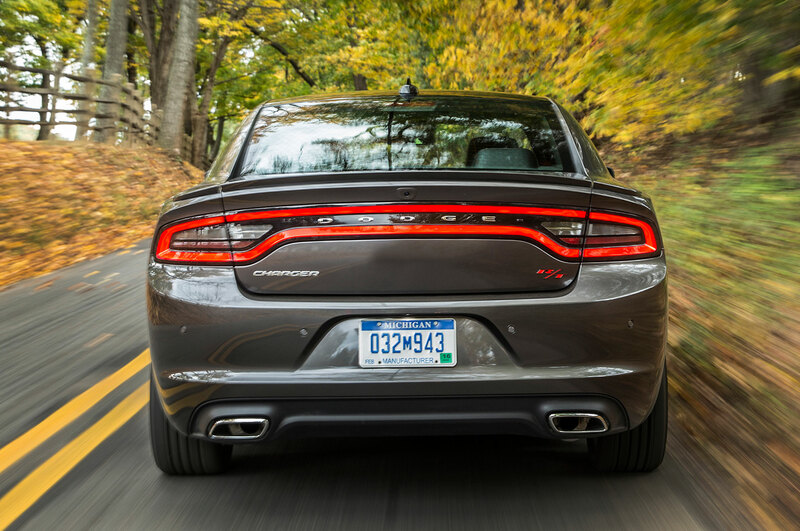 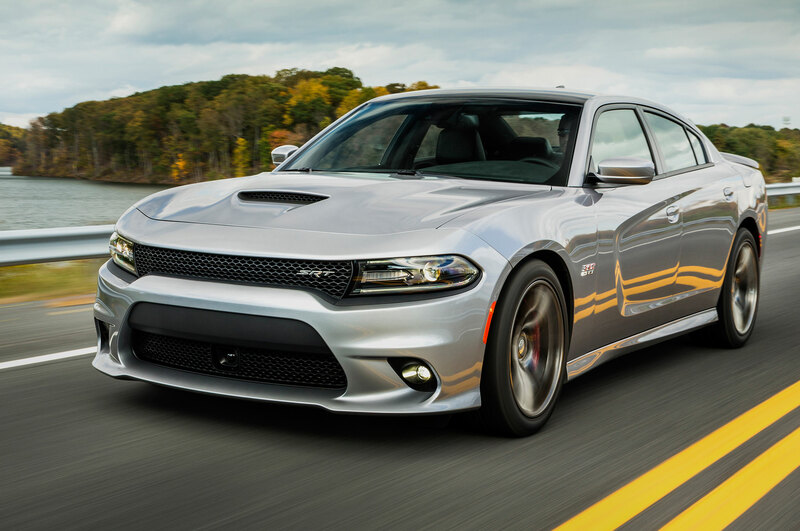 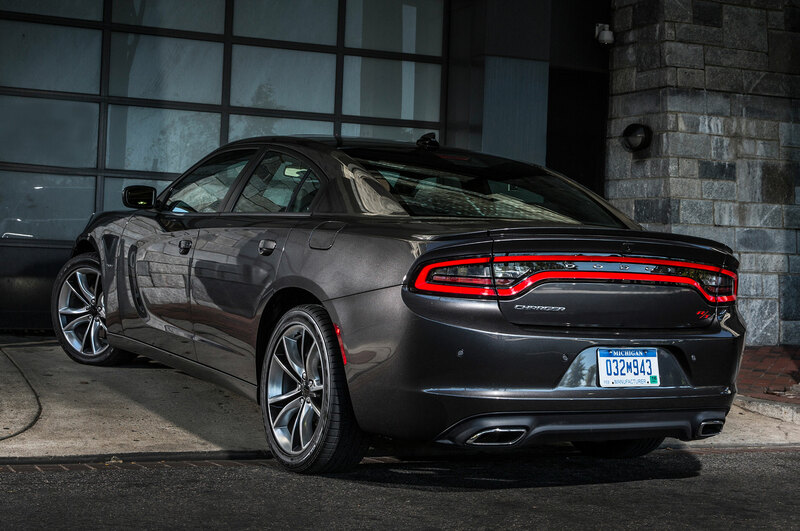 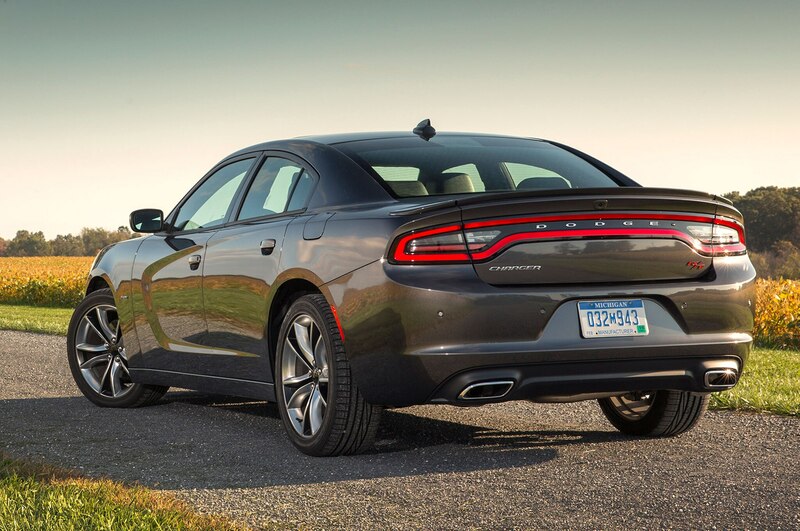 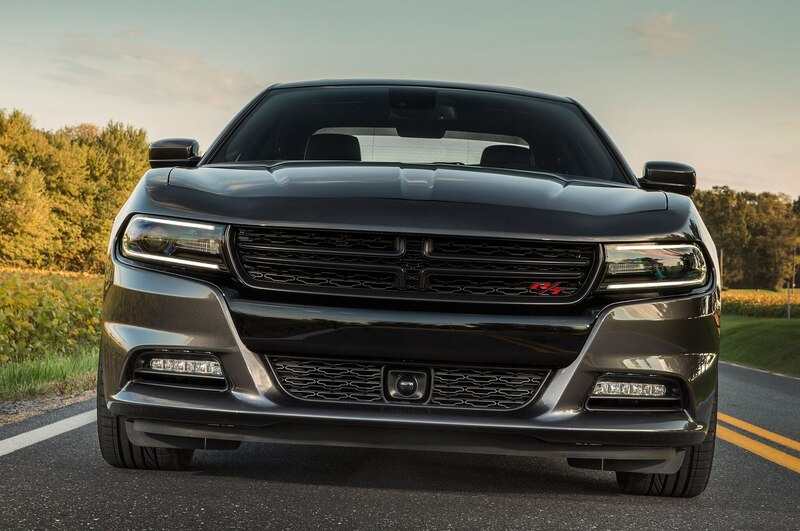 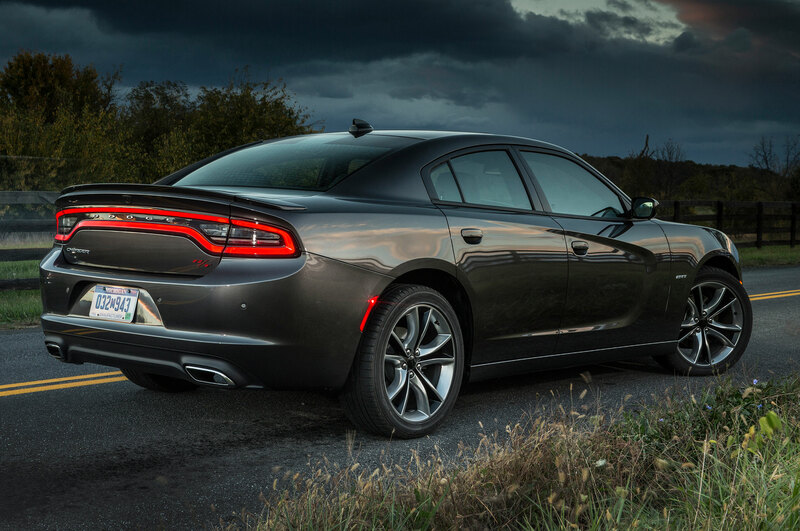 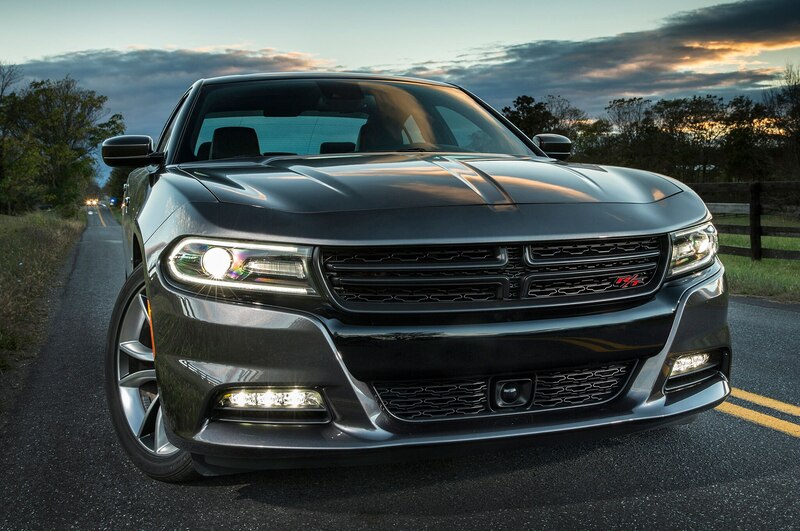 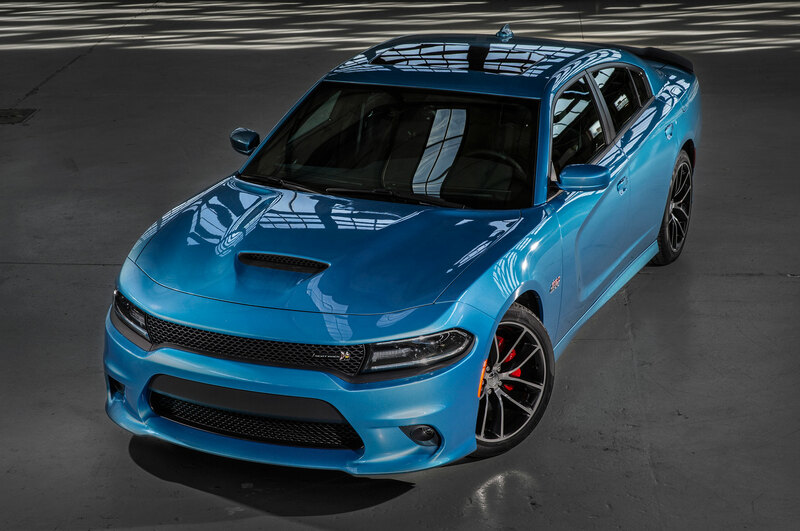 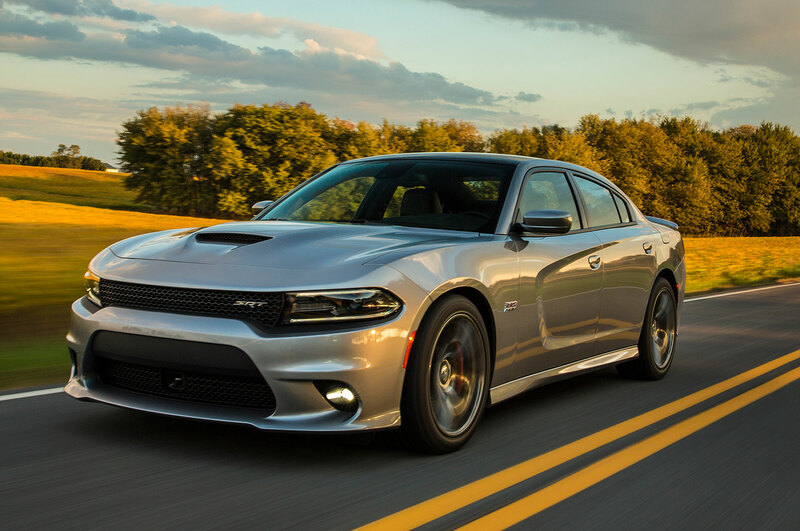 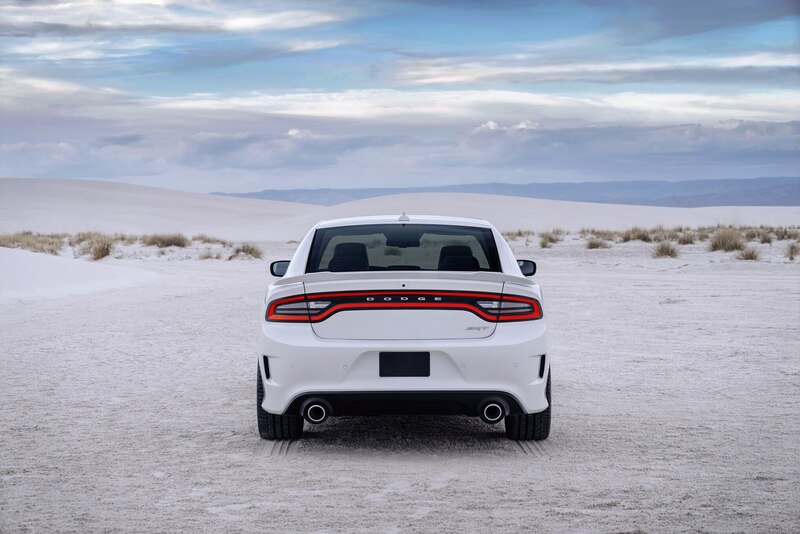 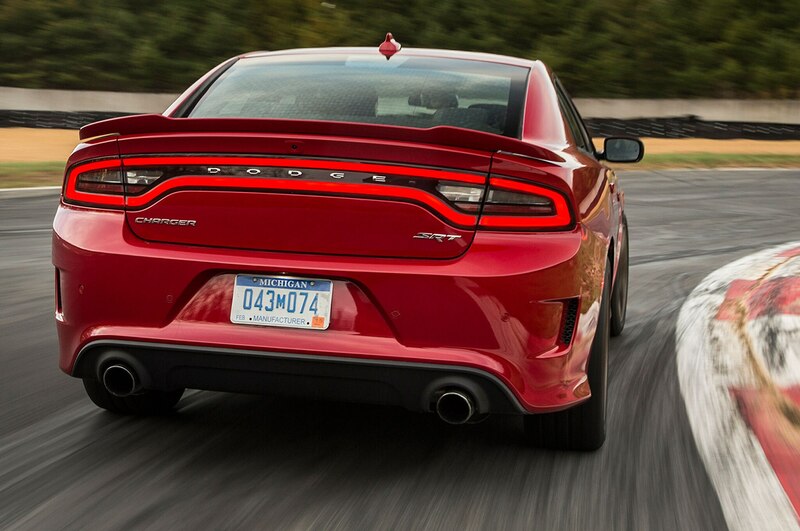 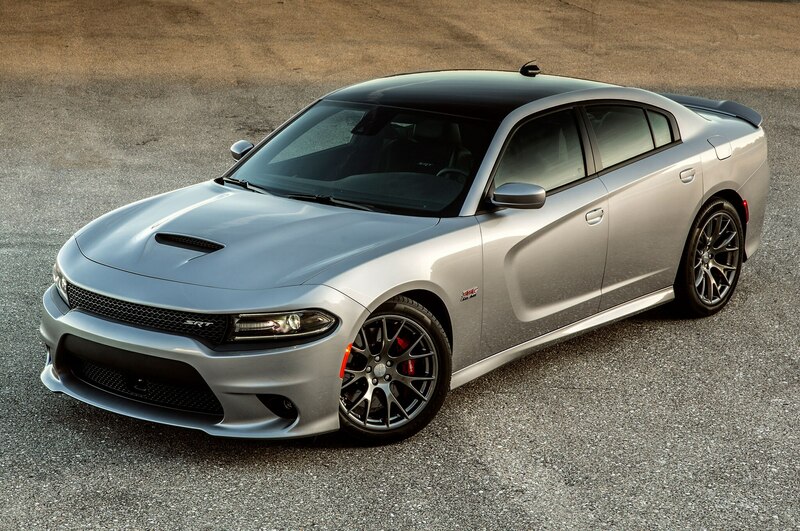 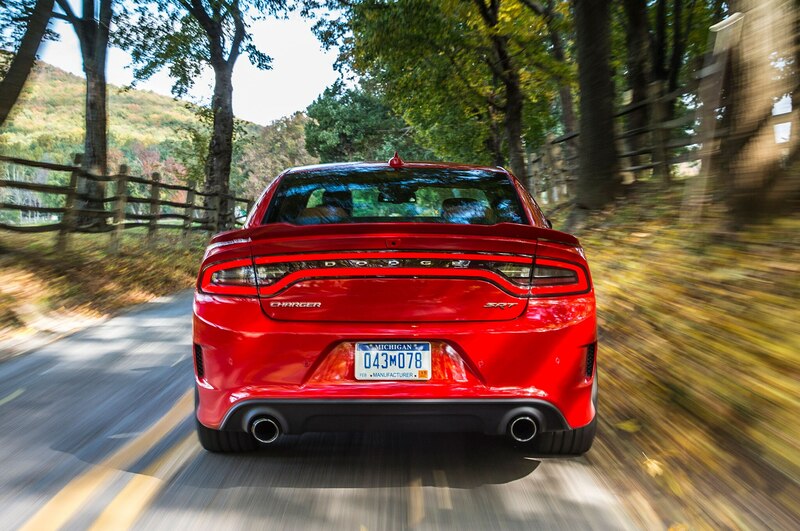 There, the Dodge raged in shockingly easy-peasy fashion for a 4,575-pound Amurican muscle sedan. 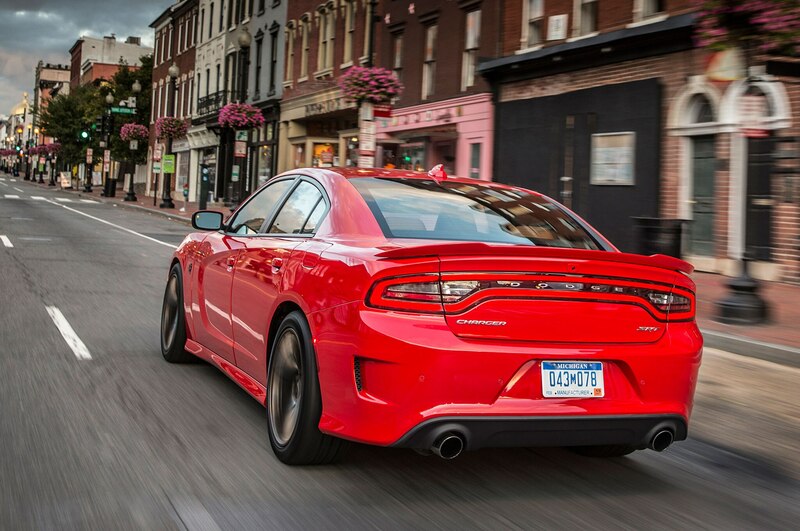 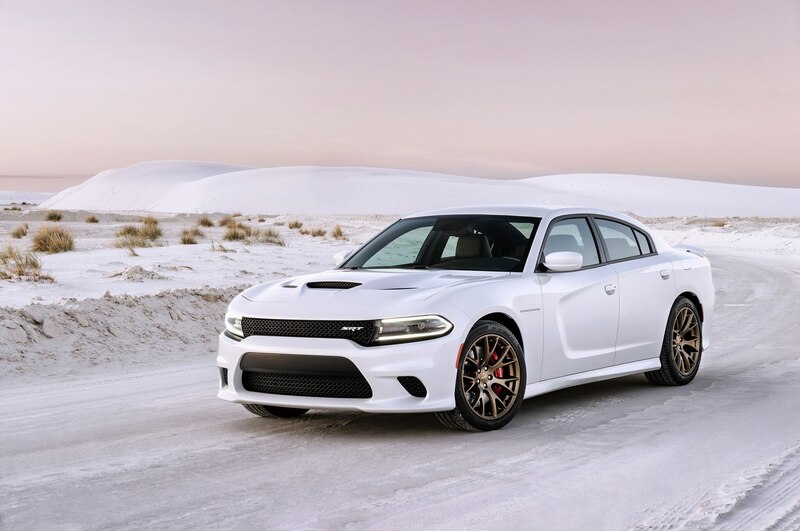 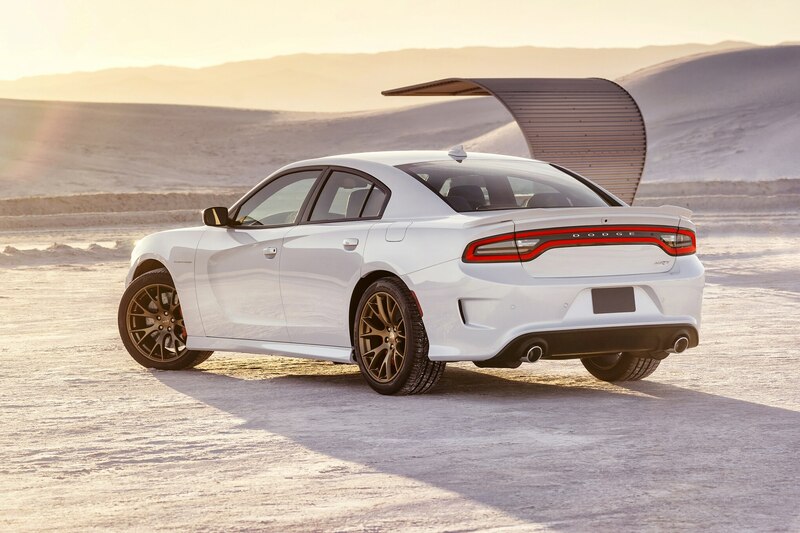 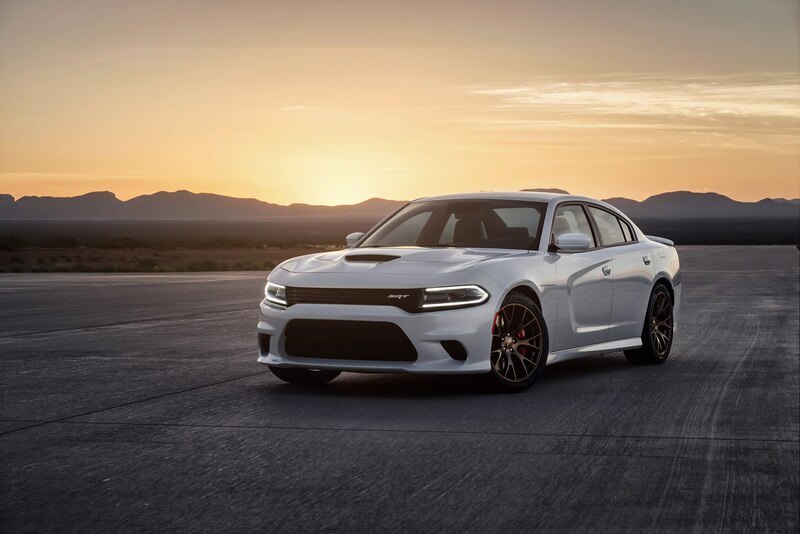 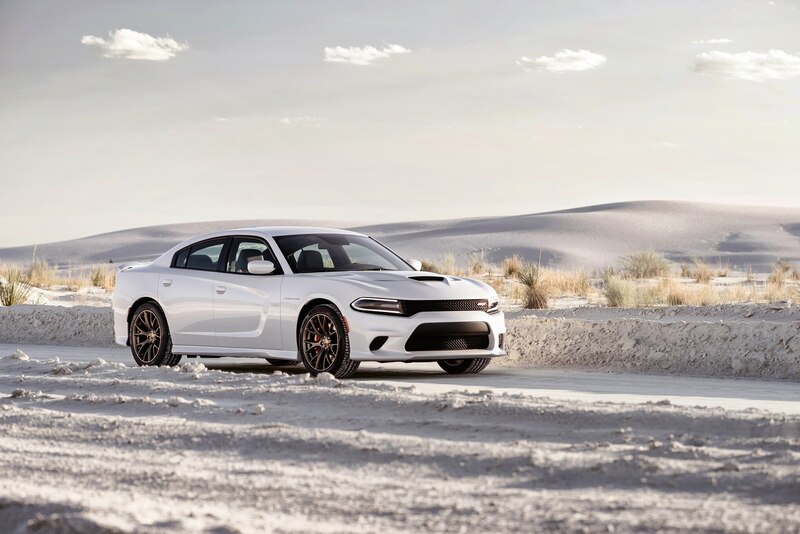 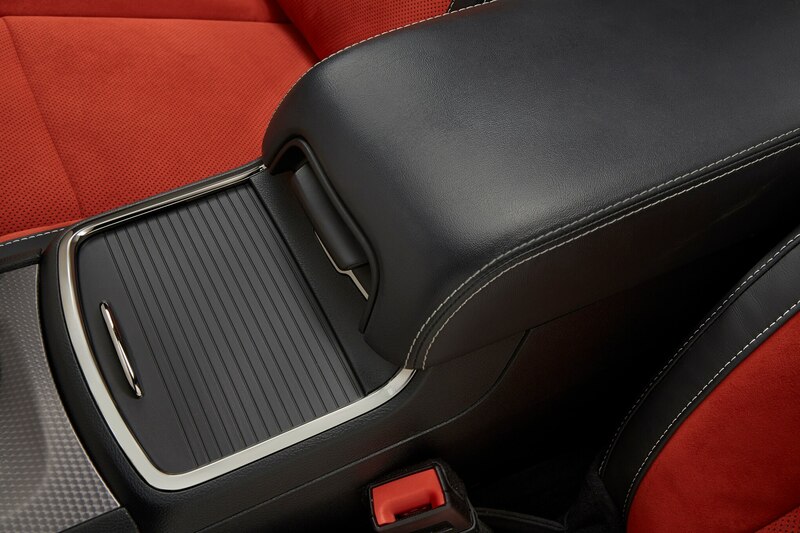 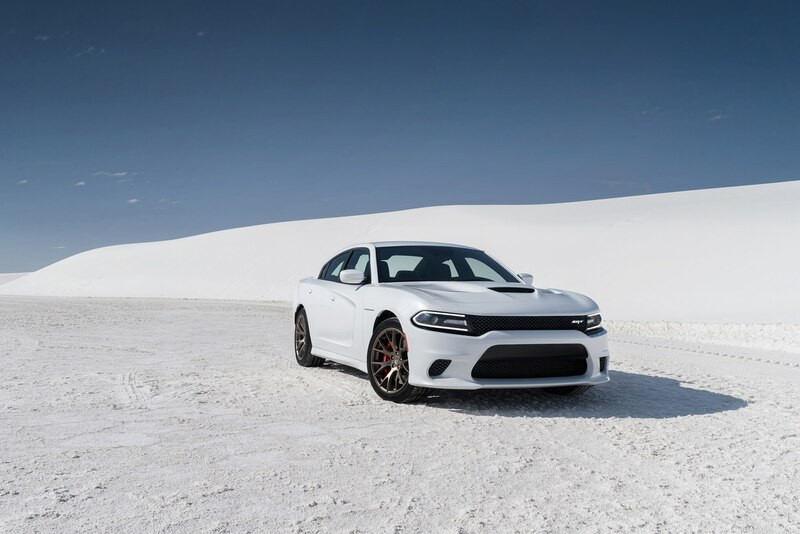 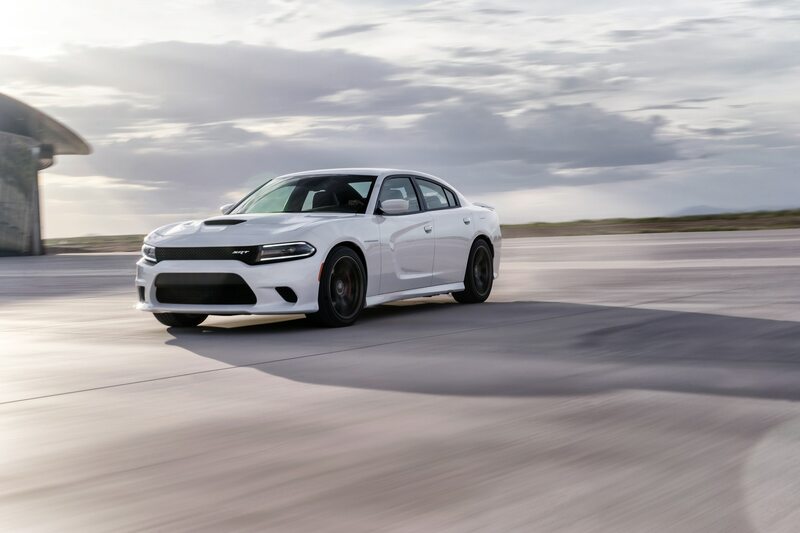 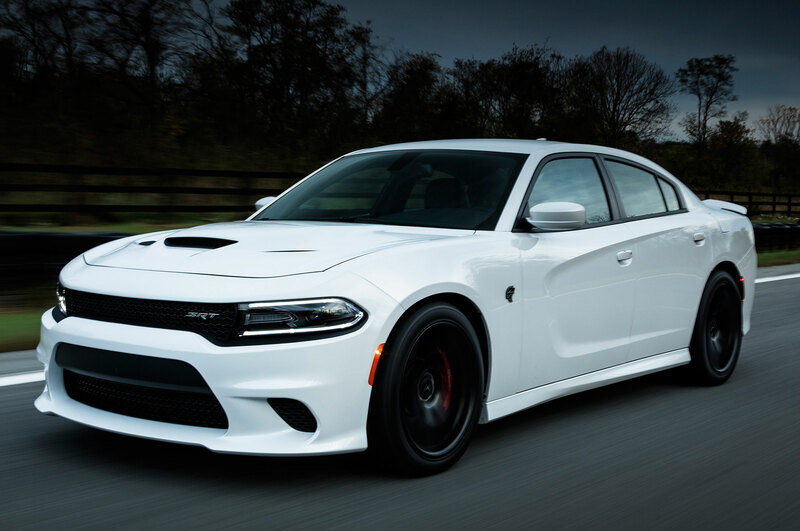 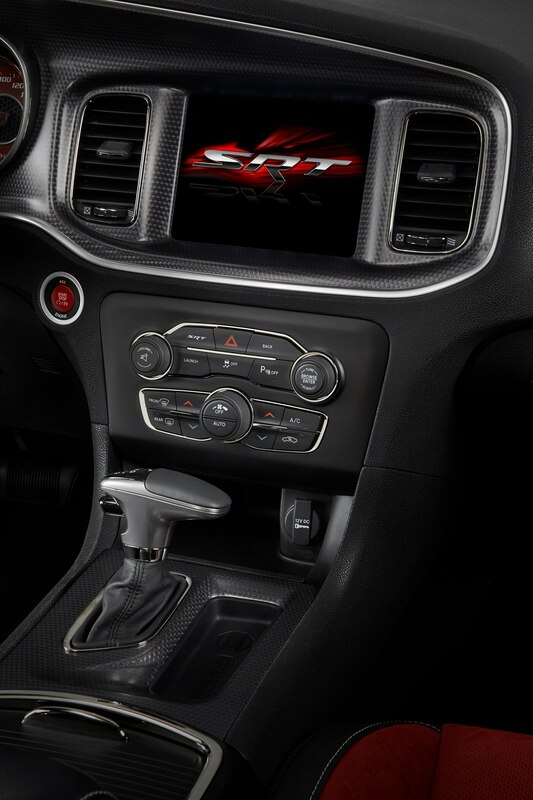 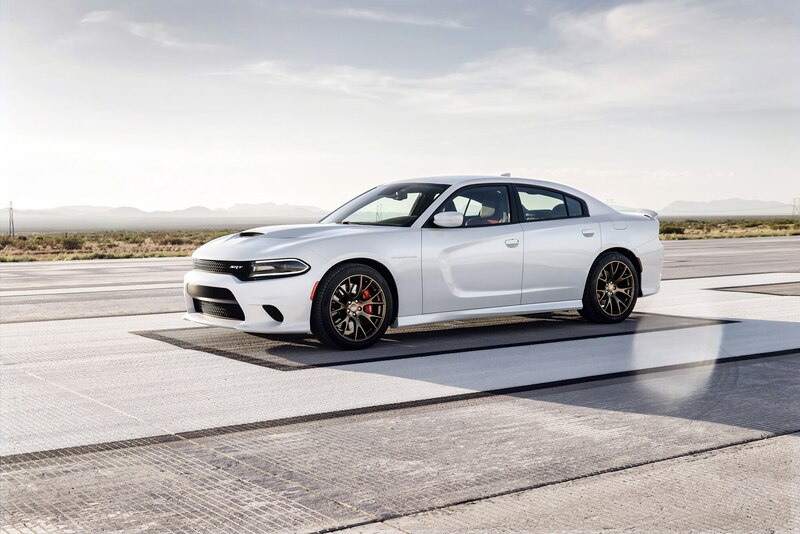 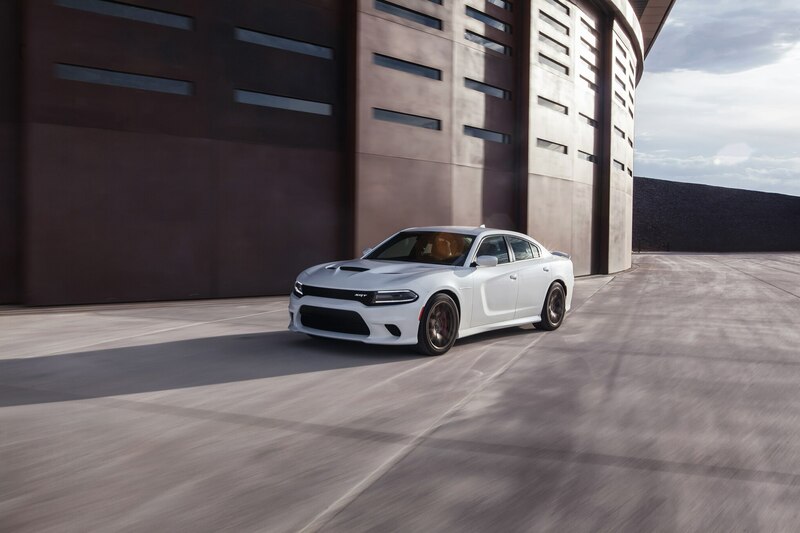 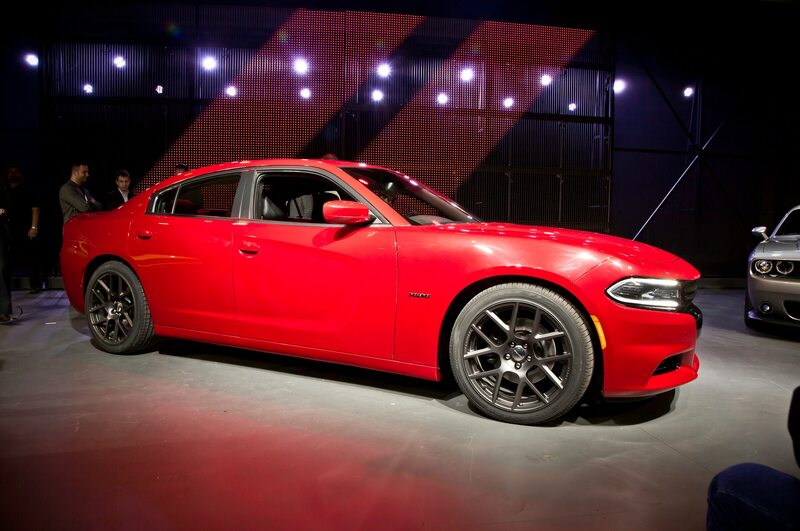 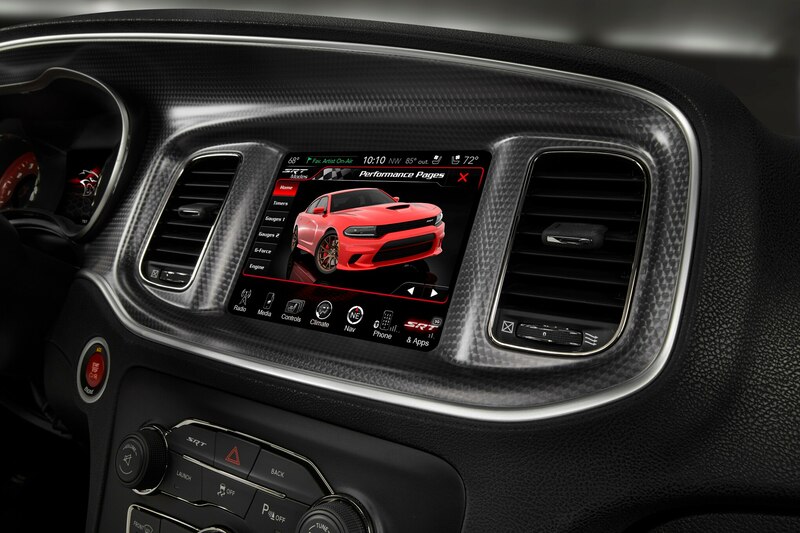 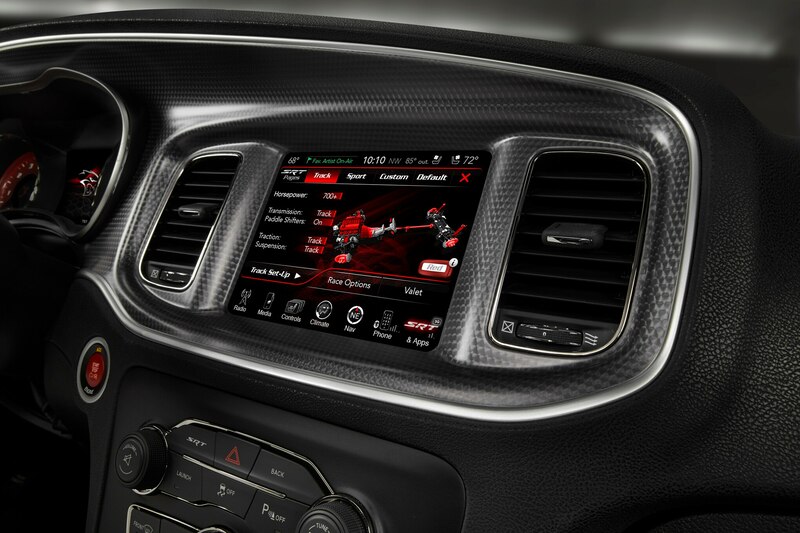 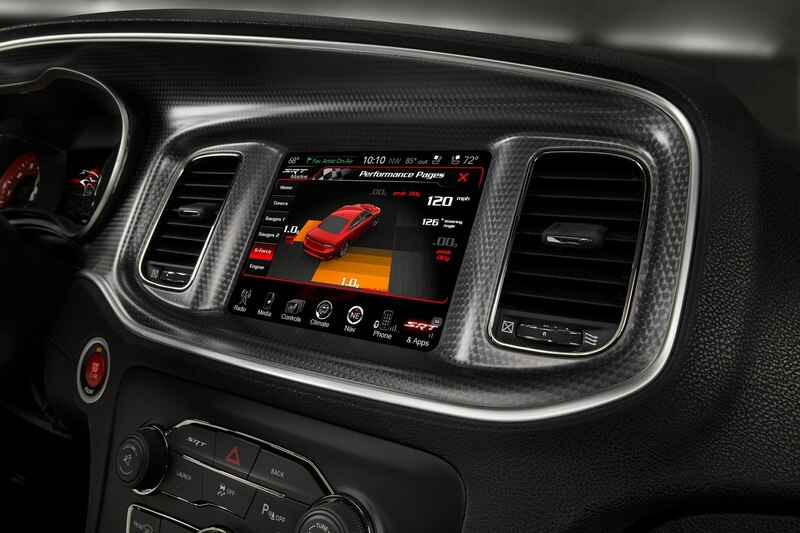 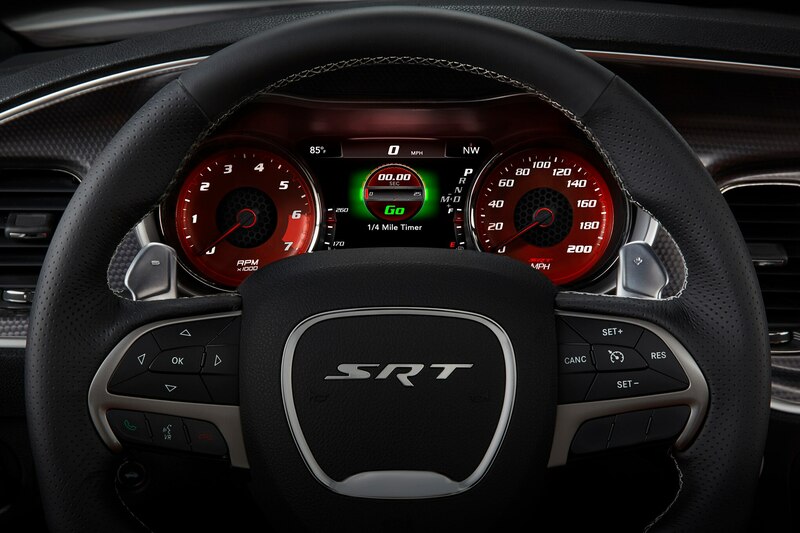 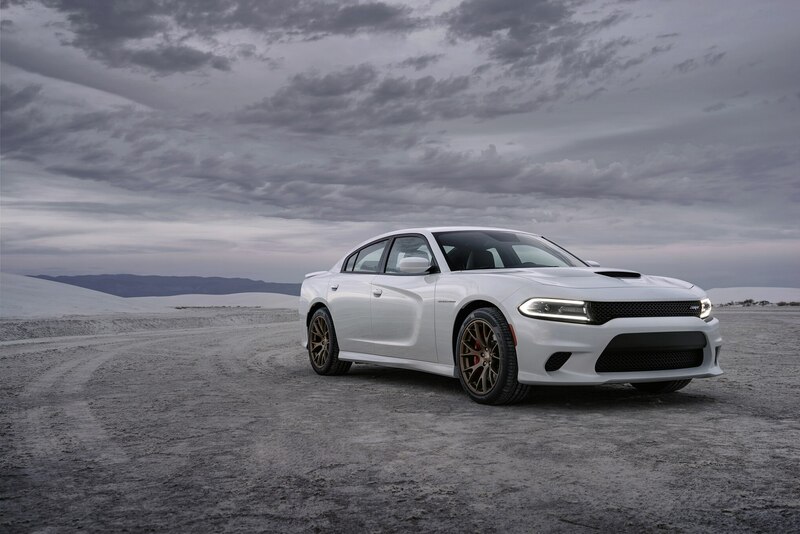 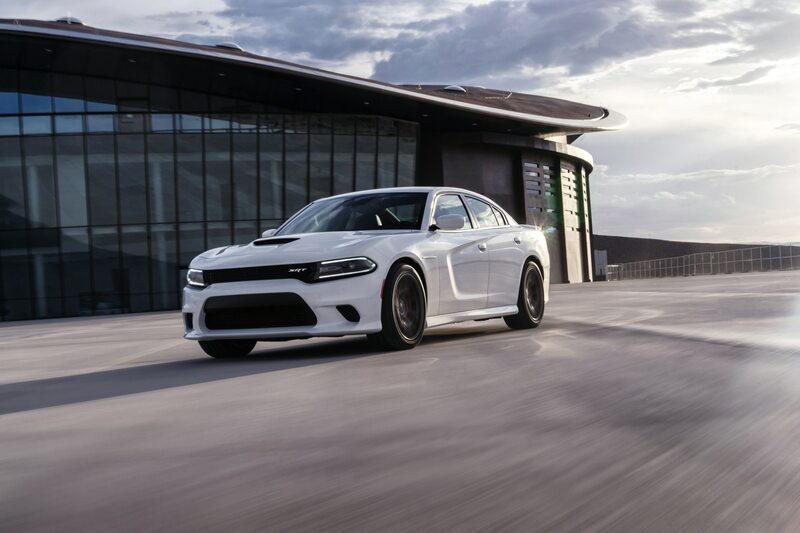 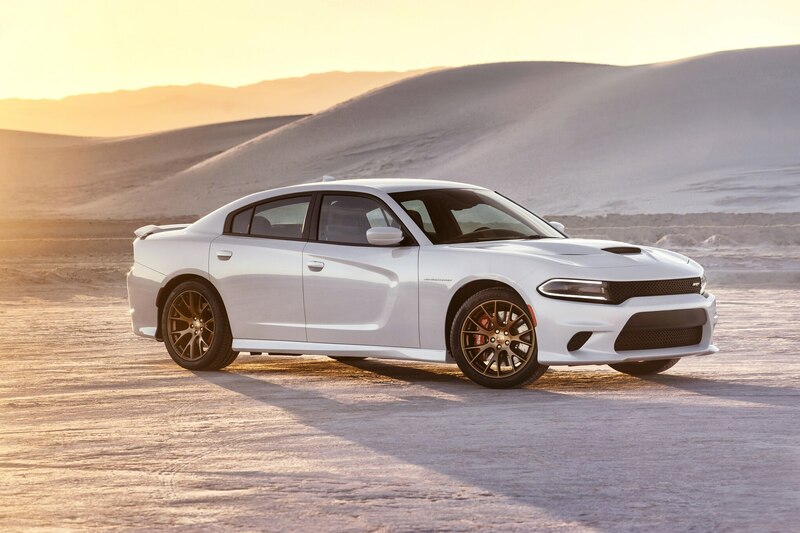 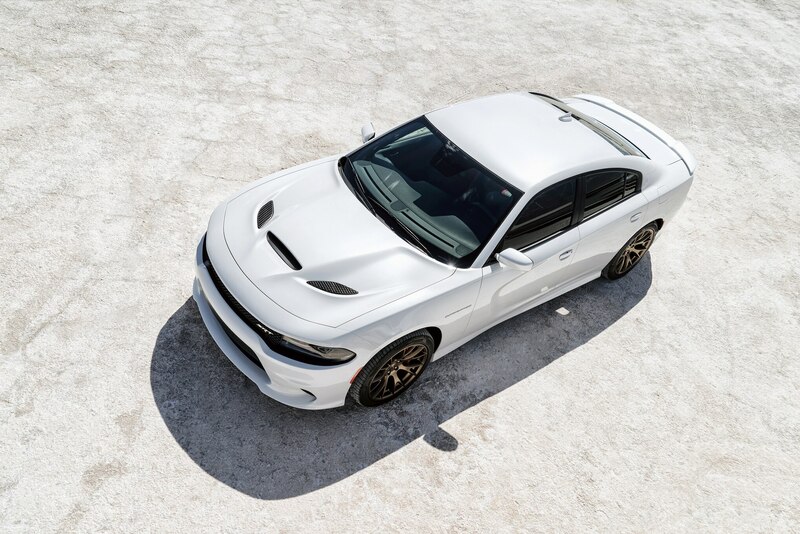 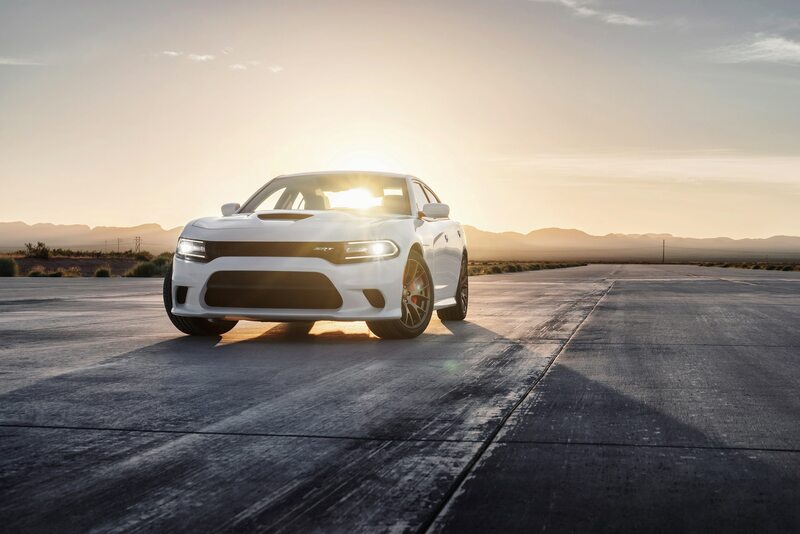 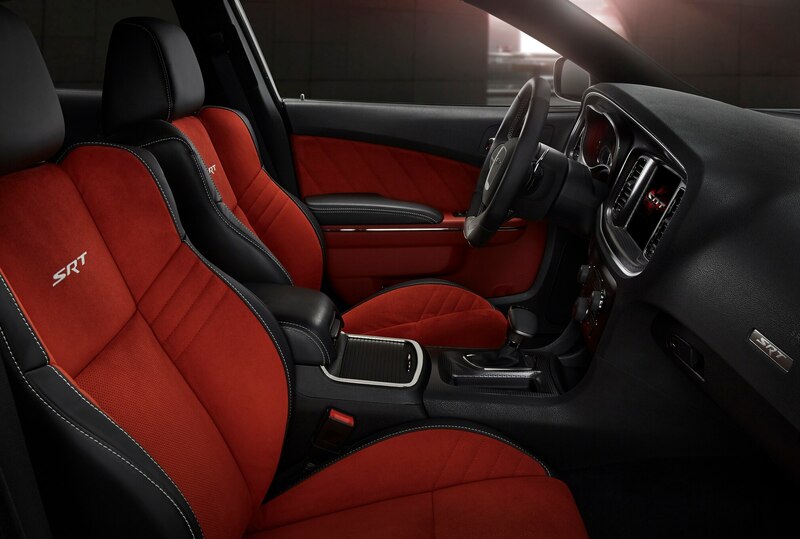 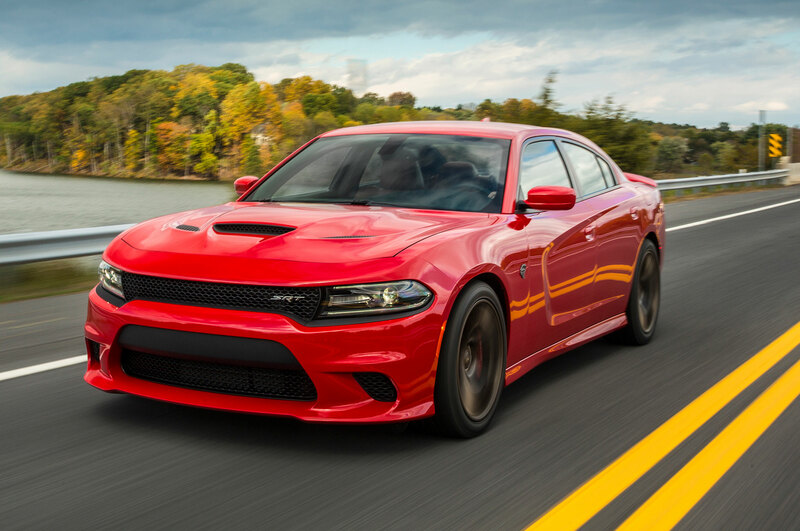 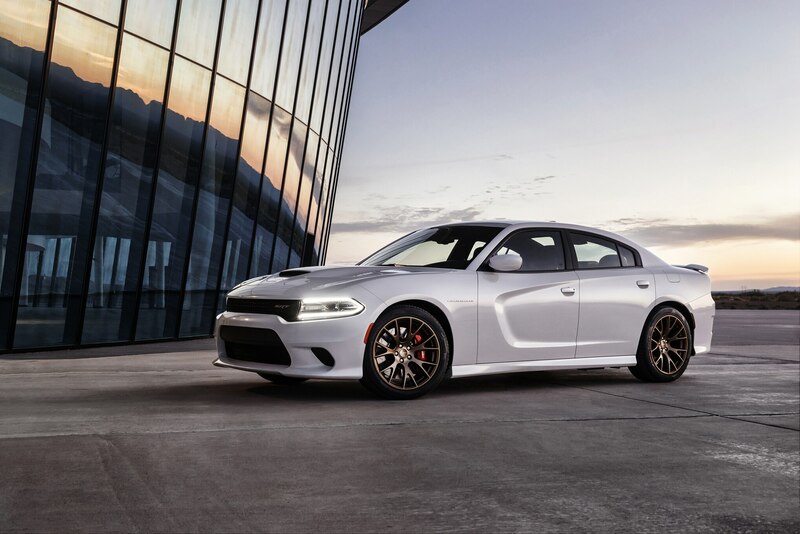 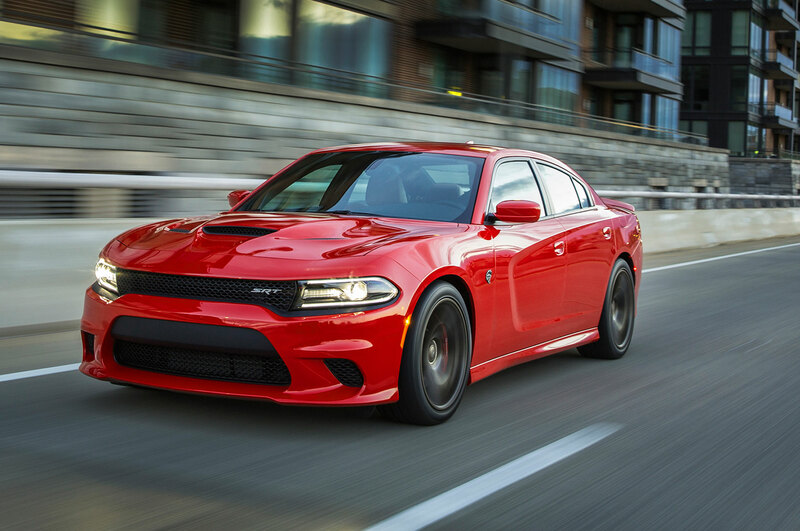 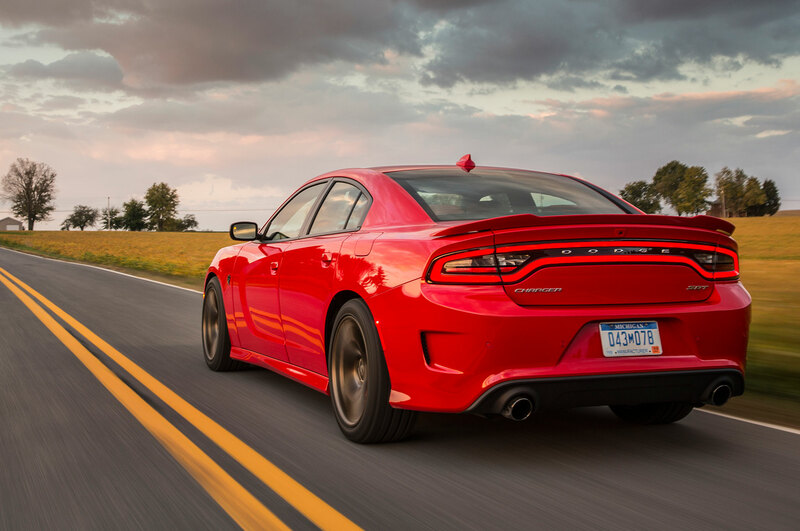 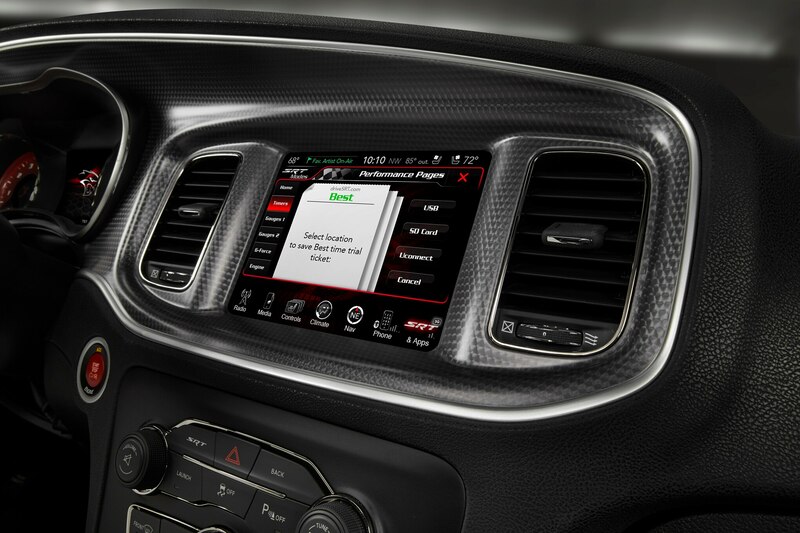 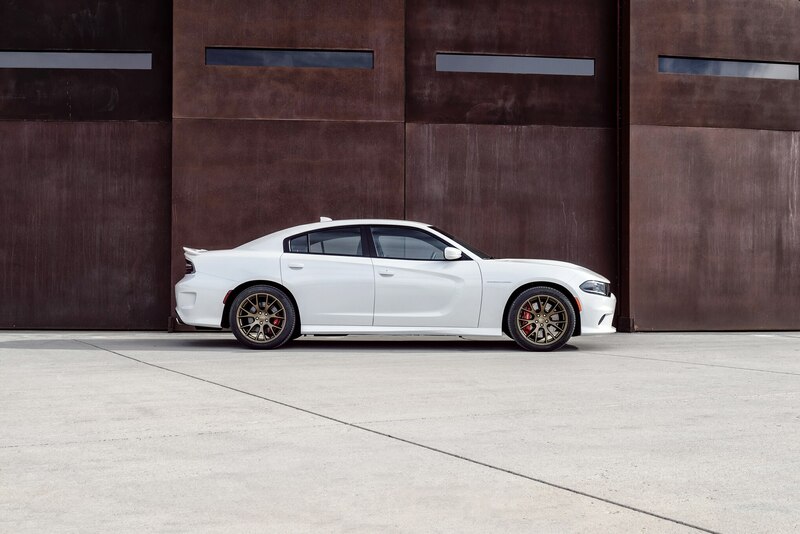 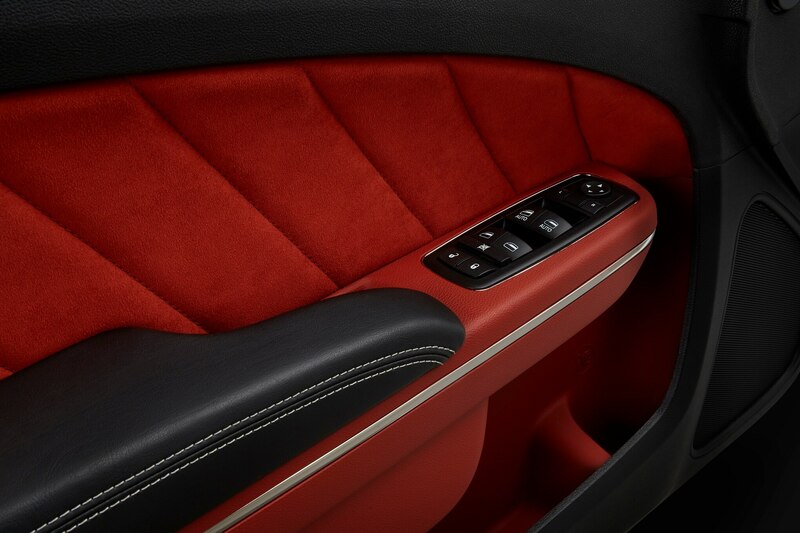 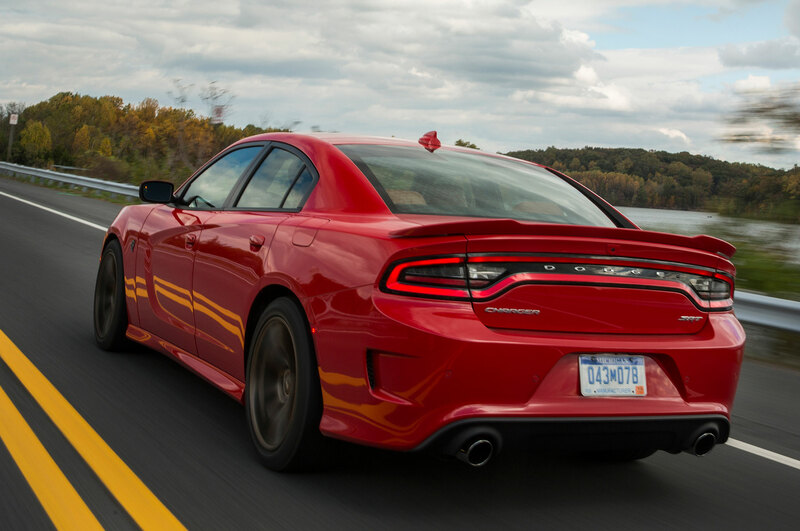 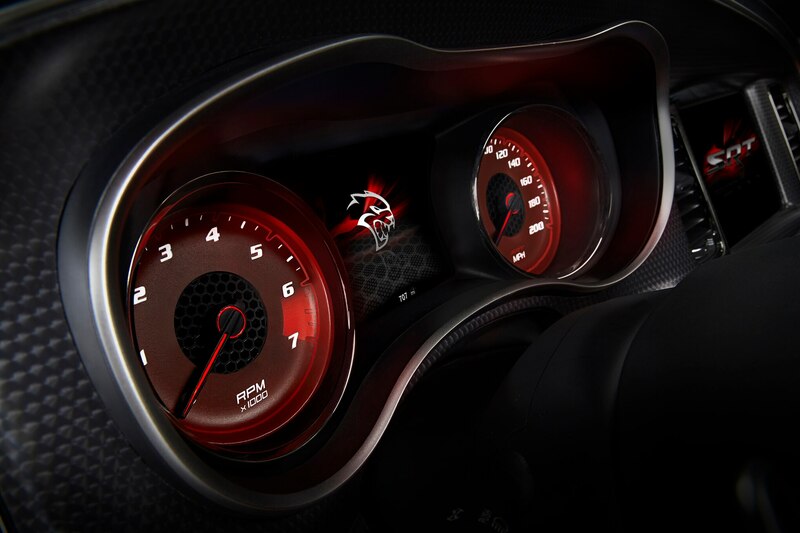 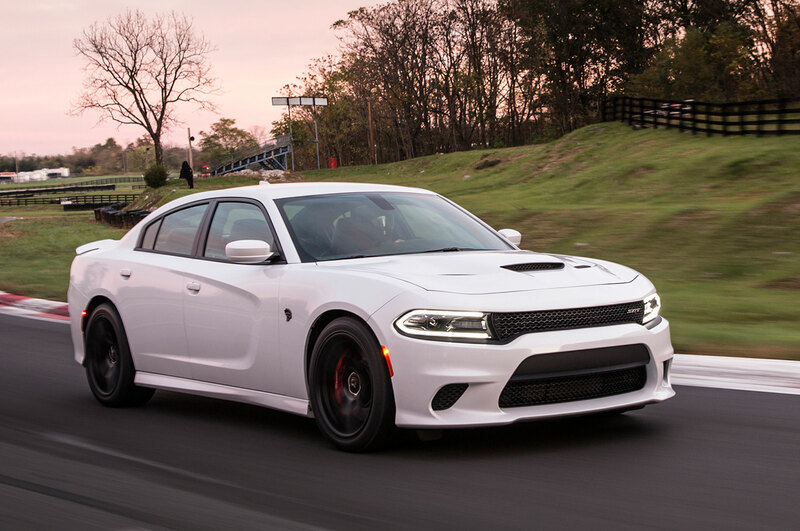 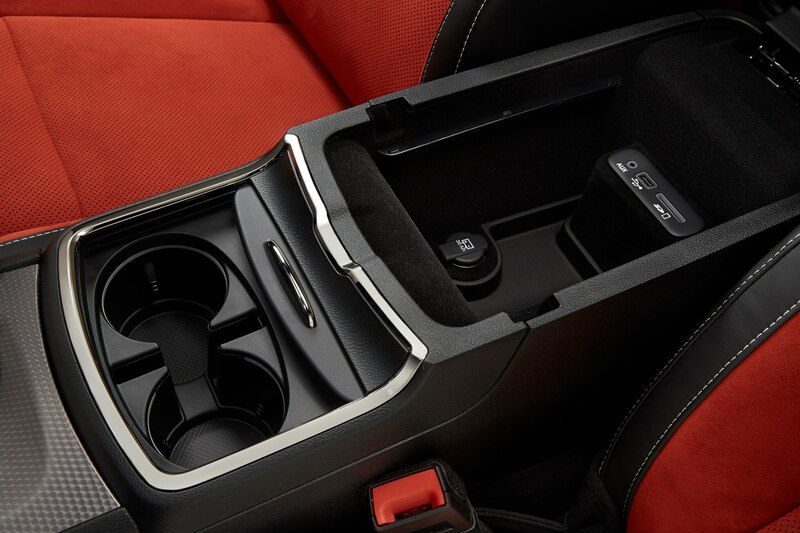 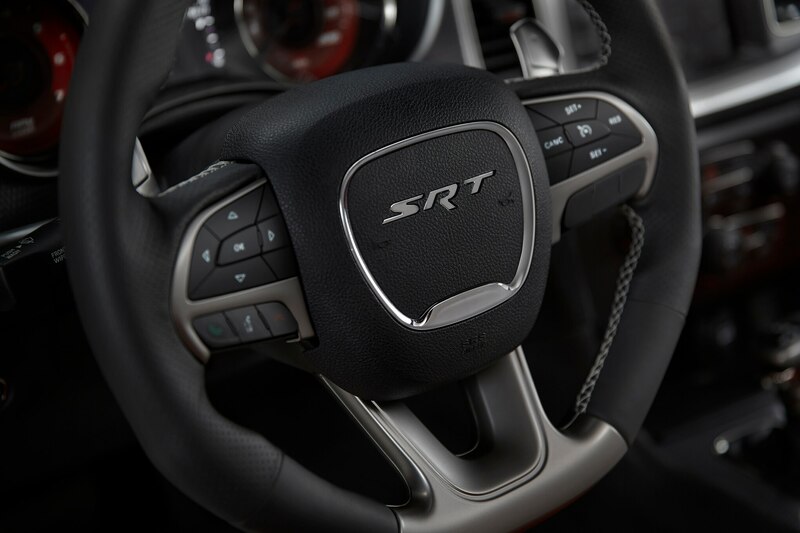 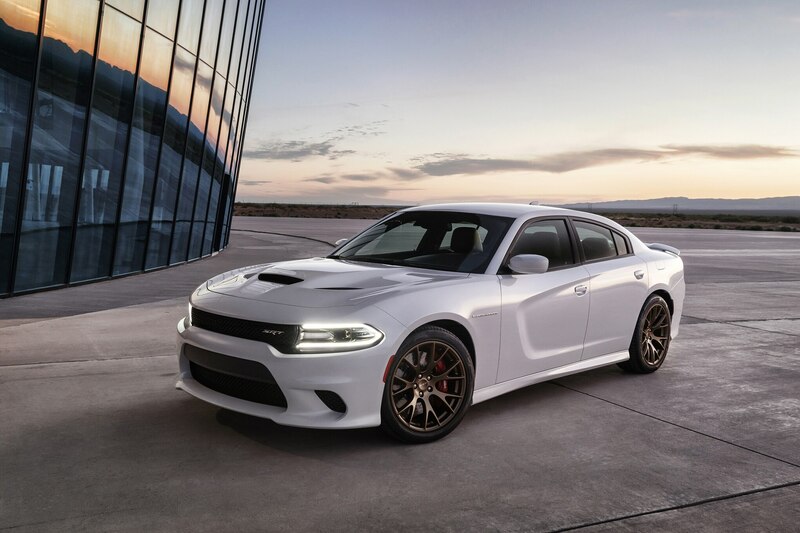 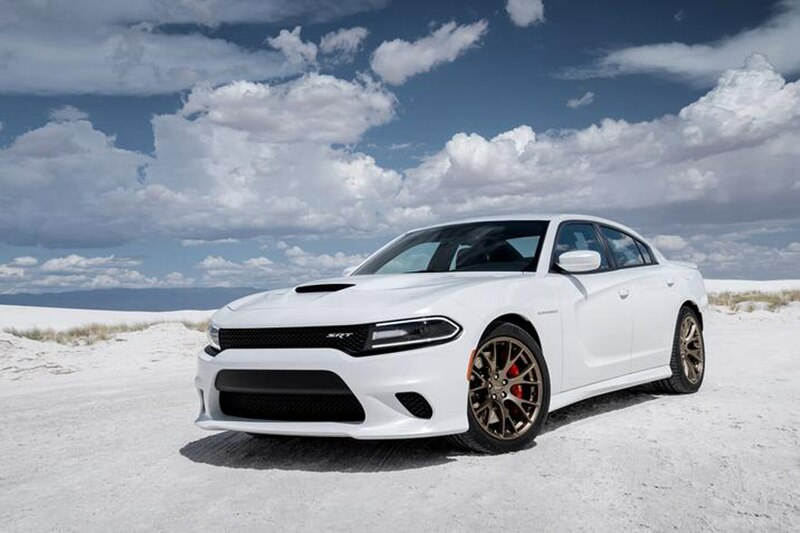 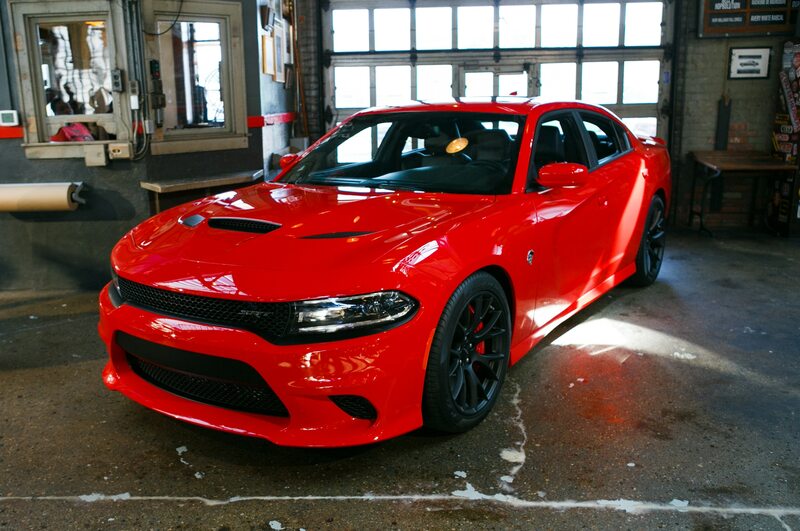 In fact, the Hellcat proved nearly as civilized as its less bodacious Charger bros. Lineup-wide 2015 upgrades include a snazzier interior and an eight-speed automatic with a gated electronic console lever. 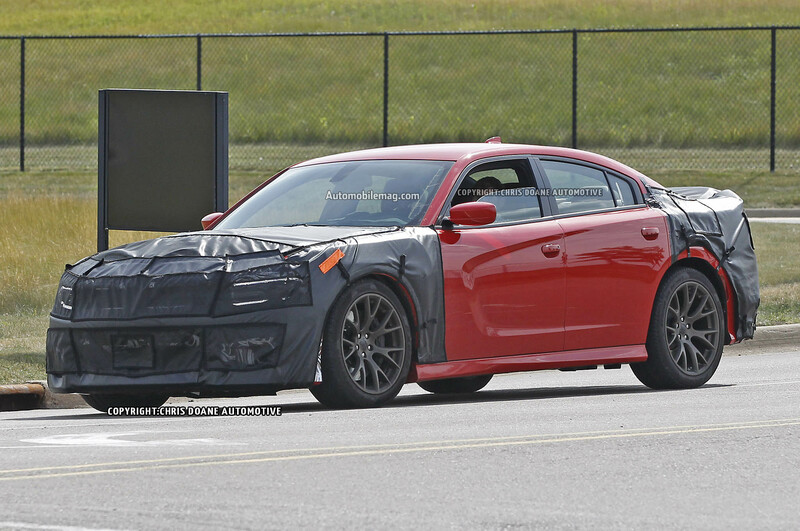 A shrink-wrapped, scallop-doored body better disguises its bulky proportions. 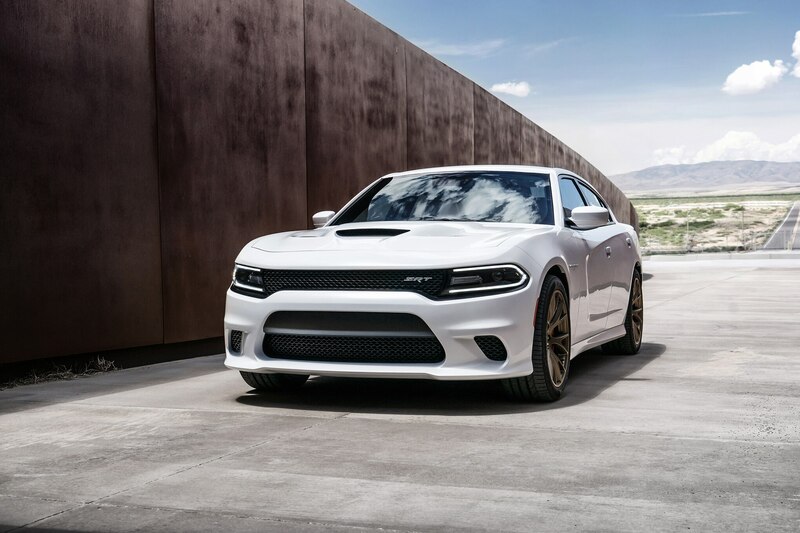 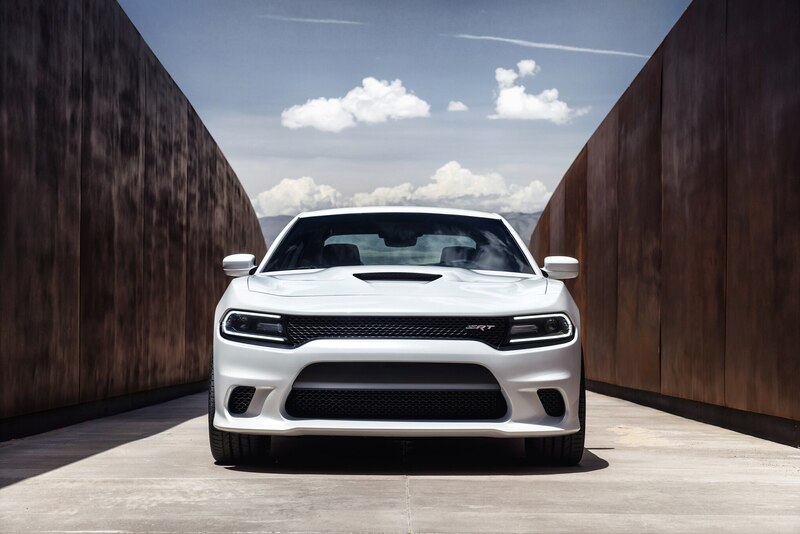 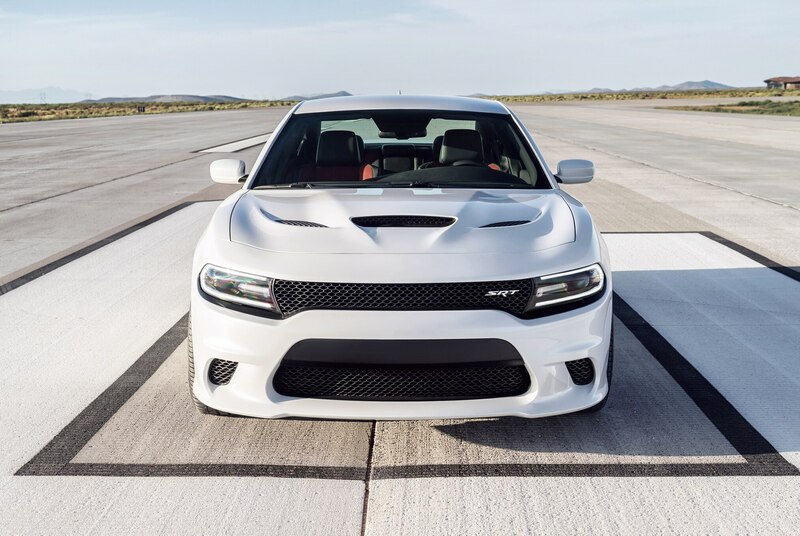 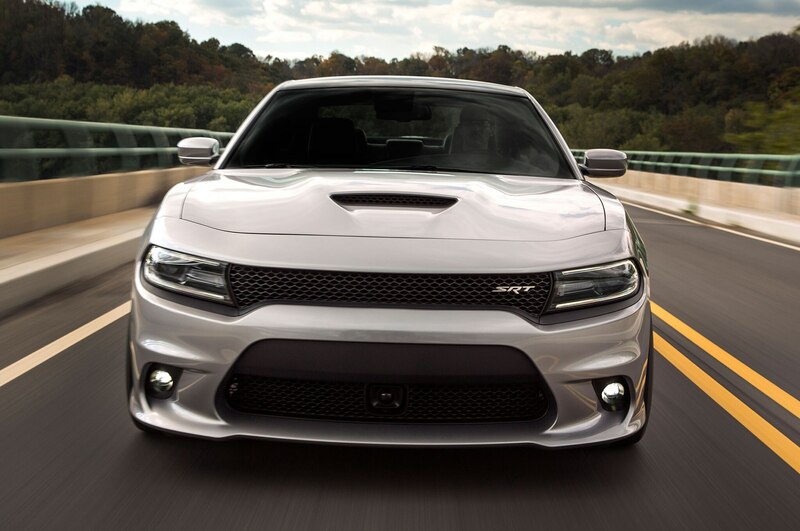 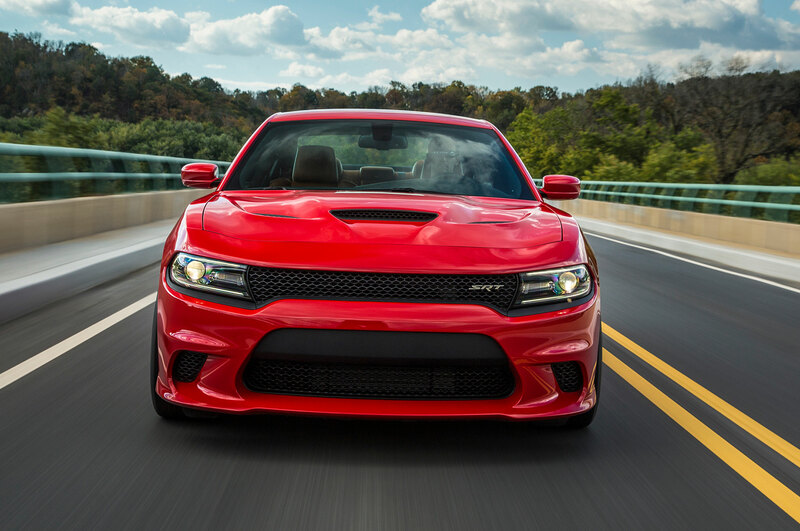 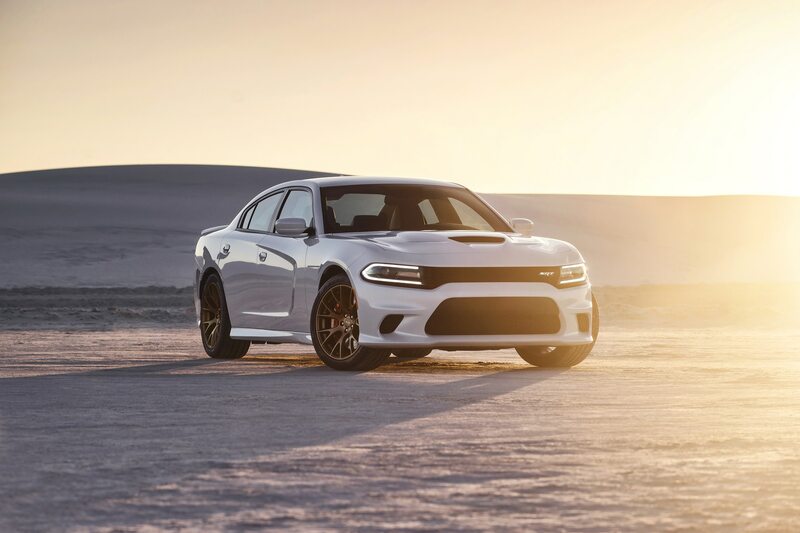 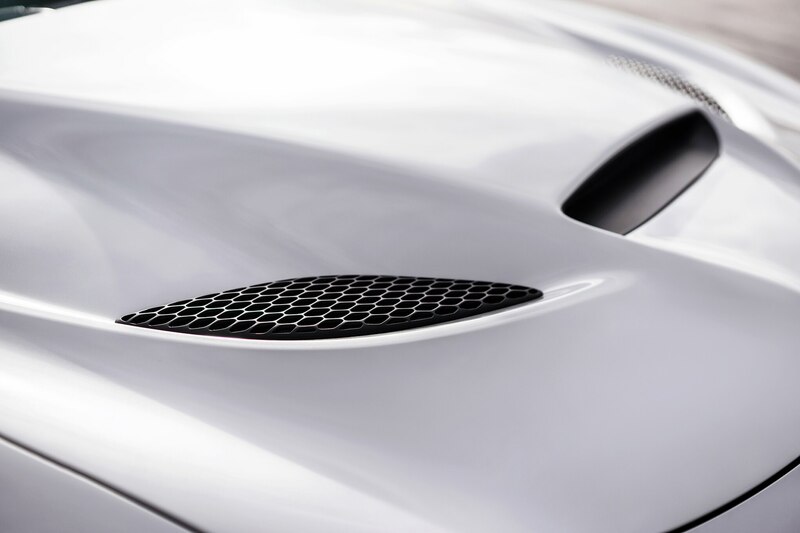 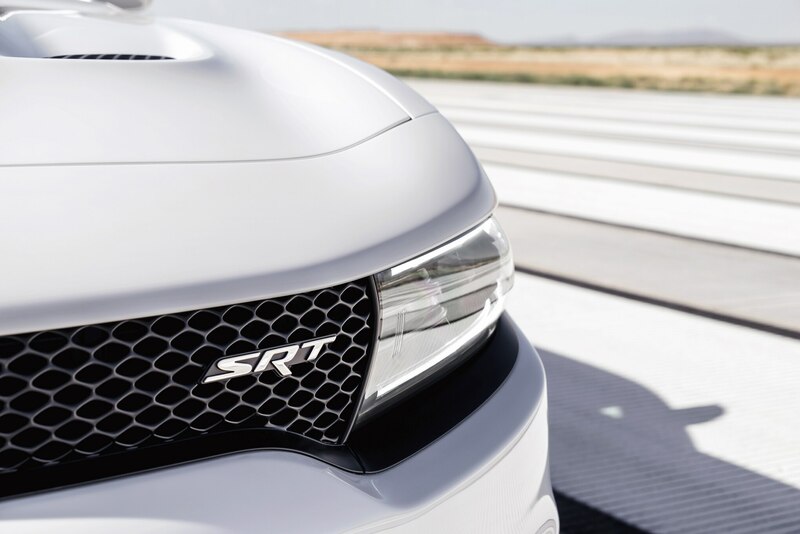 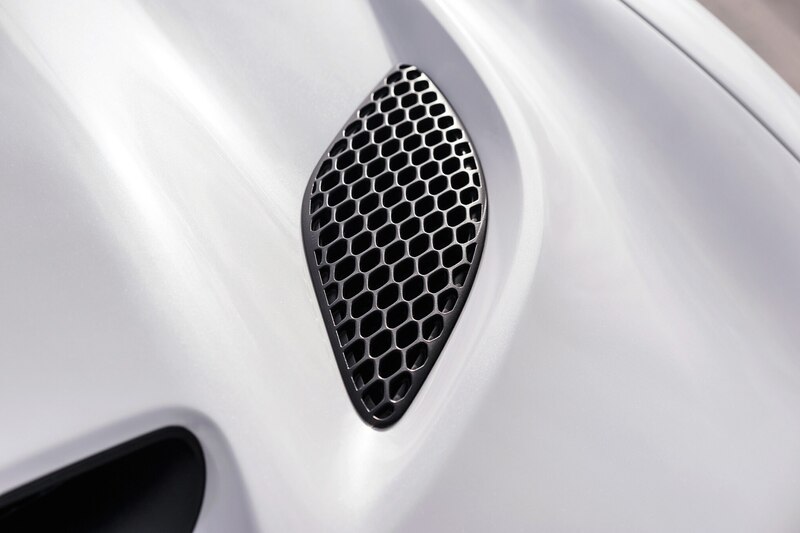 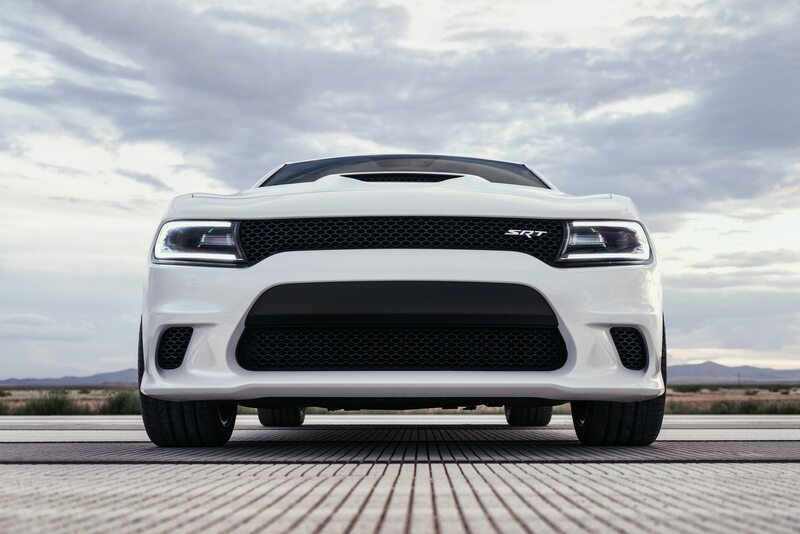 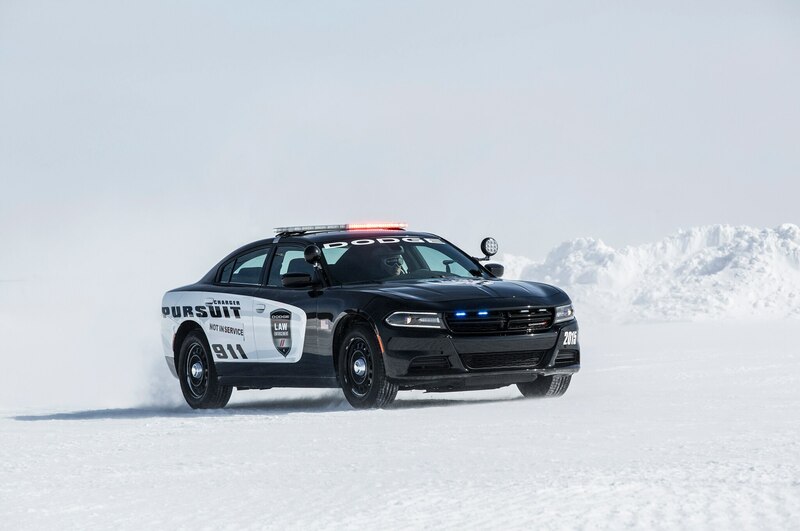 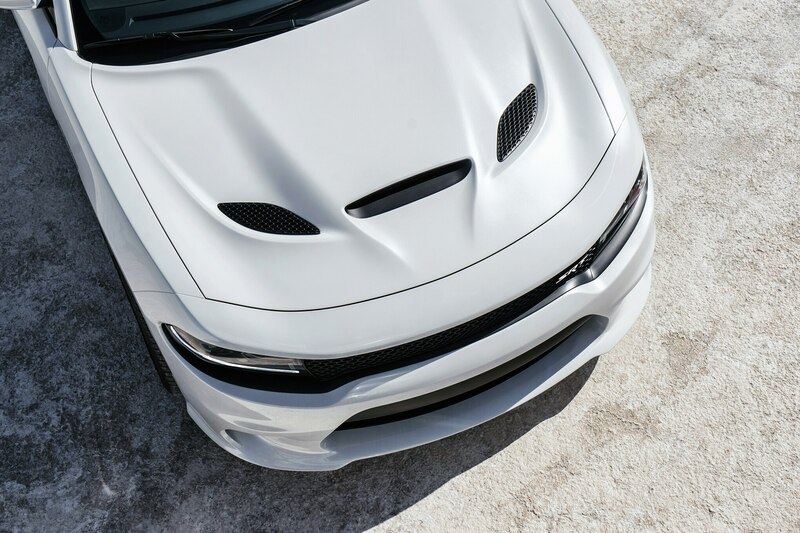 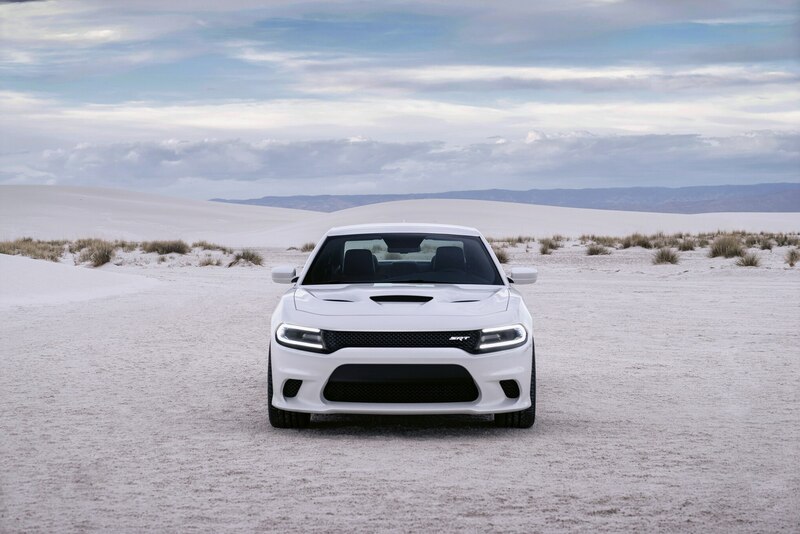 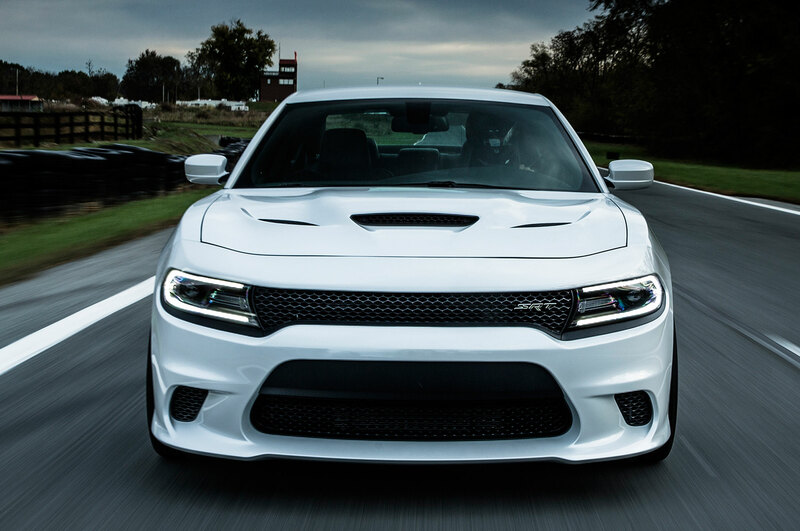 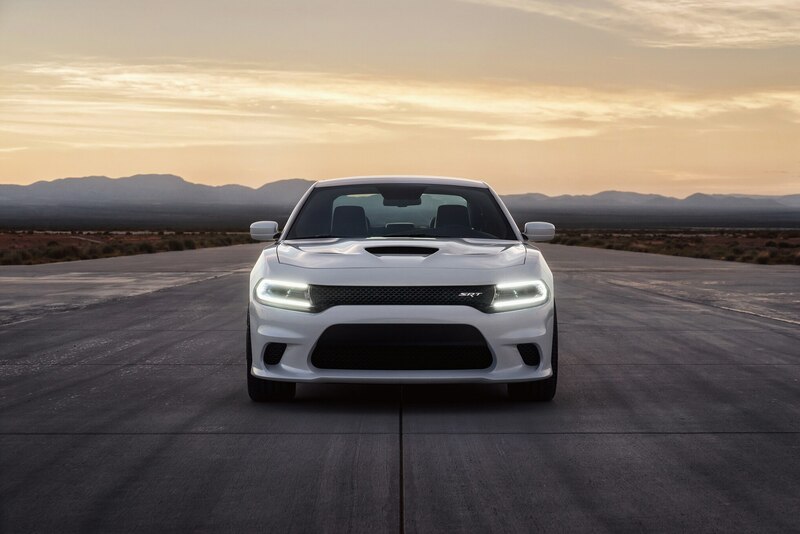 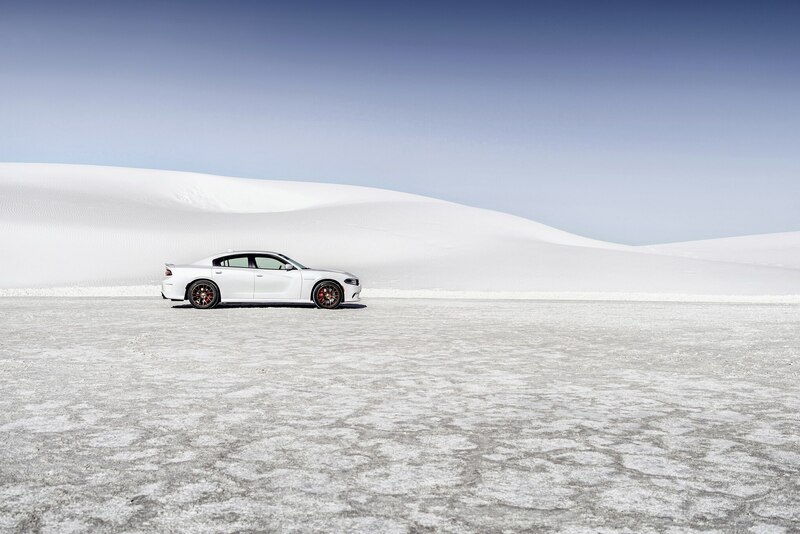 The tasteful front end includes an air-slurping mesh grille, Naca hood intake and dual heat extractors, all to feed and cool the beast: the supercharged, 6.2-liter V-8 with 707 horses and 650 lb-ft. 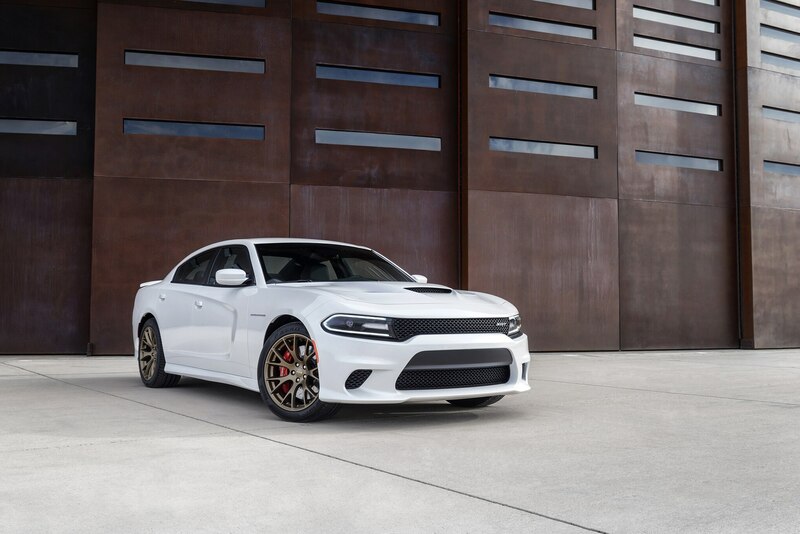 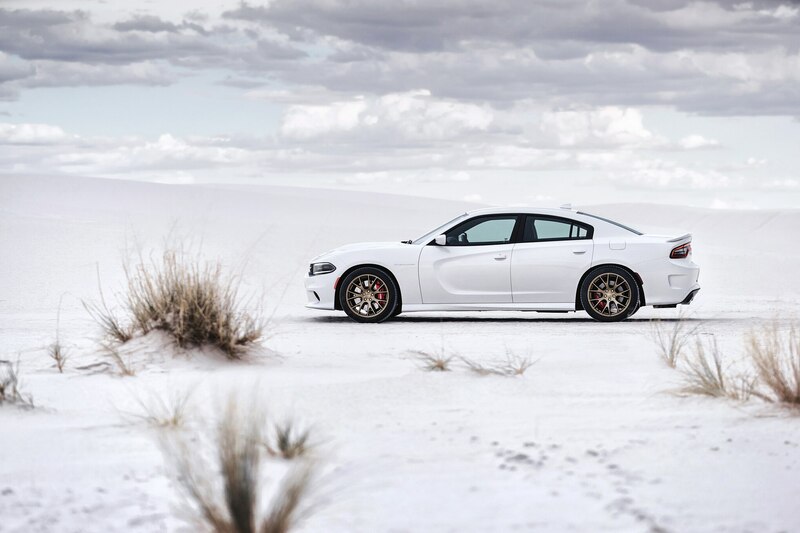 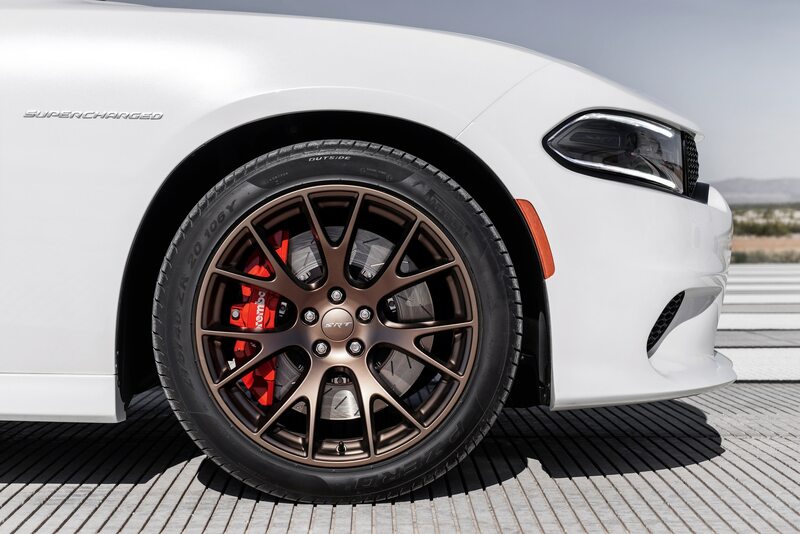 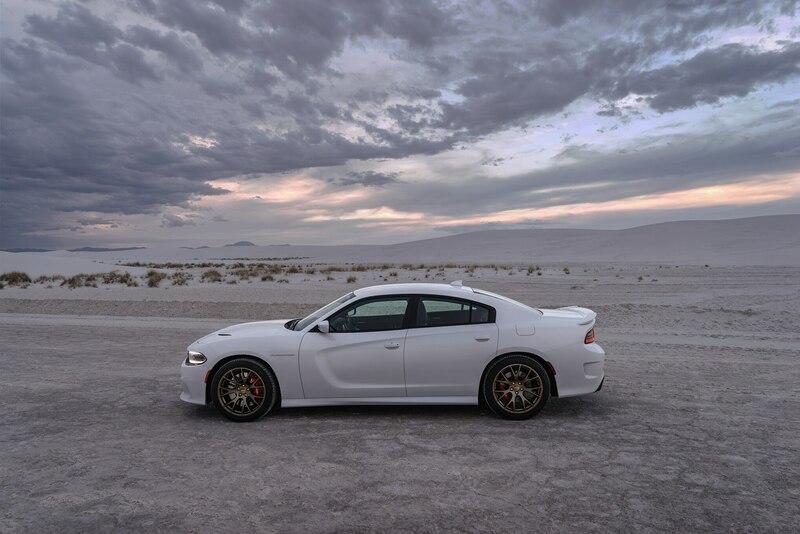 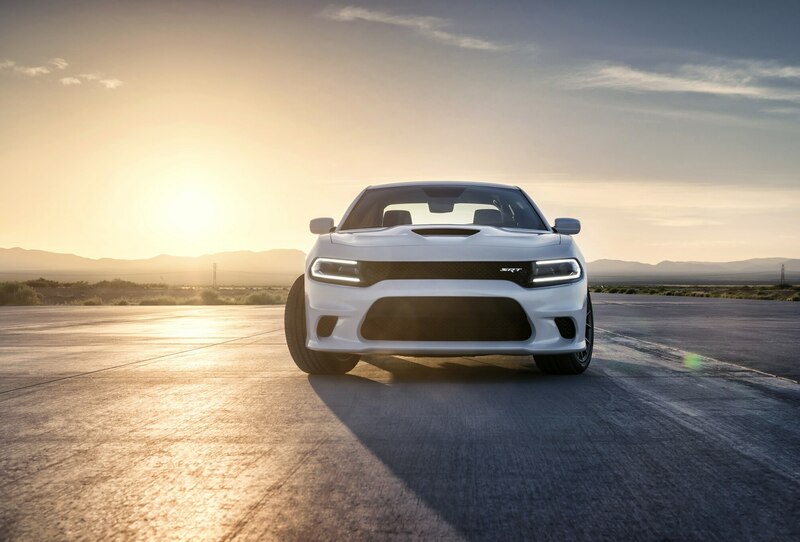 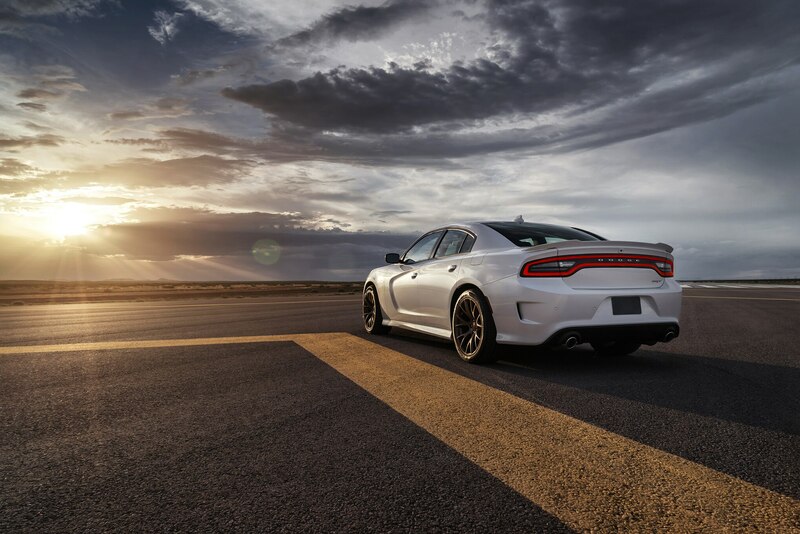 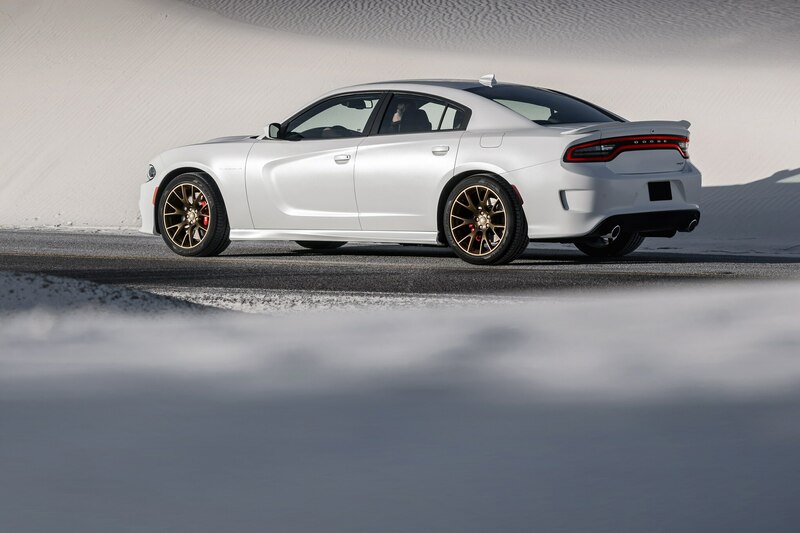 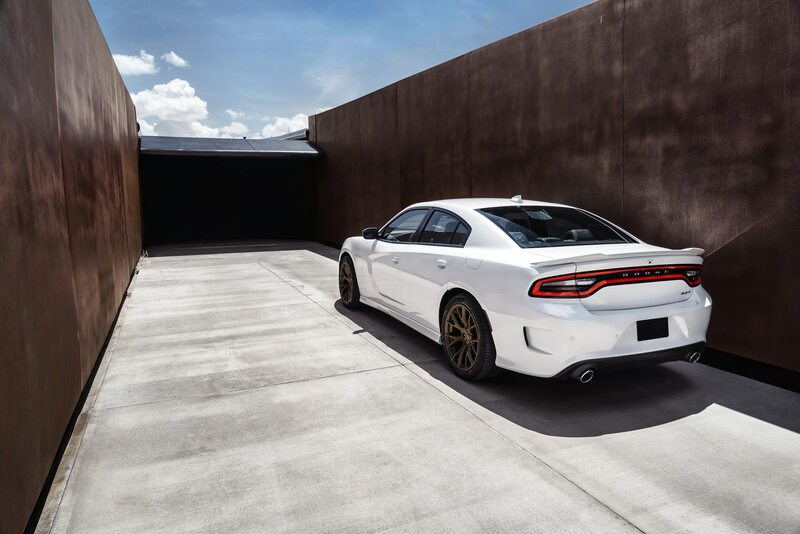 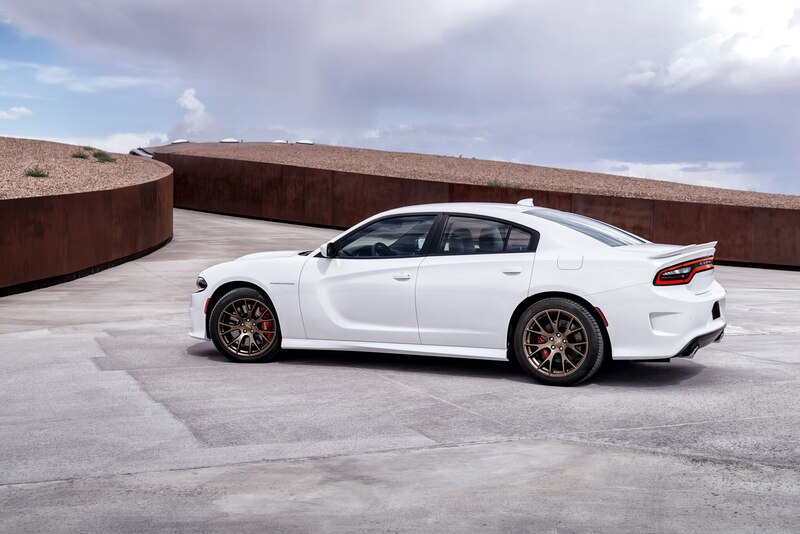 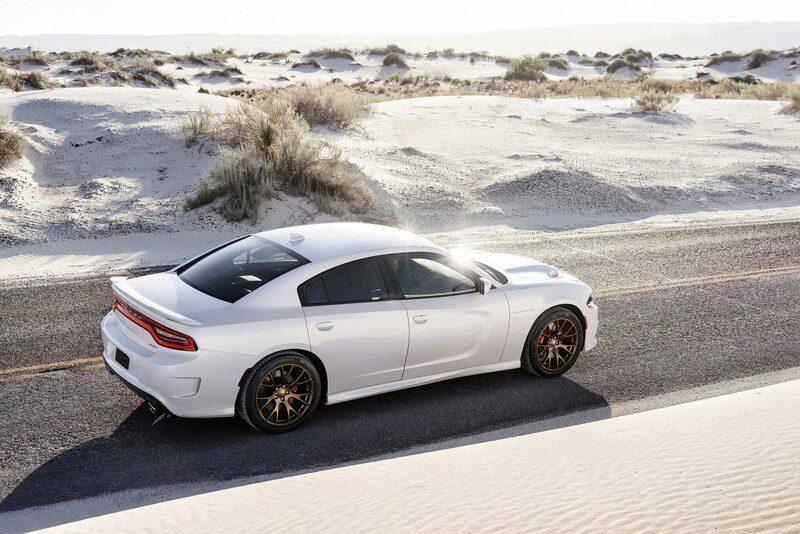 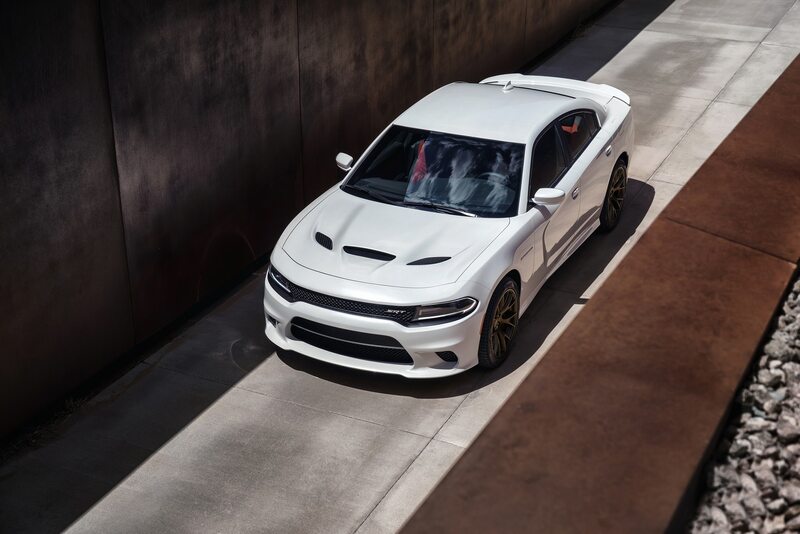 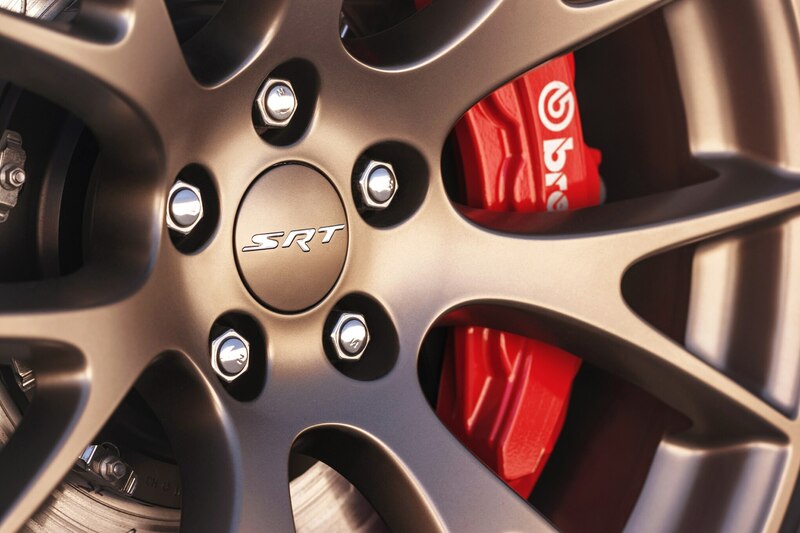 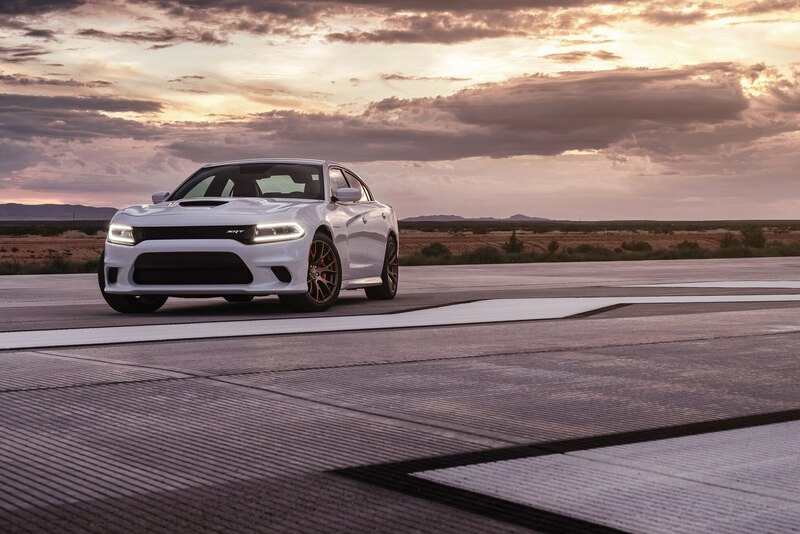 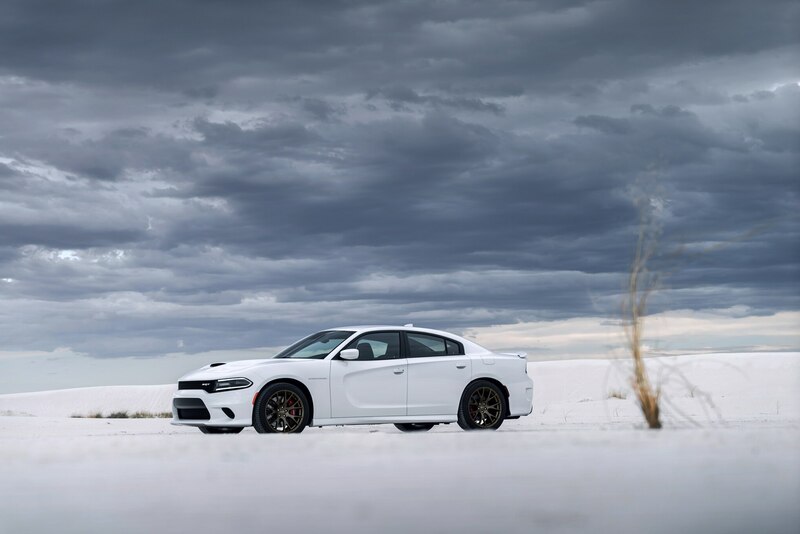 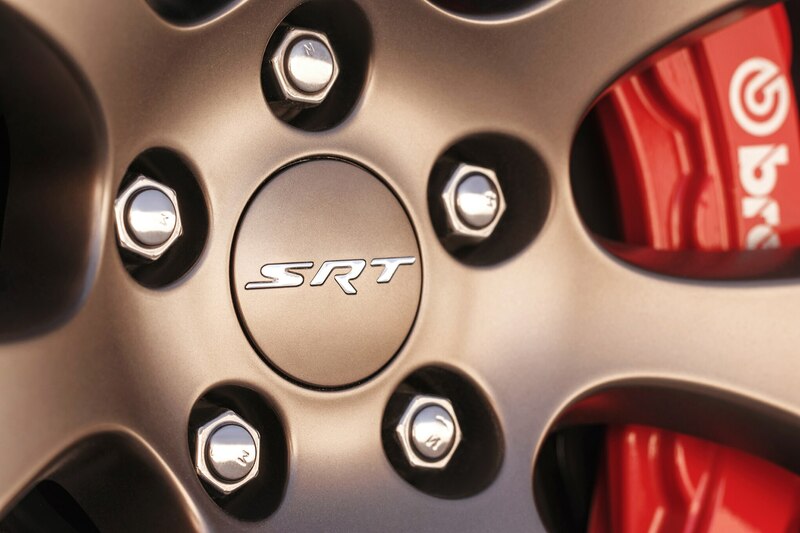 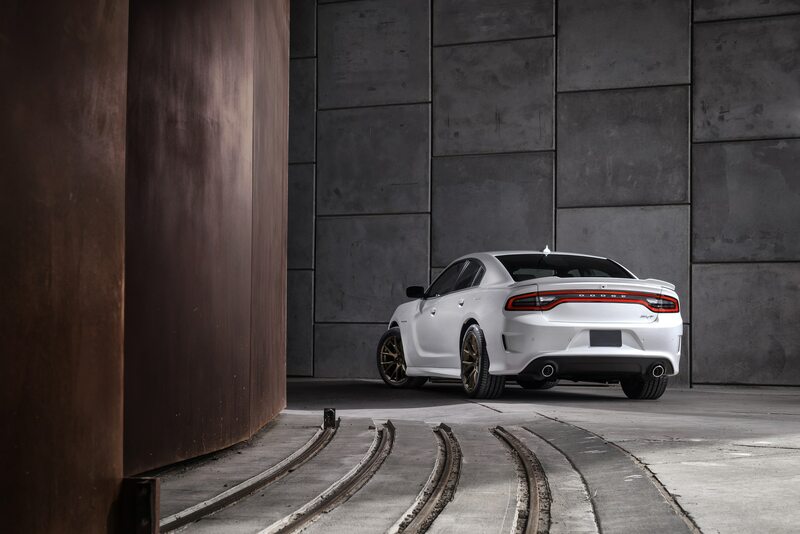 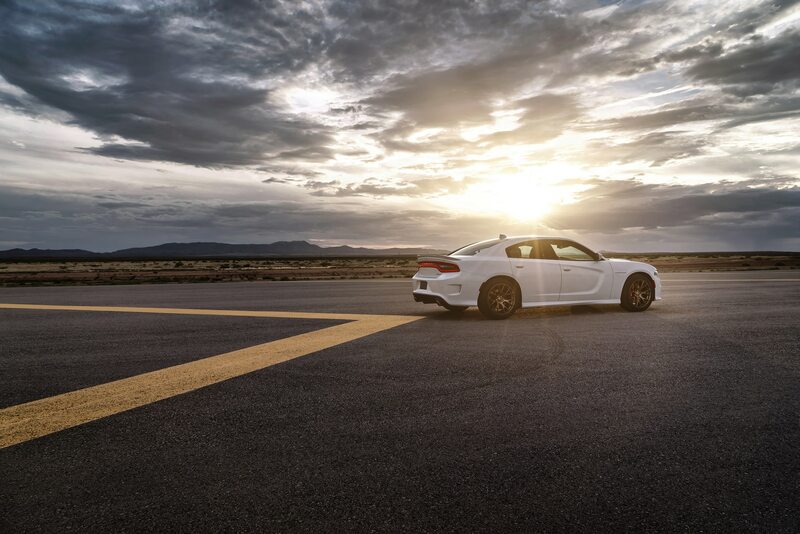 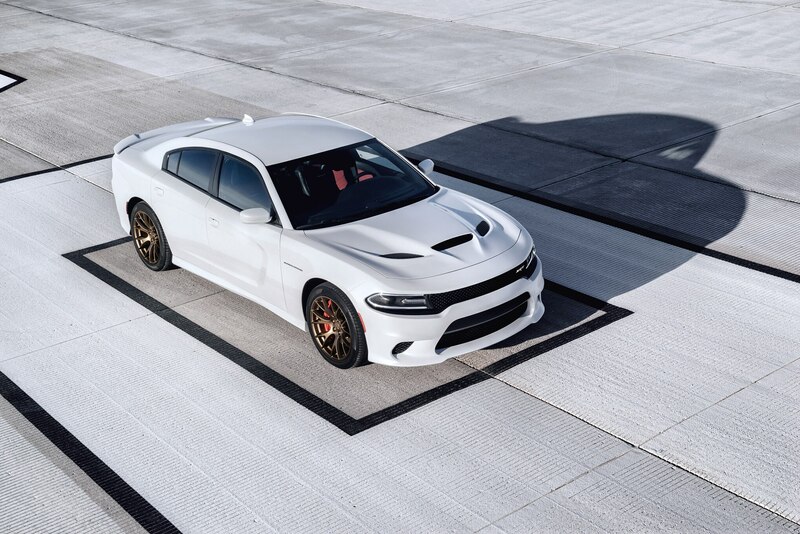 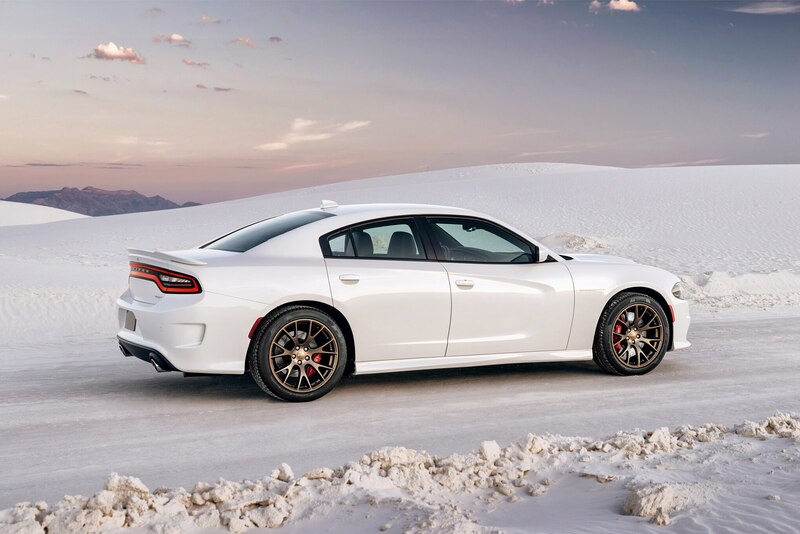 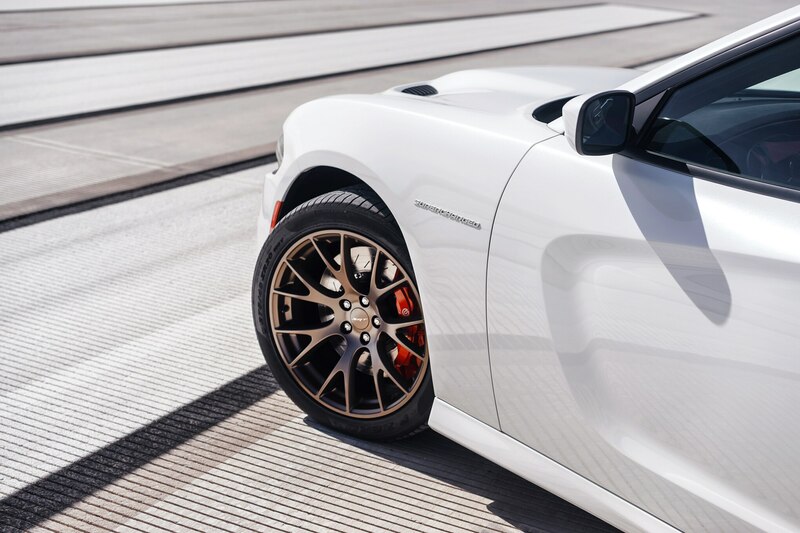 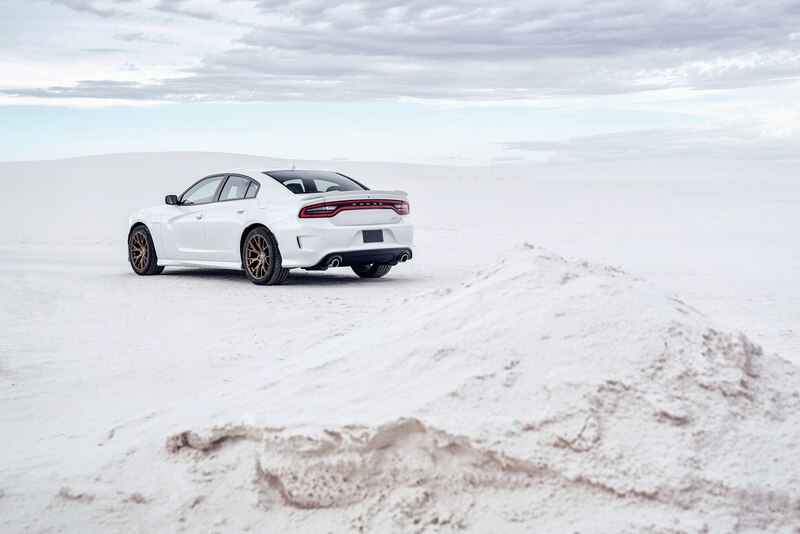 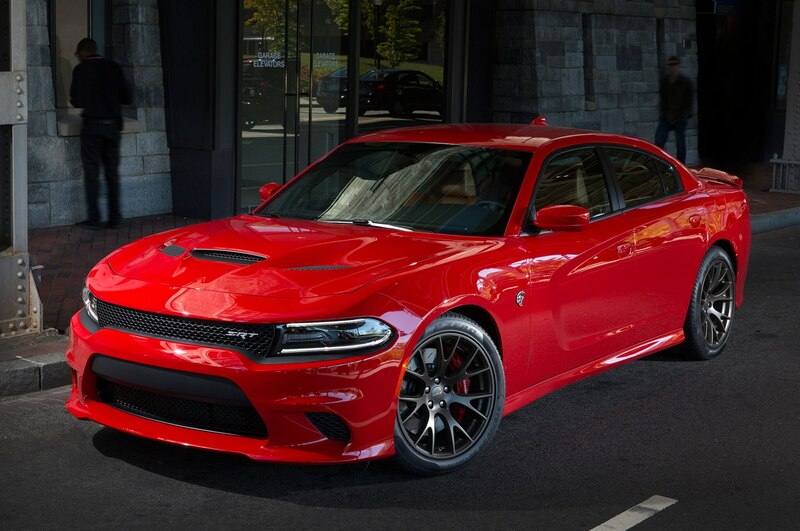 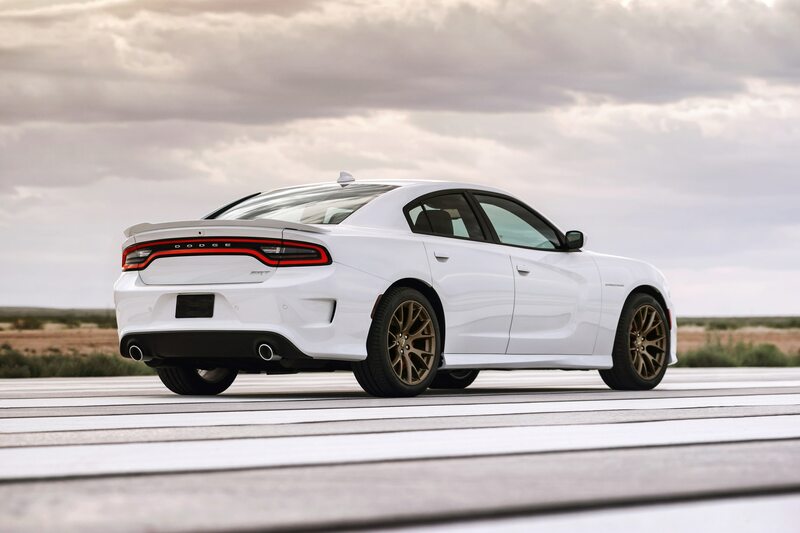 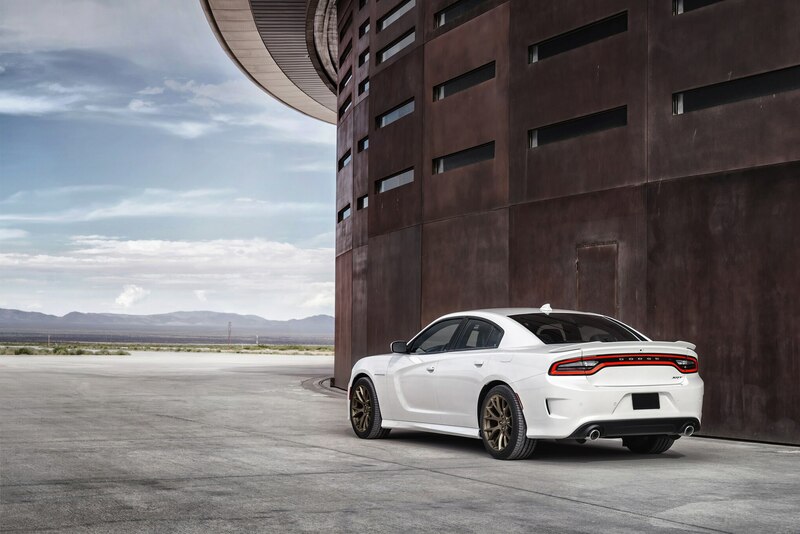 The rest is carry-over from the ponycar Hellcat, including Brembo brakes with front 15.4-inch rotors and six-piston calipers; three-way adjustable Bilstein shocks; and robust gauges, steering wheel, and seats. 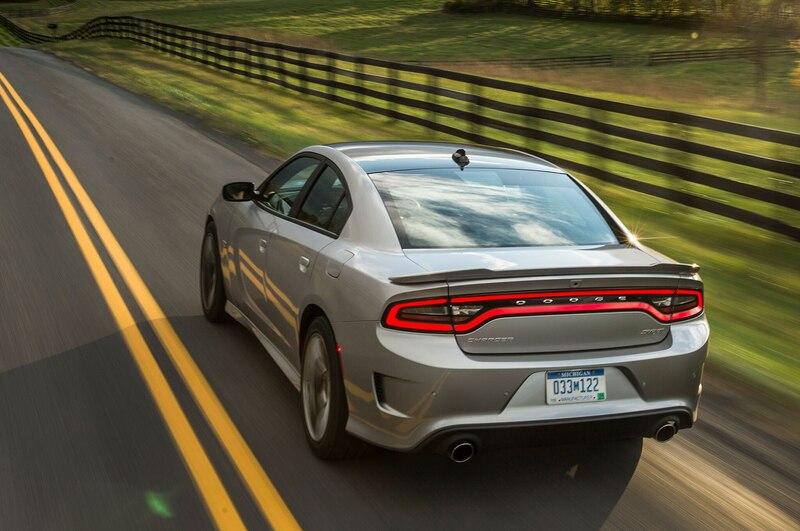 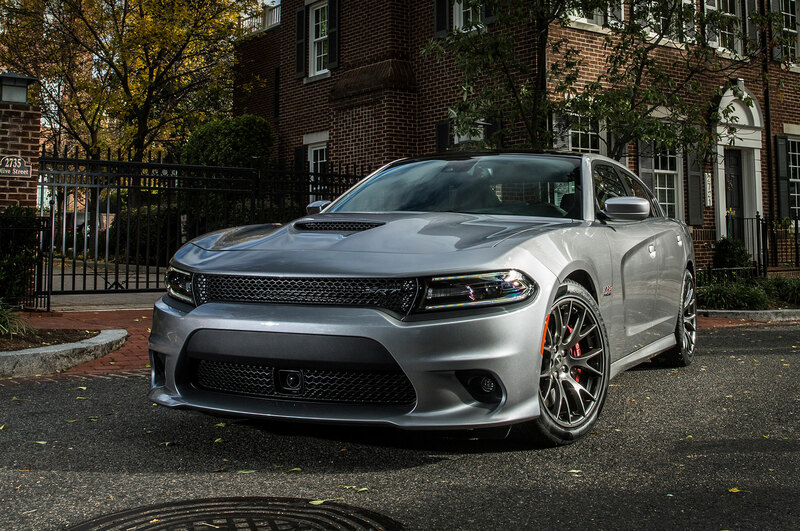 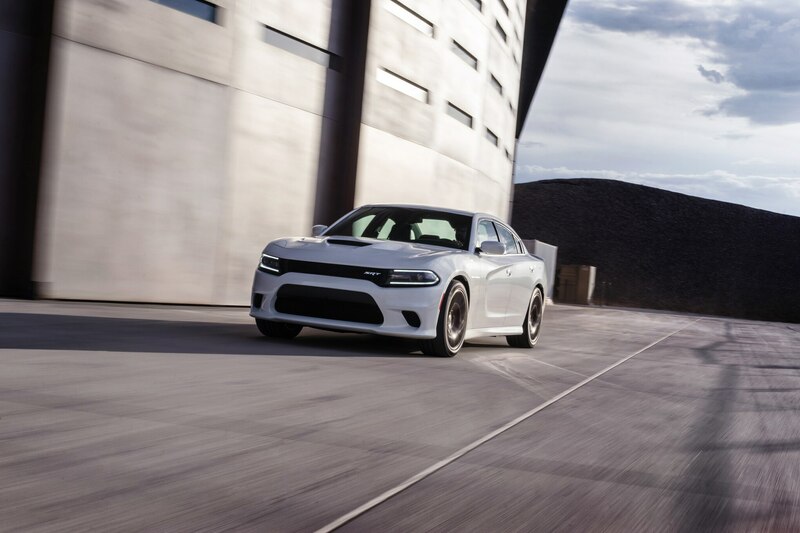 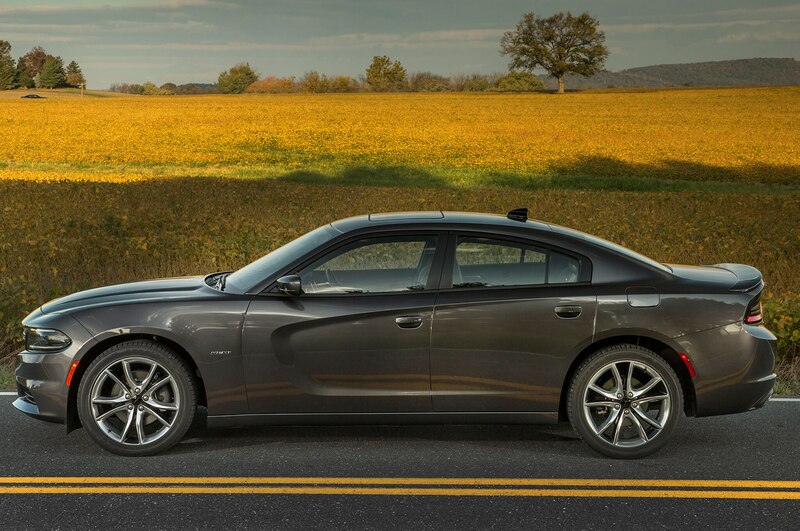 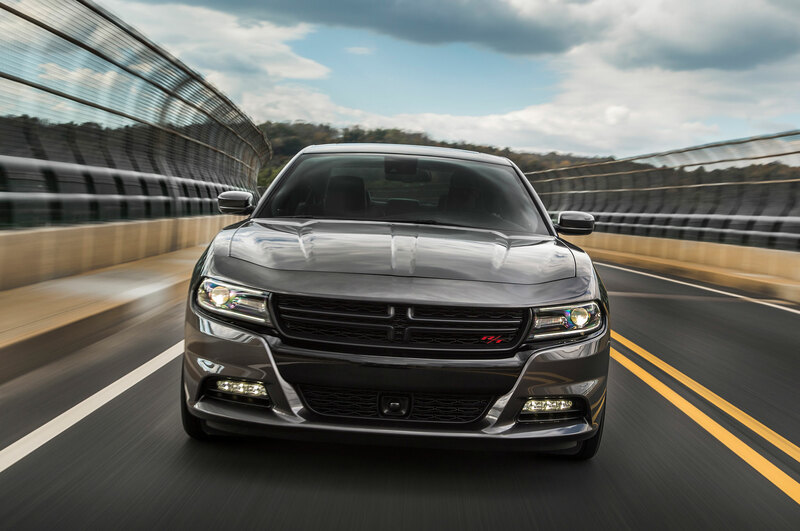 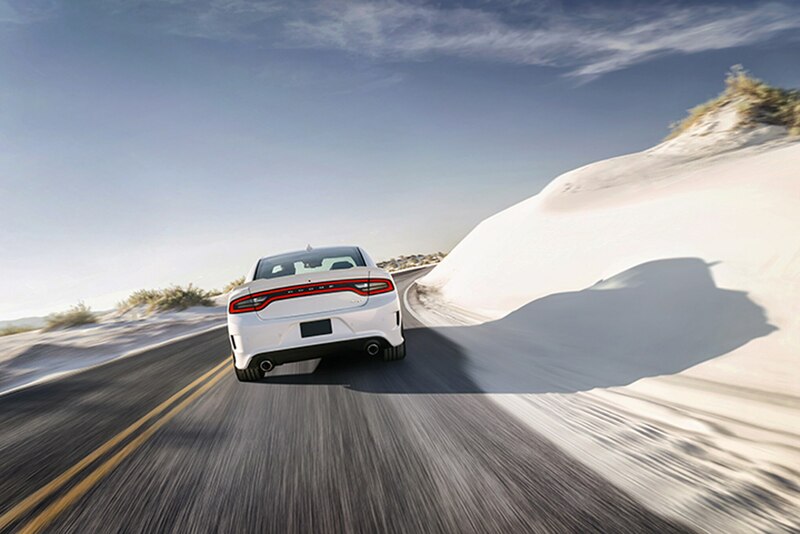 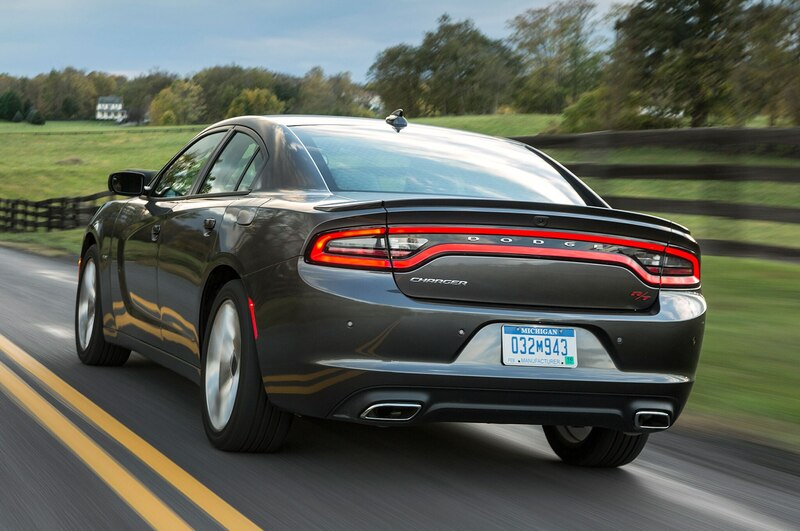 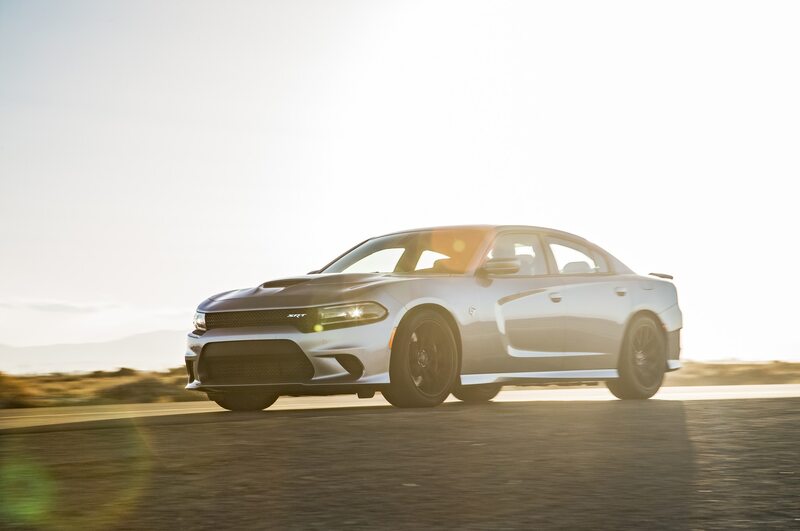 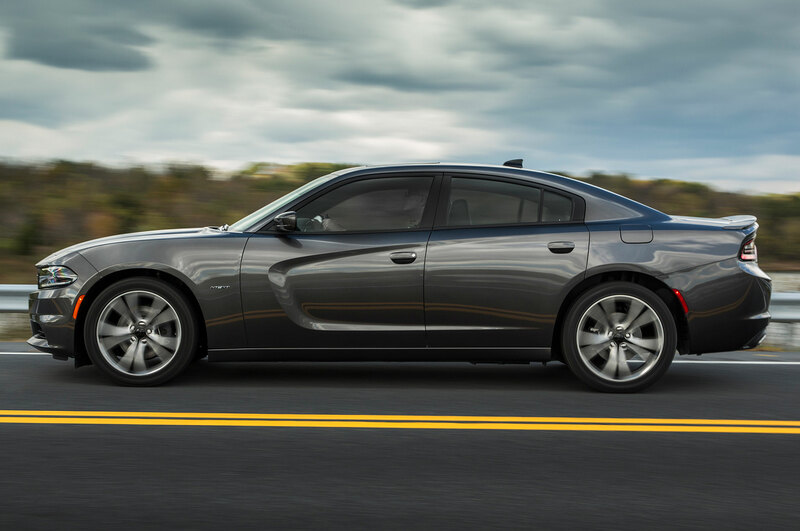 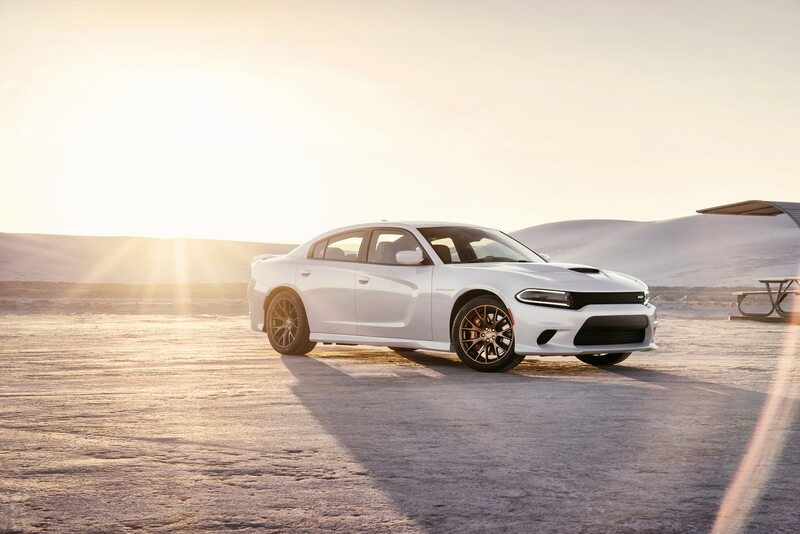 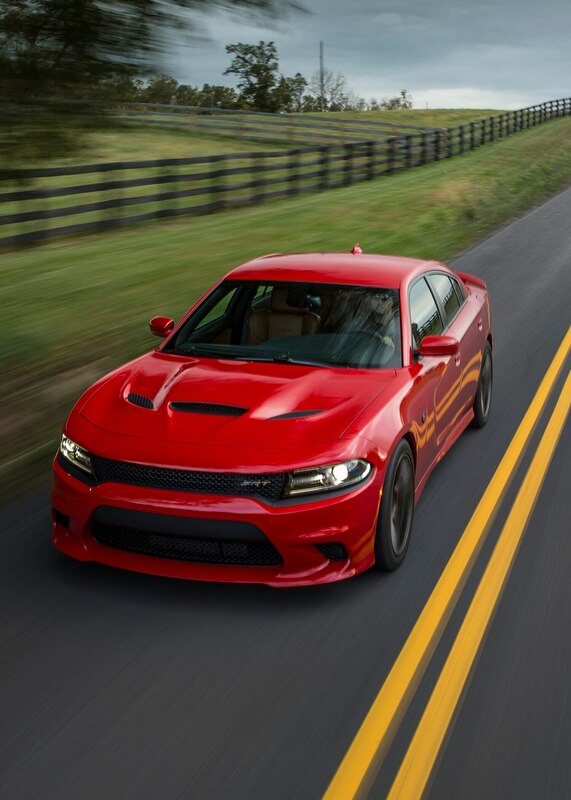 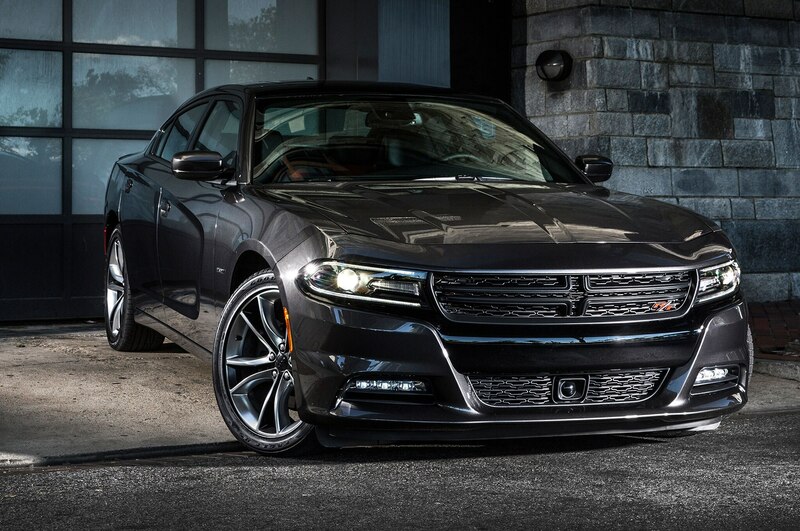 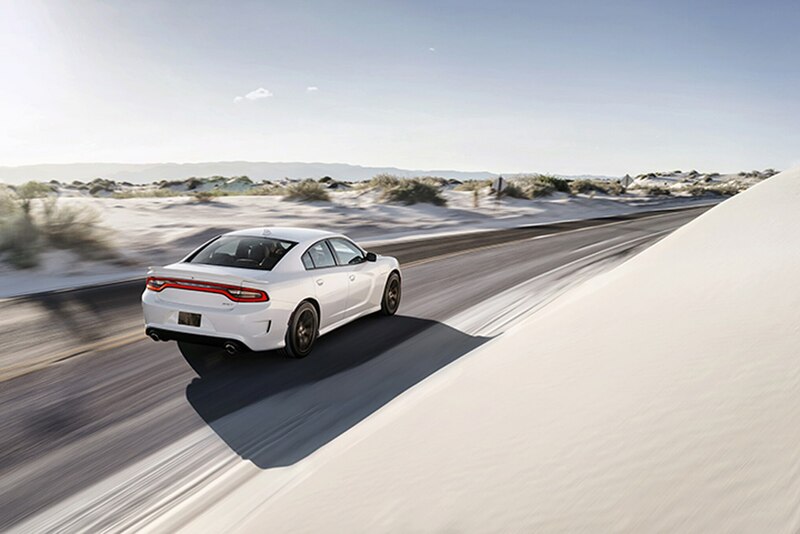 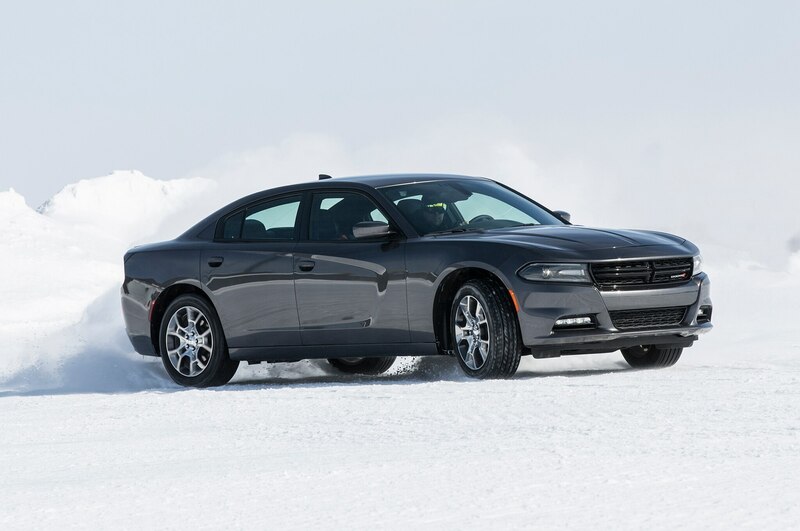 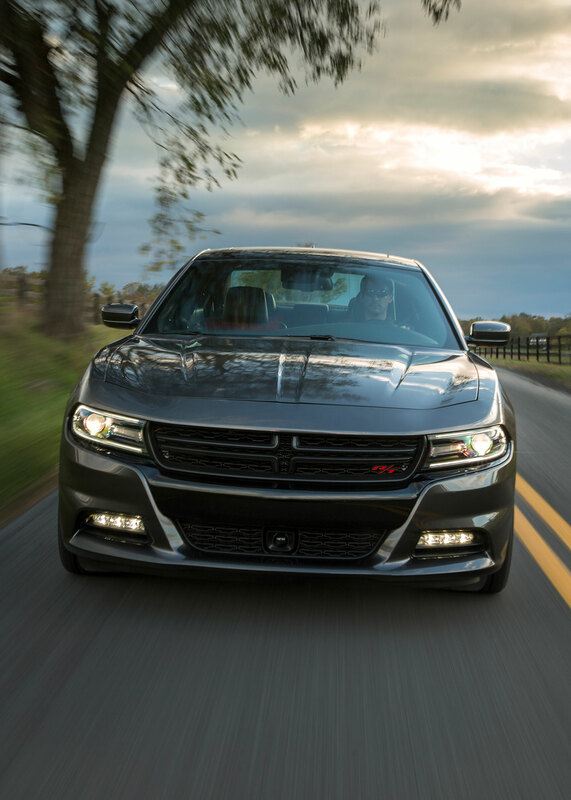 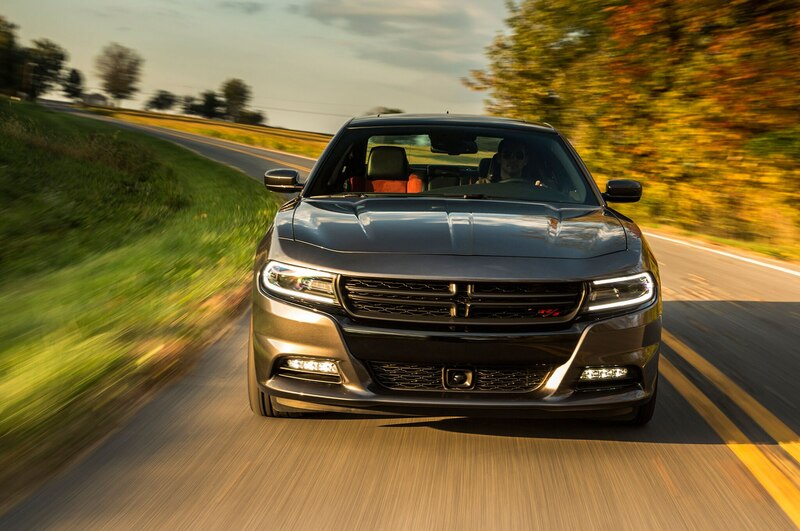 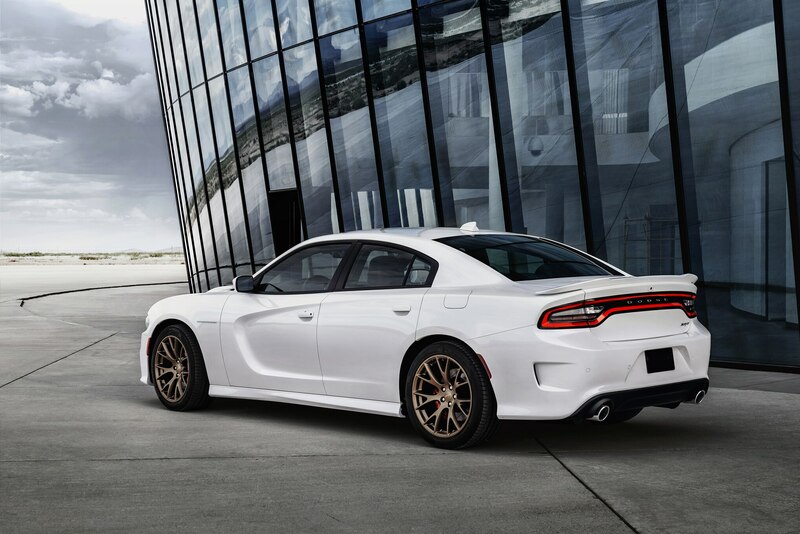 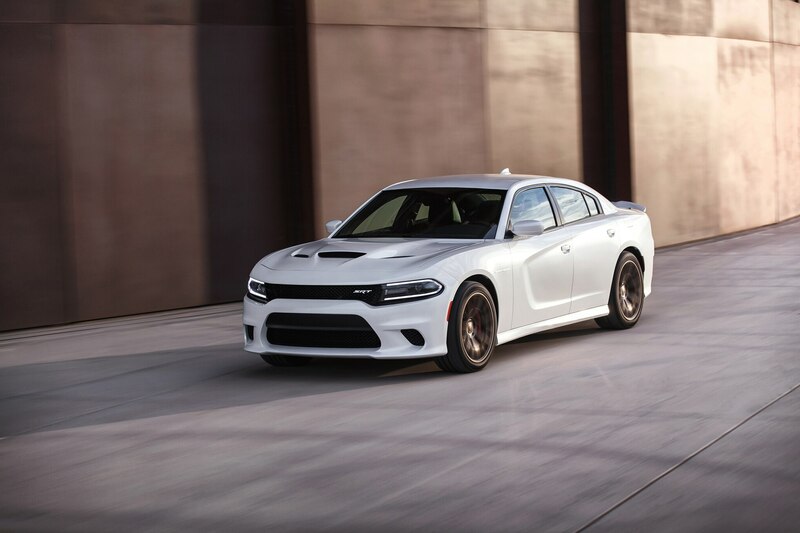 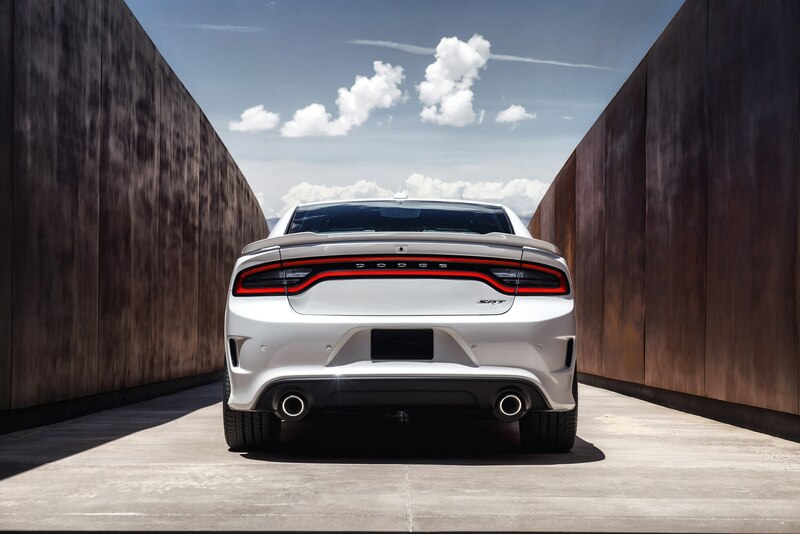 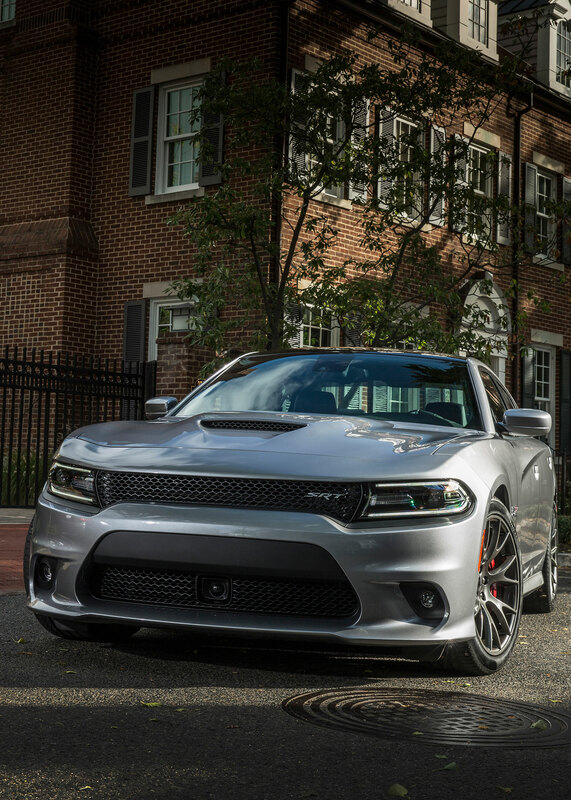 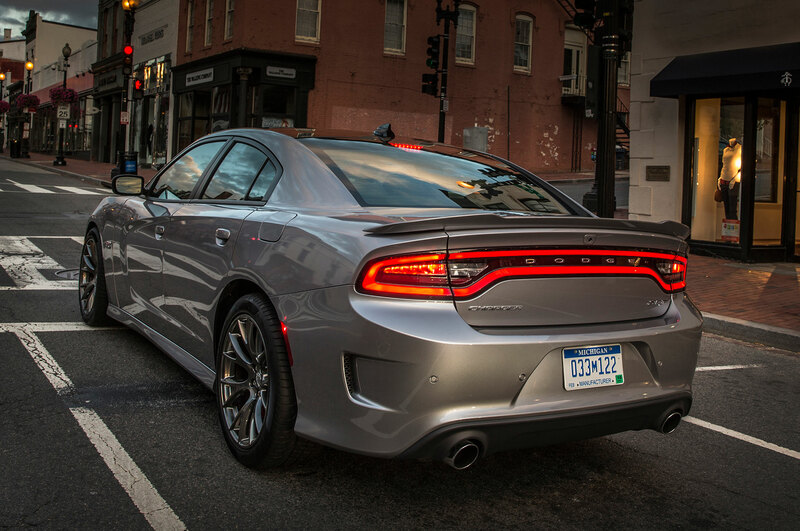 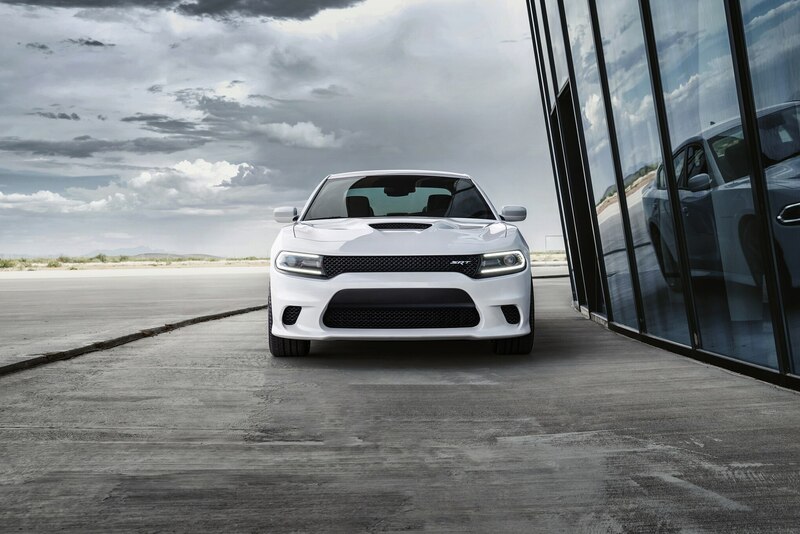 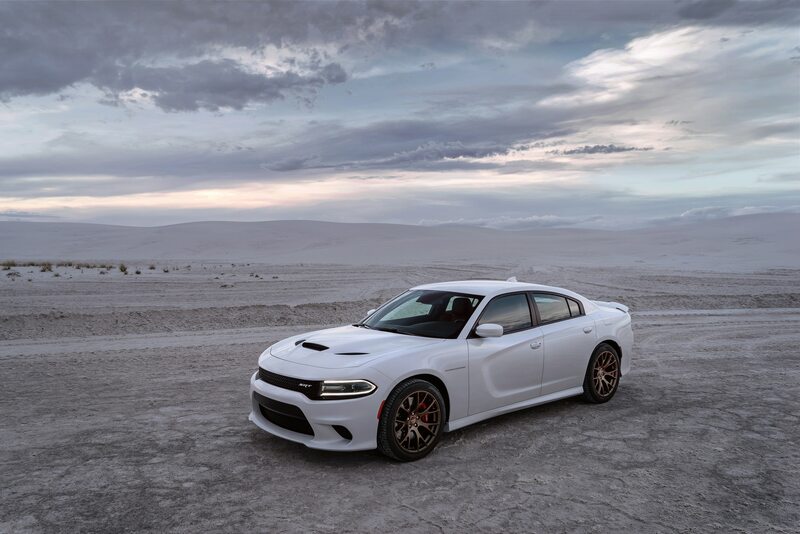 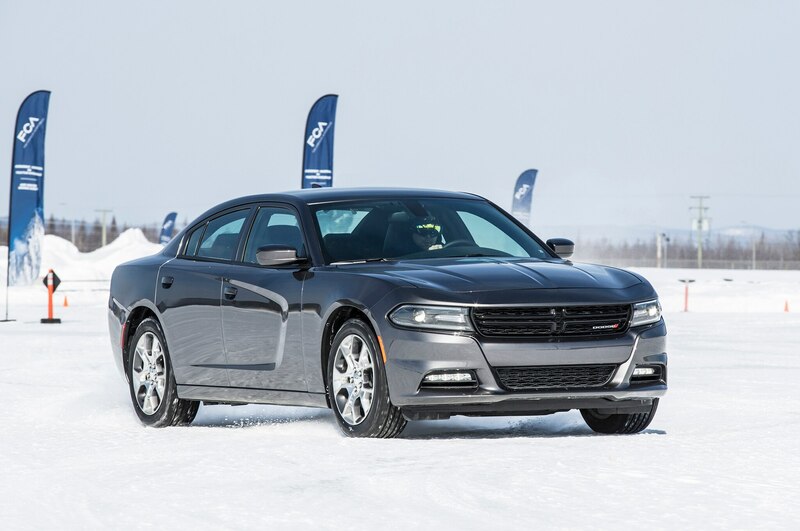 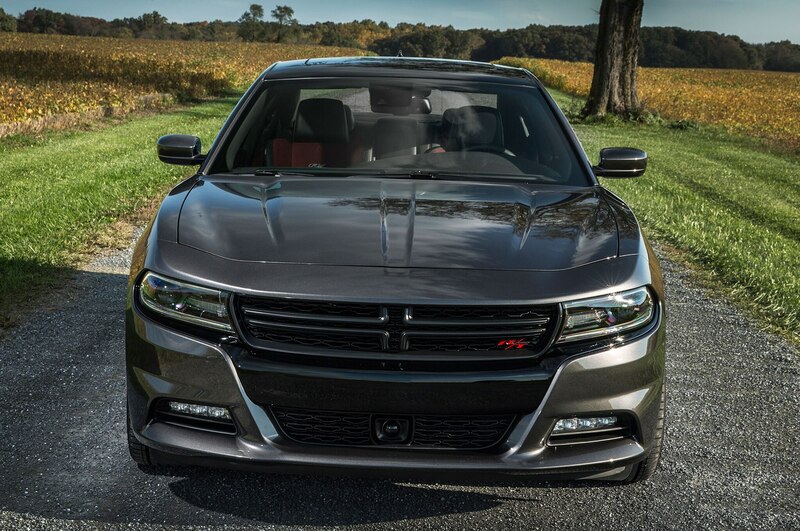 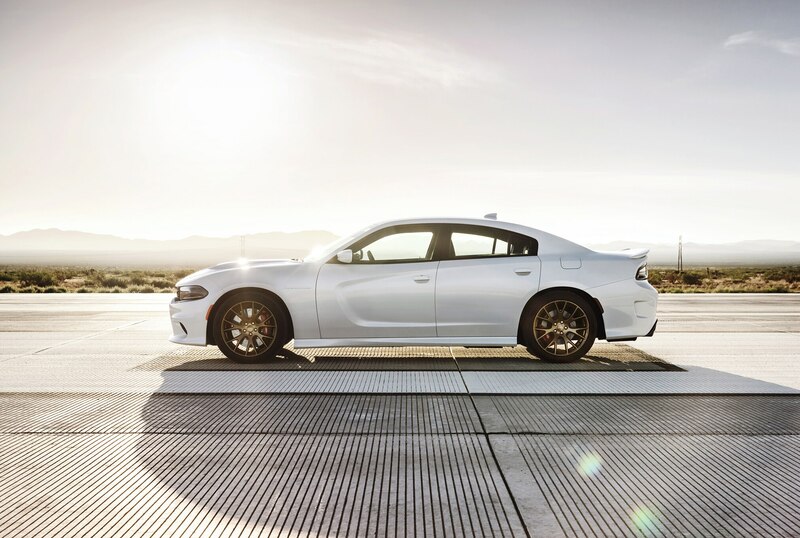 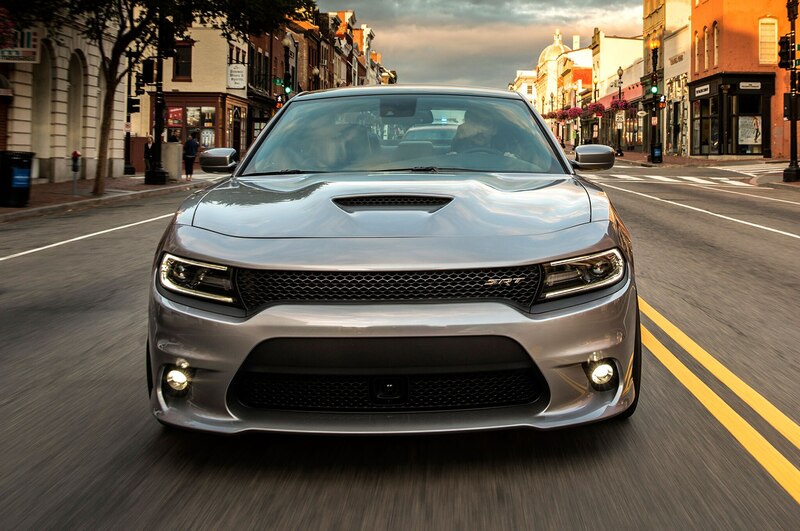 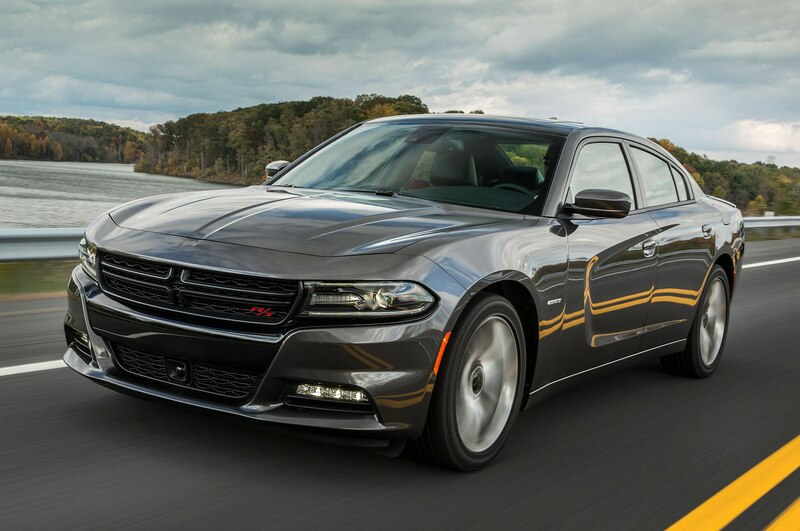 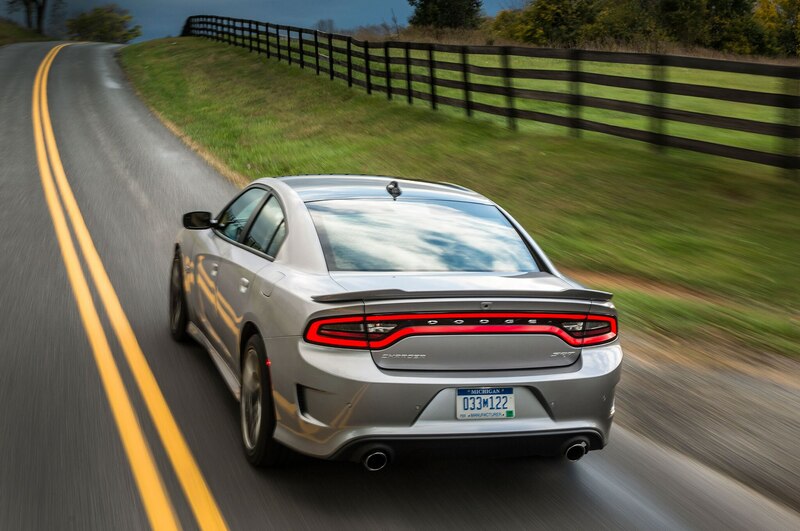 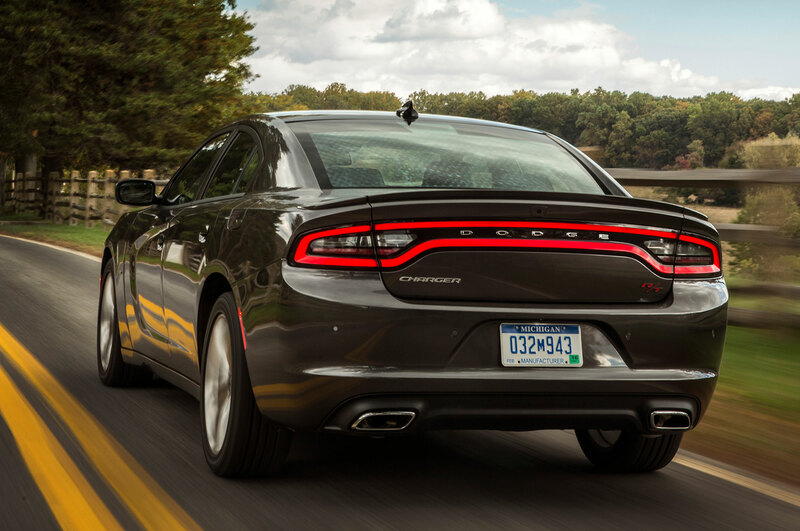 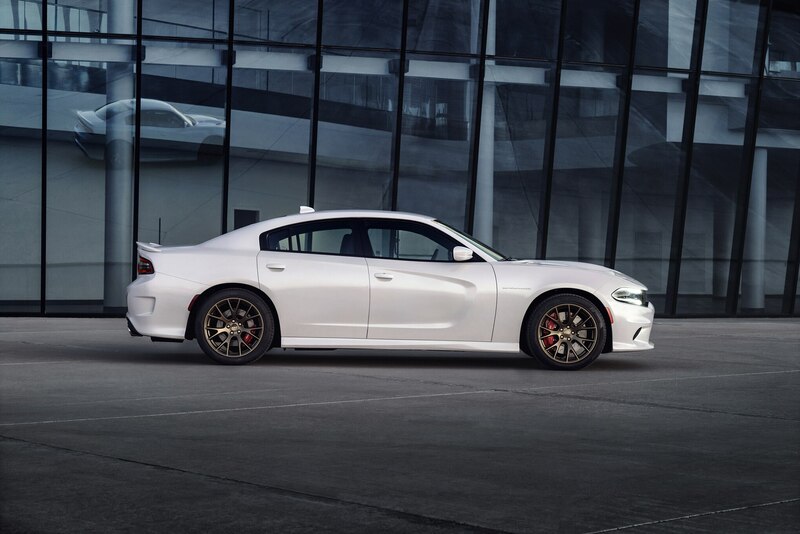 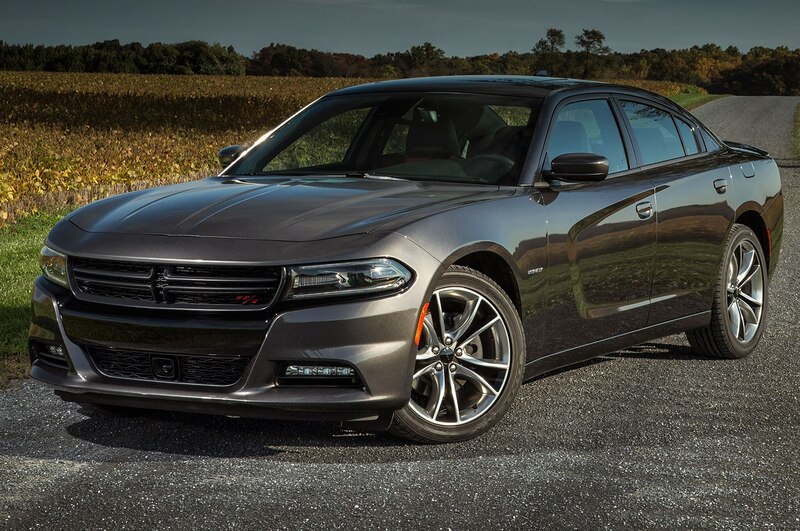 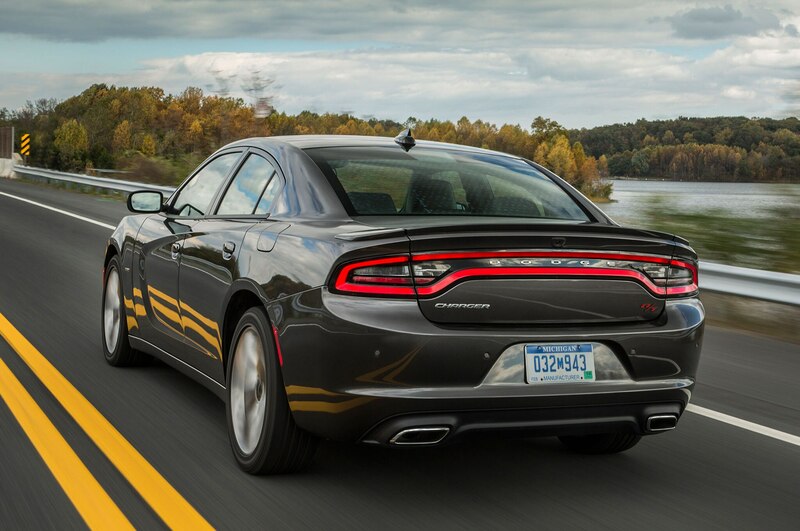 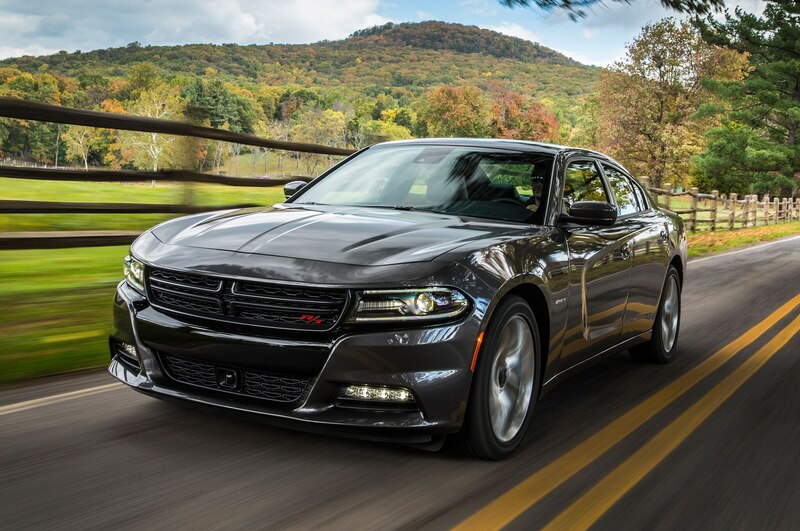 Compared with its Challenger cousin, the Charger is 160 pounds heavier and there’s no manual transmission choice. 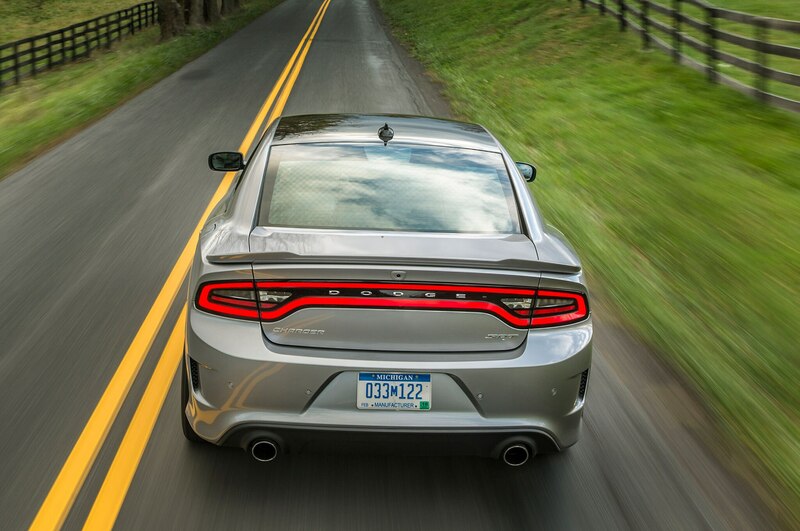 But the ride is more compliant, with spring rates softened by 27 percent front, 10 percent rear. 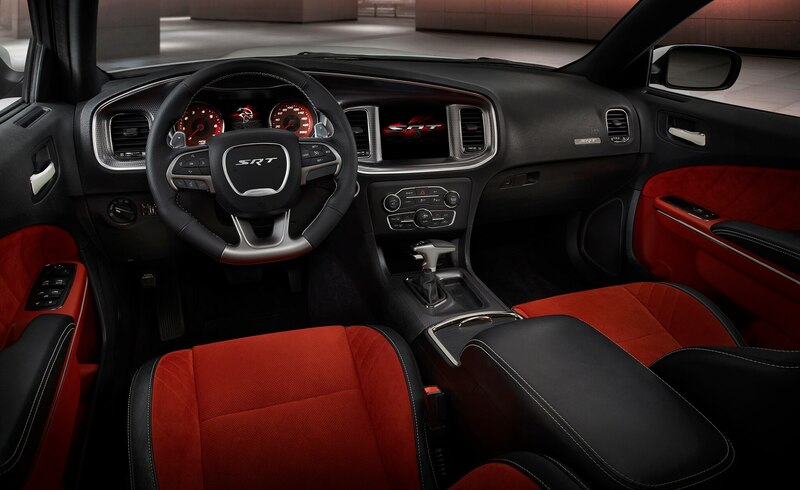 And it’s quieter inside, thanks to added underhood insulation and more restrictive middle exhaust resonators. 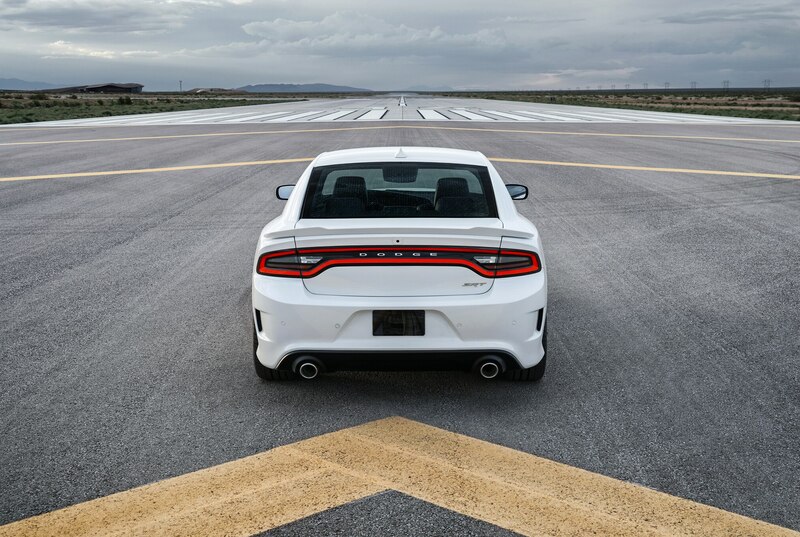 5 mph beyond the Challenger’s. 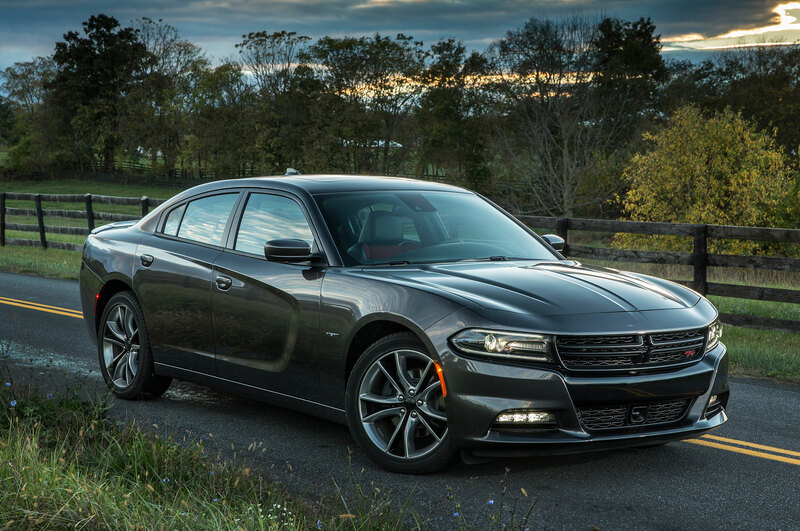 Despite the roomier back seat and comfier ride, the sedan feels just as madcap. 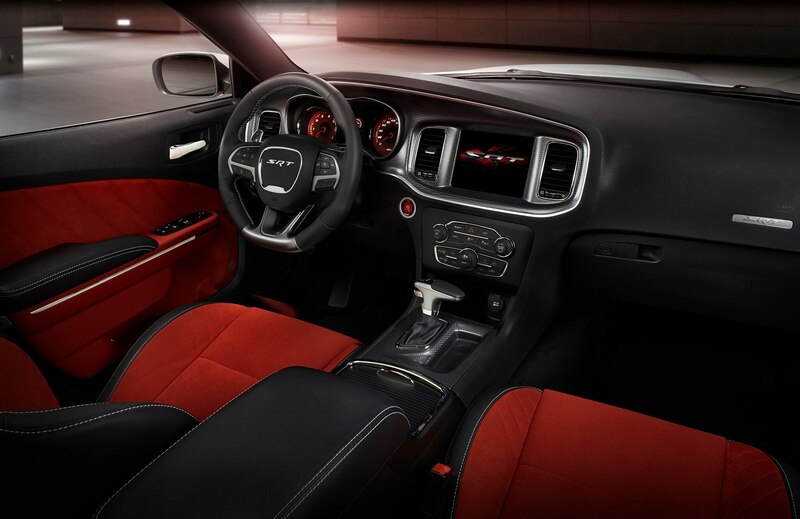 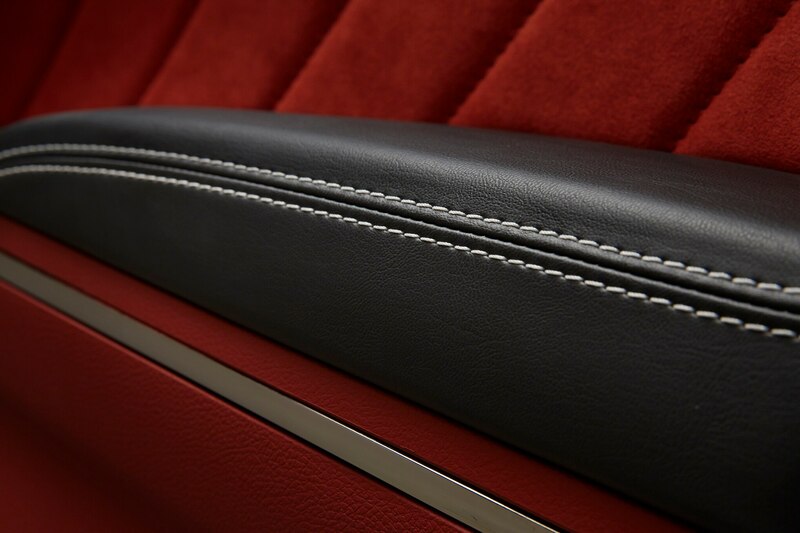 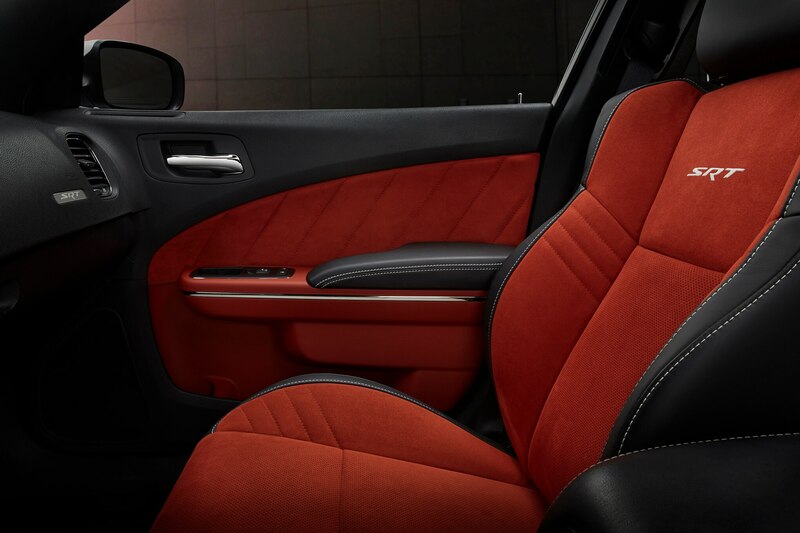 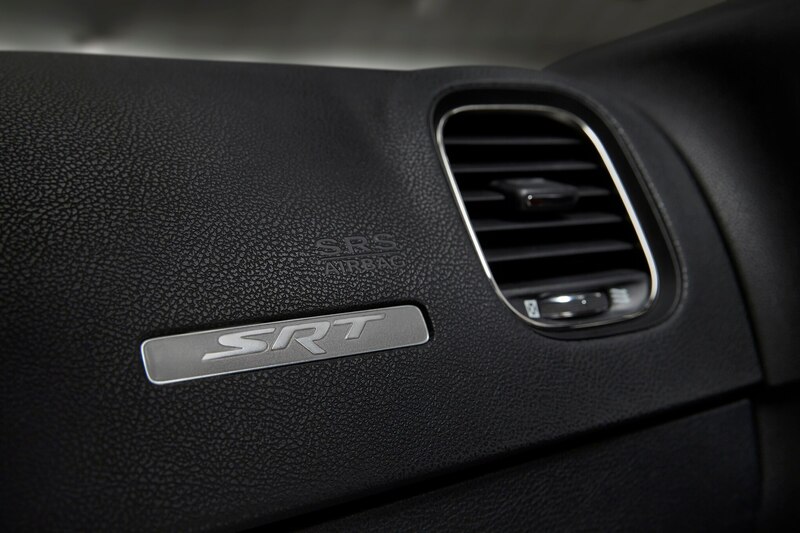 As in the Challenger, owners can electronically limit horsepower to 500 to conserve premium unleaded, and soothe steering, transmission, throttle, and stability programs via the touchscreen or the secondary black key fob. 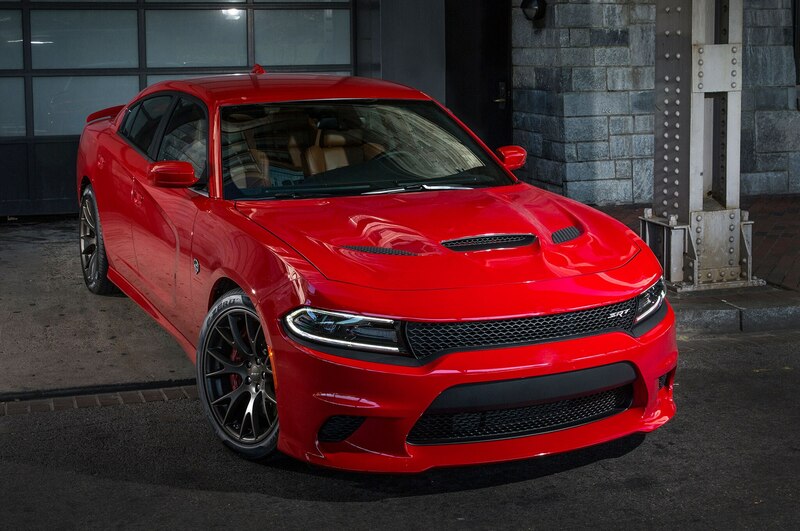 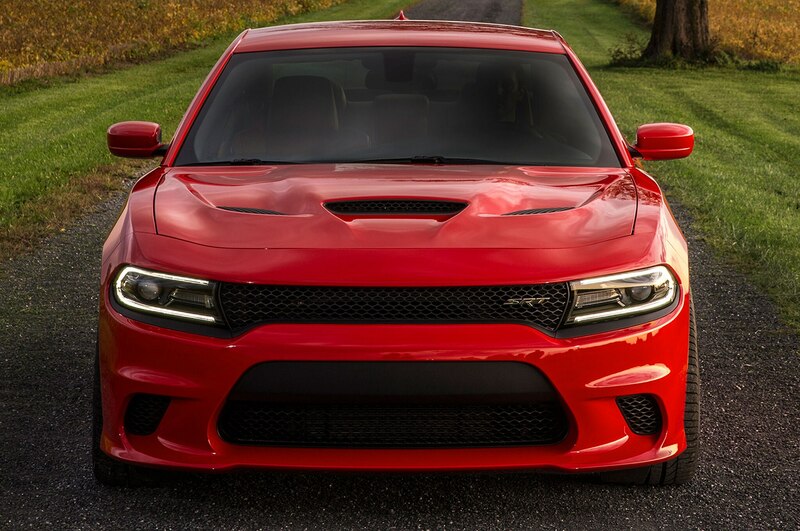 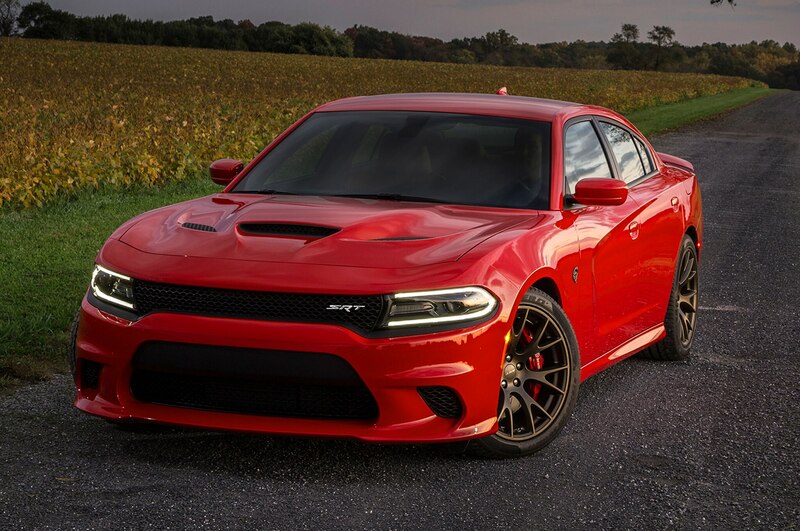 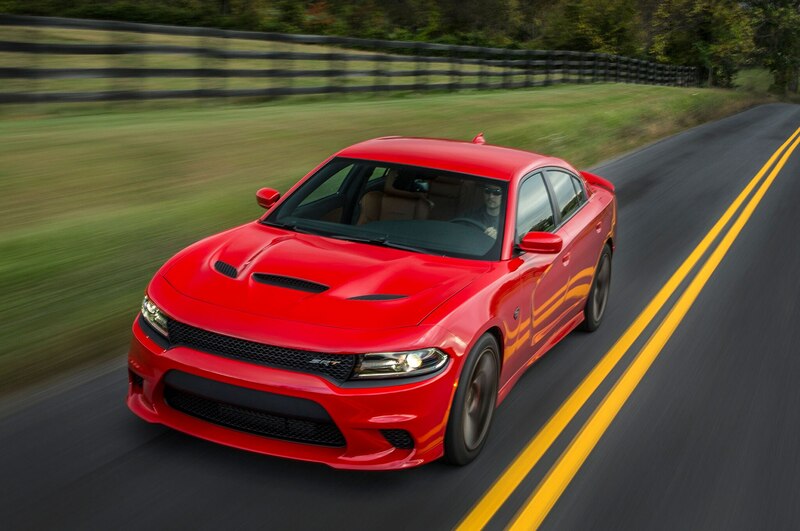 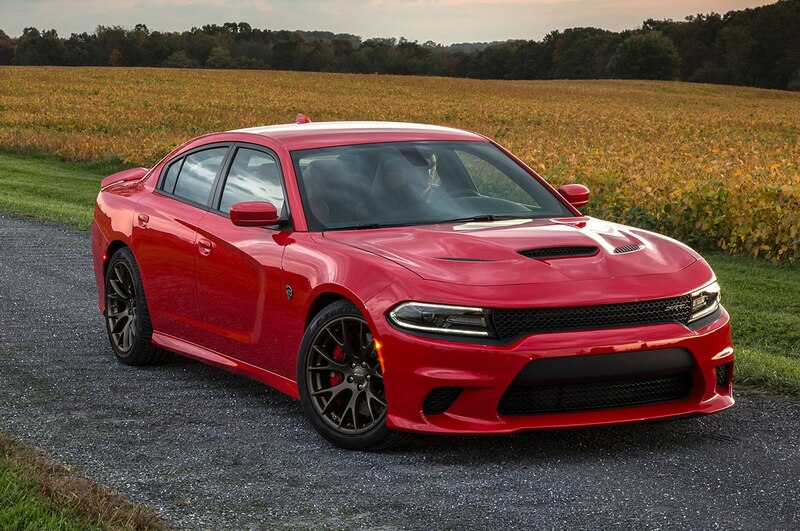 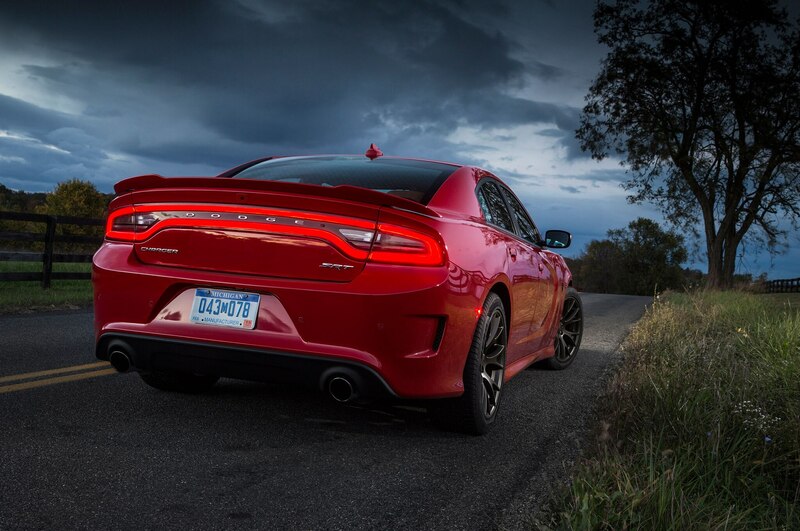 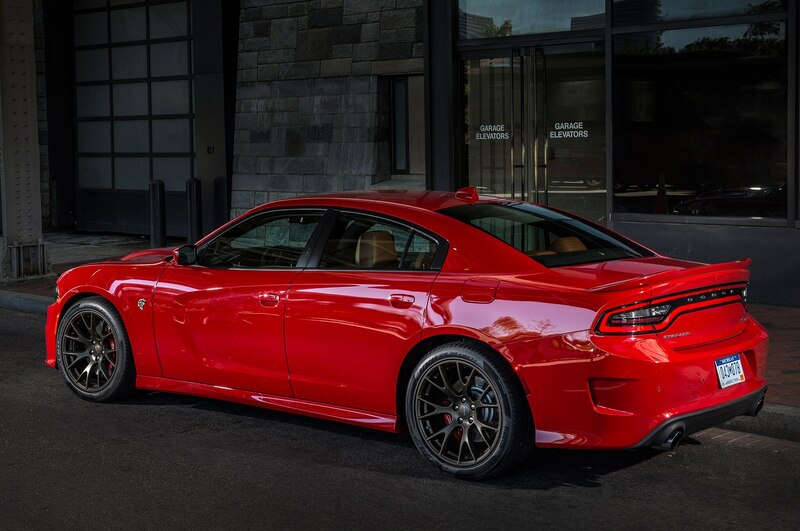 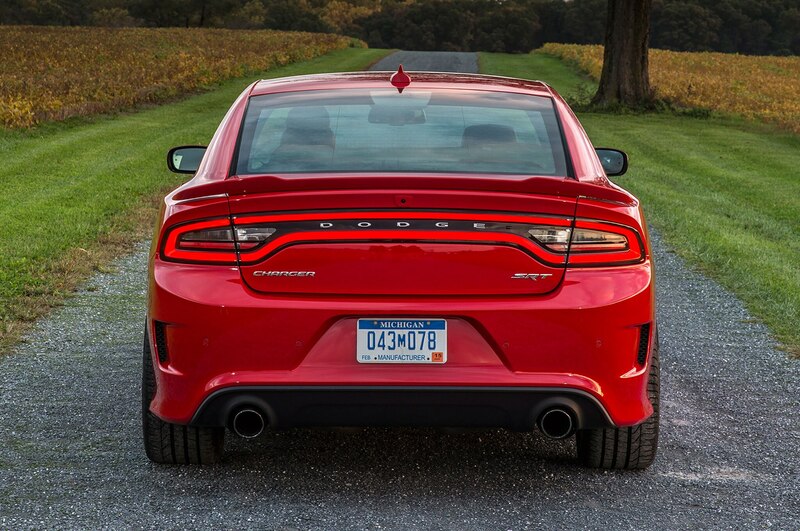 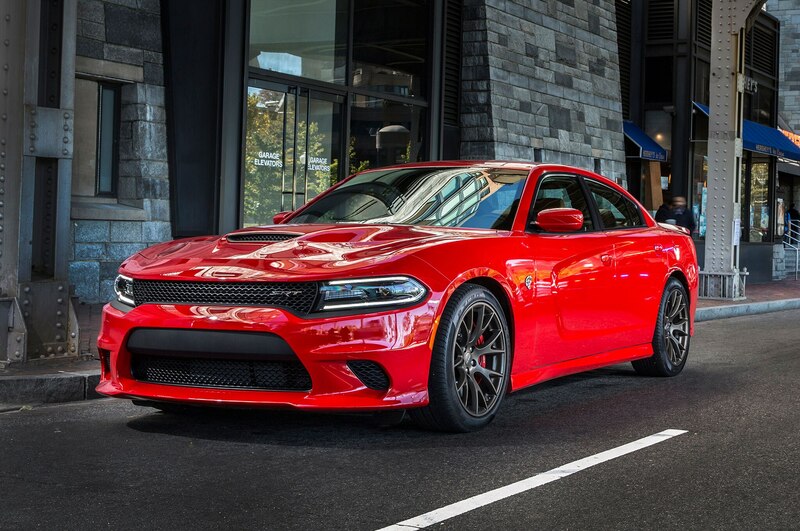 But the red key unleashes the full satanic majesty, making the Hellcat what Dodge bills as the world’s quickest, most powerful production sedan. 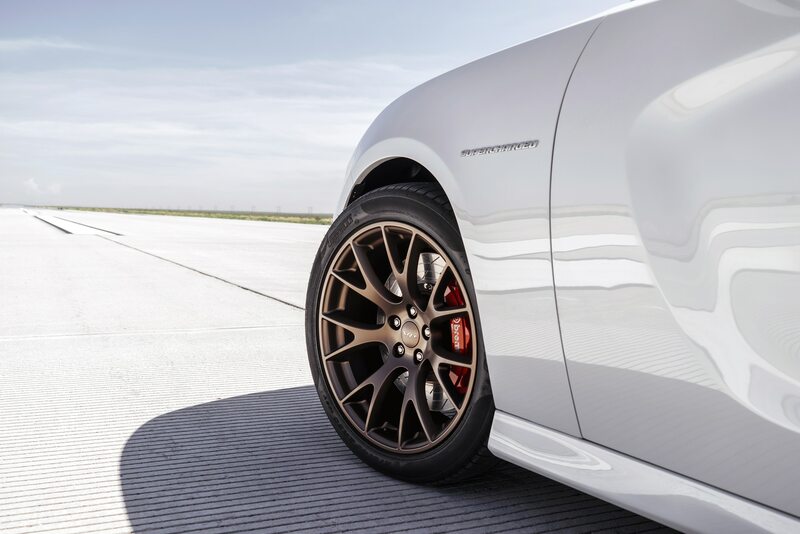 Not a $100,000 AMG Mercedes. 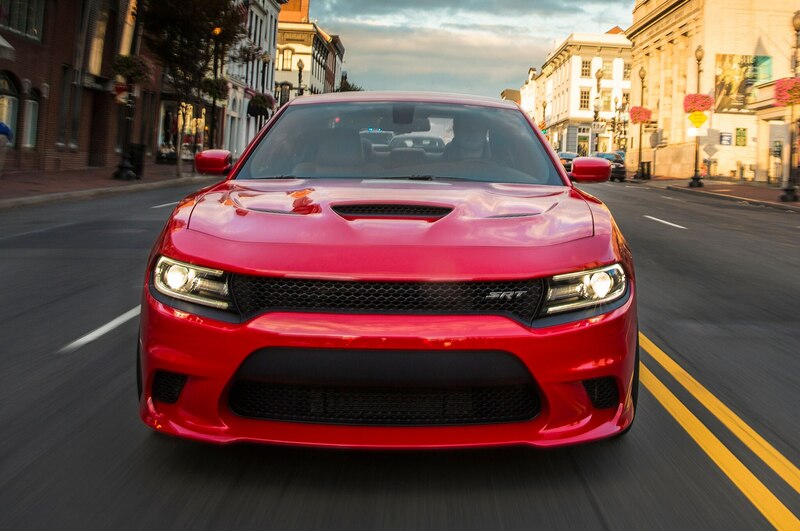 Not a $300,000 Bentley. 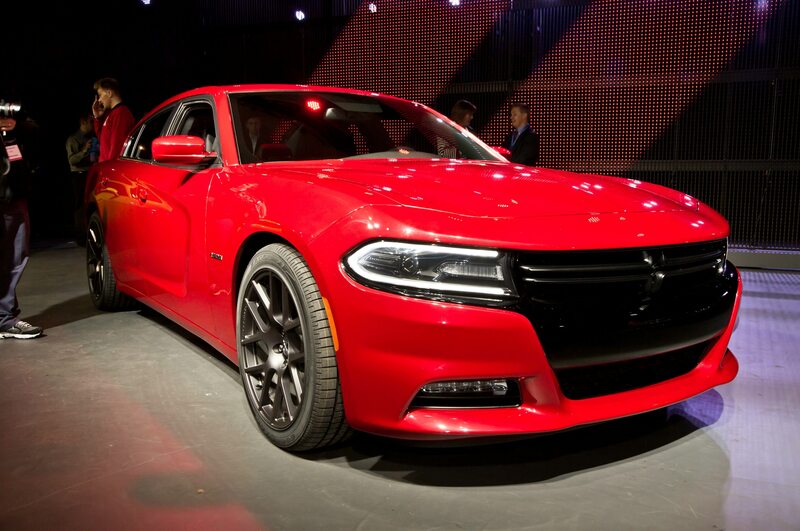 But a Dodge, priced at $64,990. 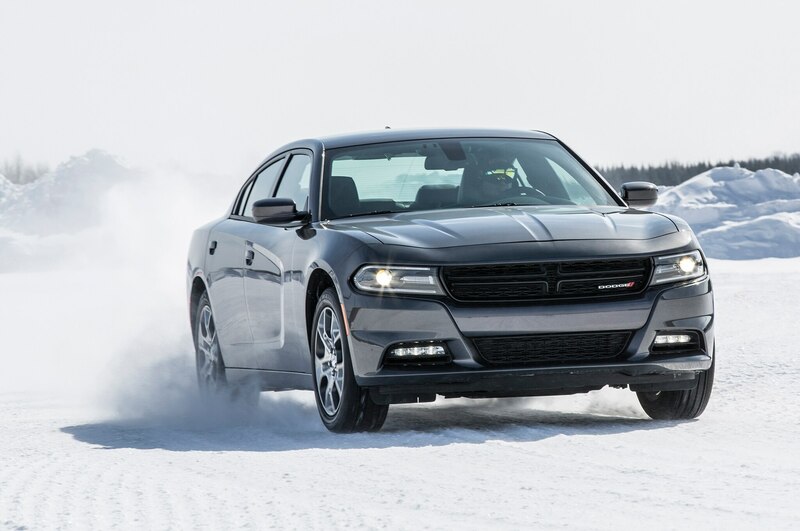 a smoky stock-car braaap that owners will replay like their favorite song. 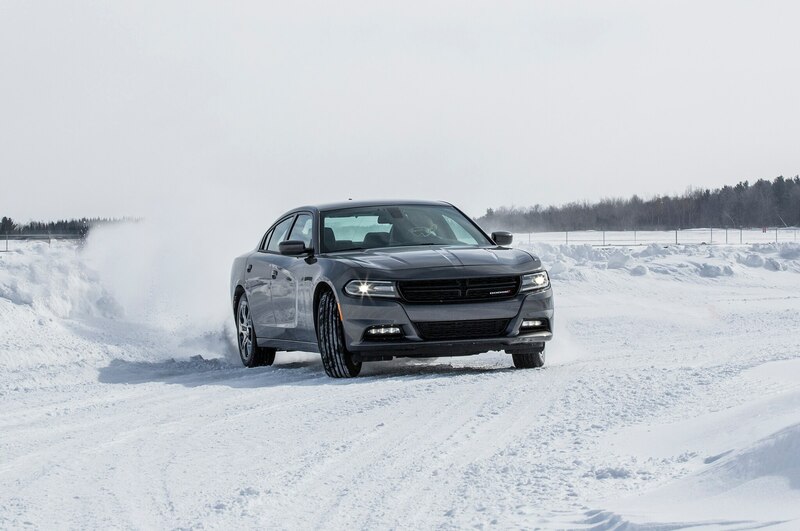 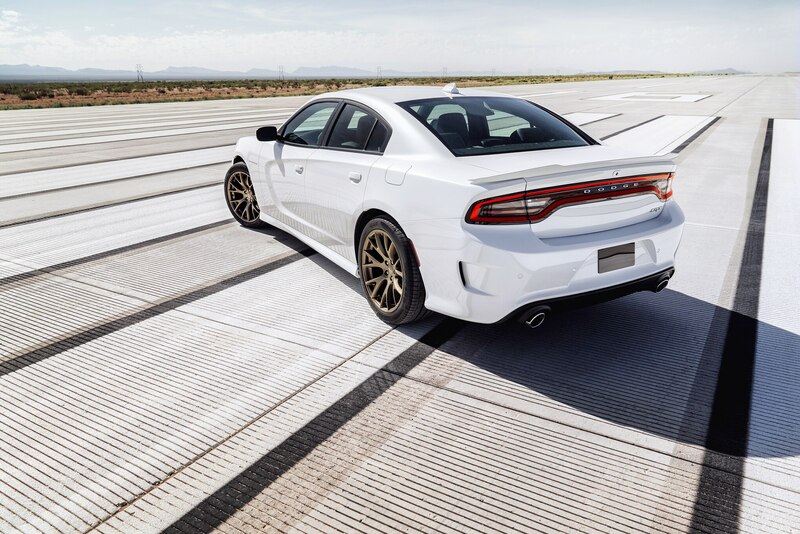 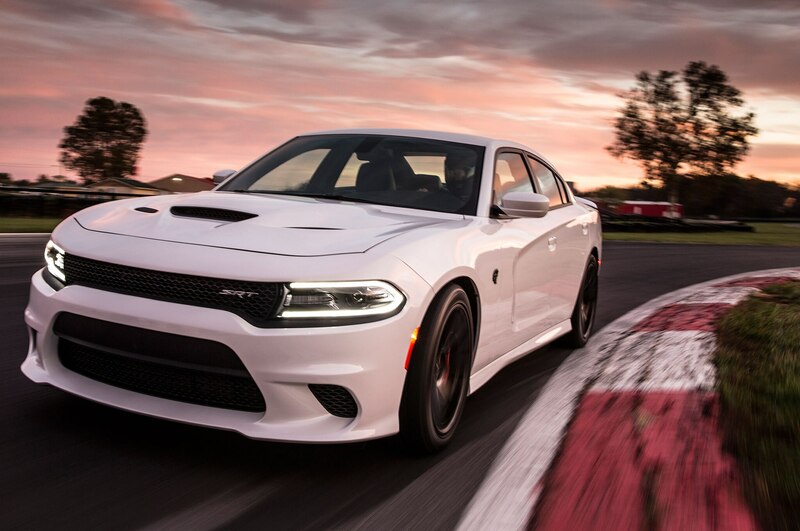 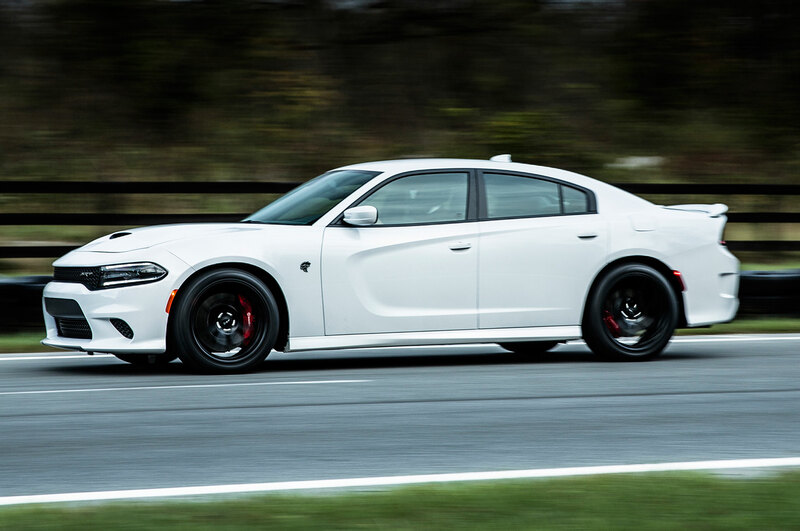 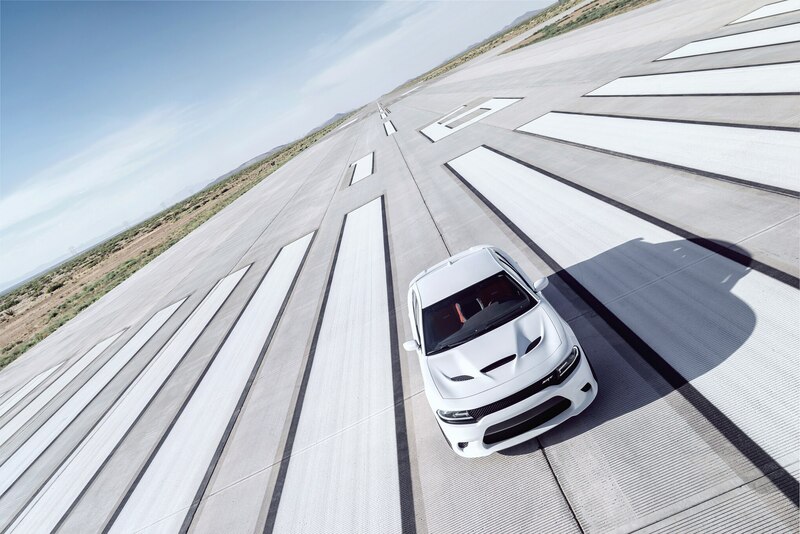 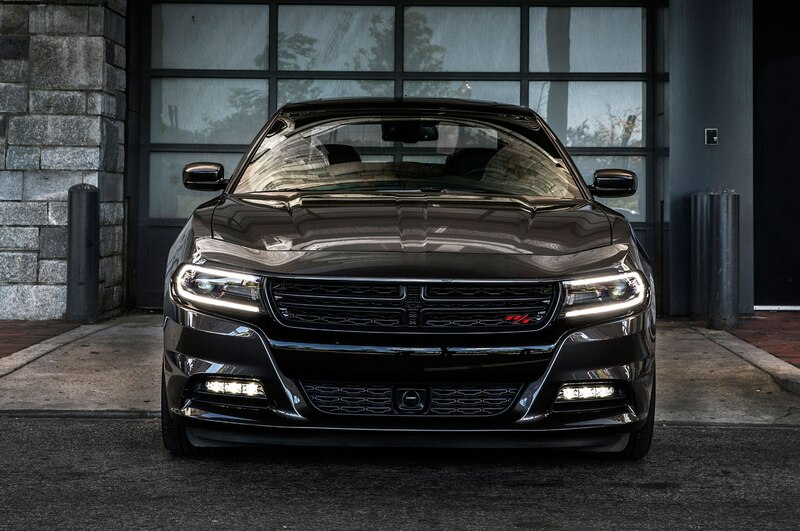 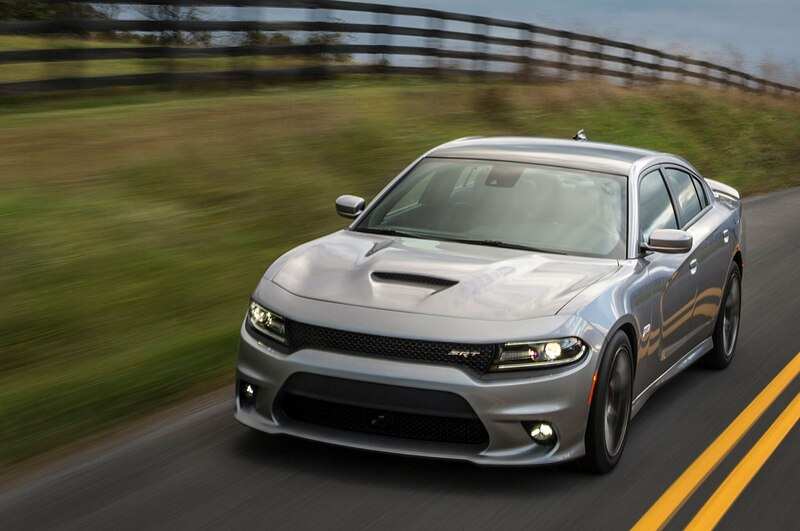 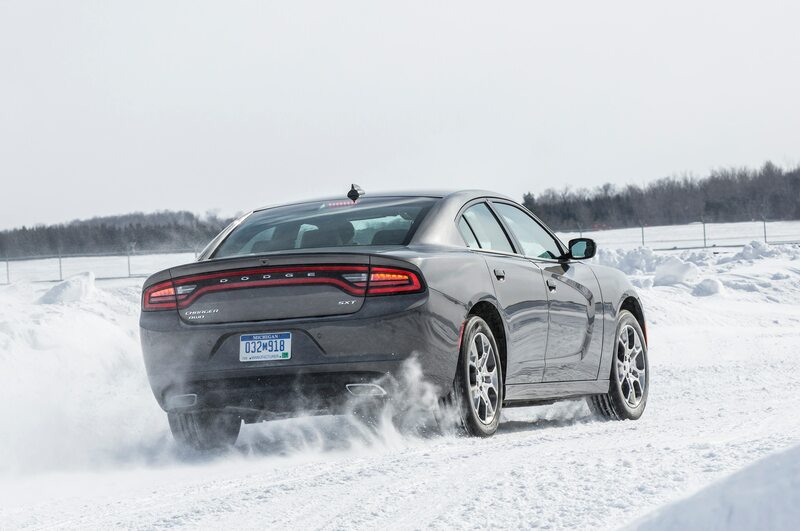 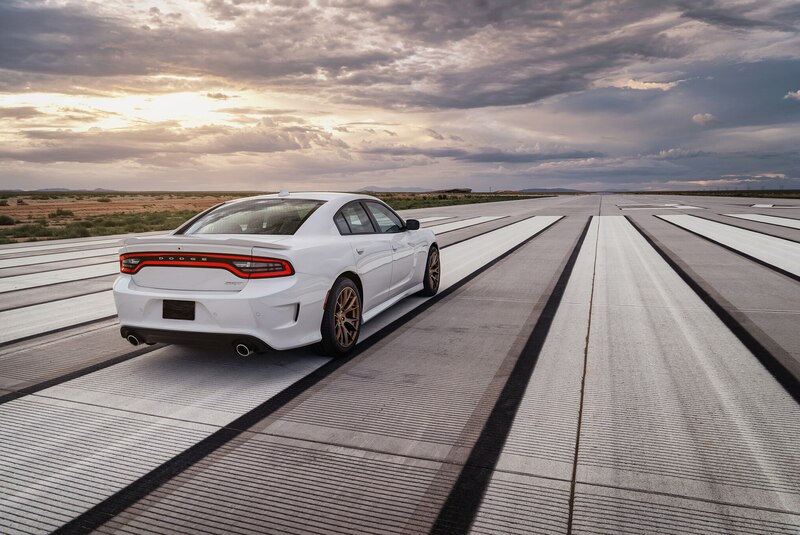 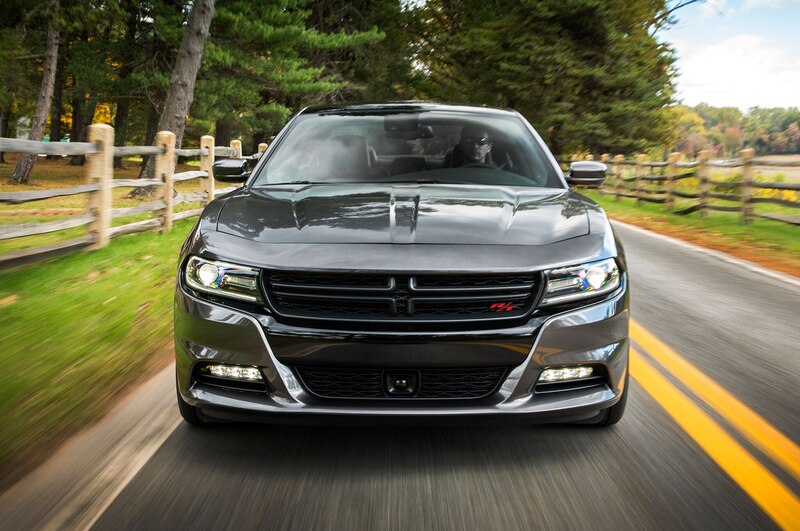 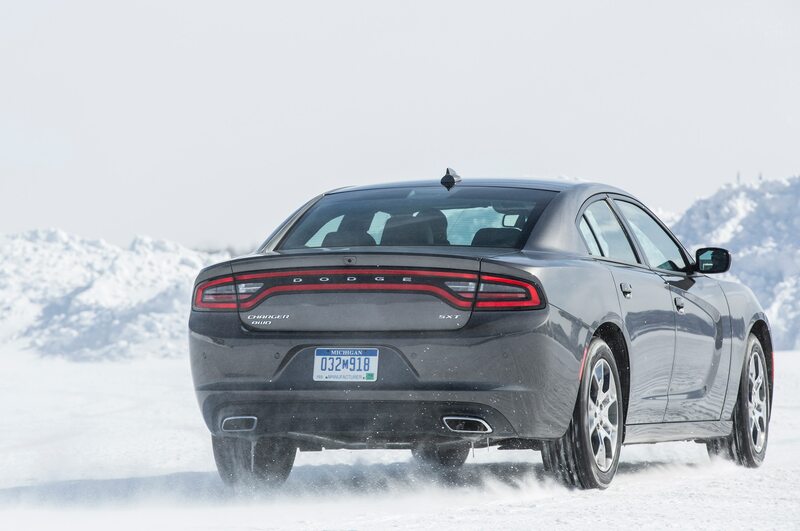 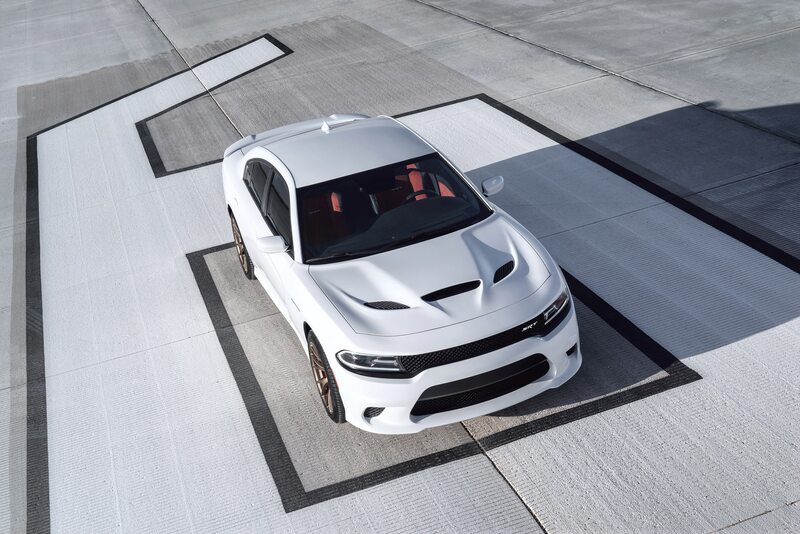 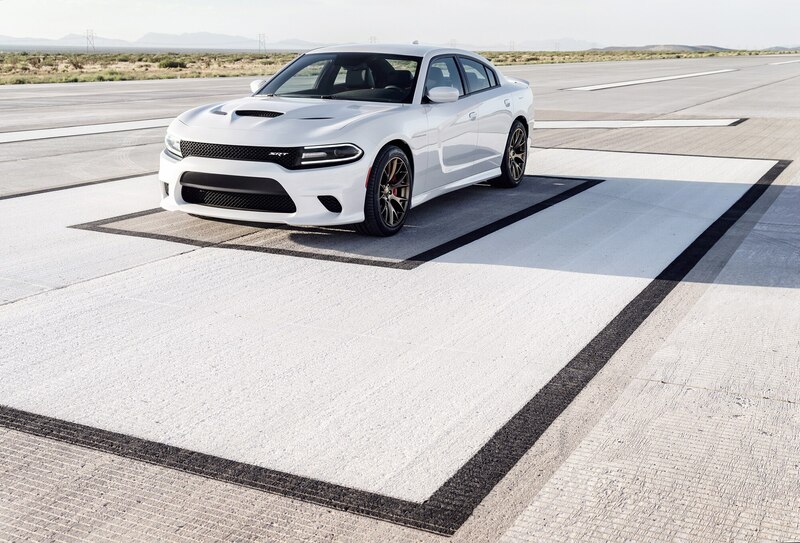 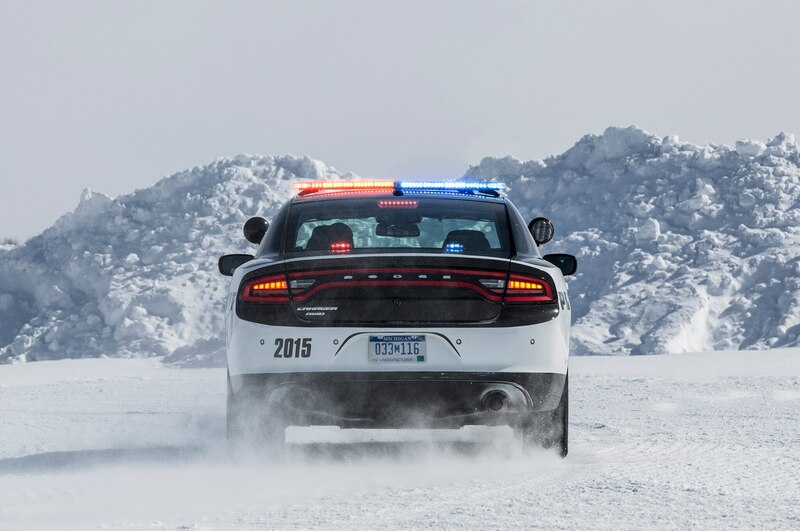 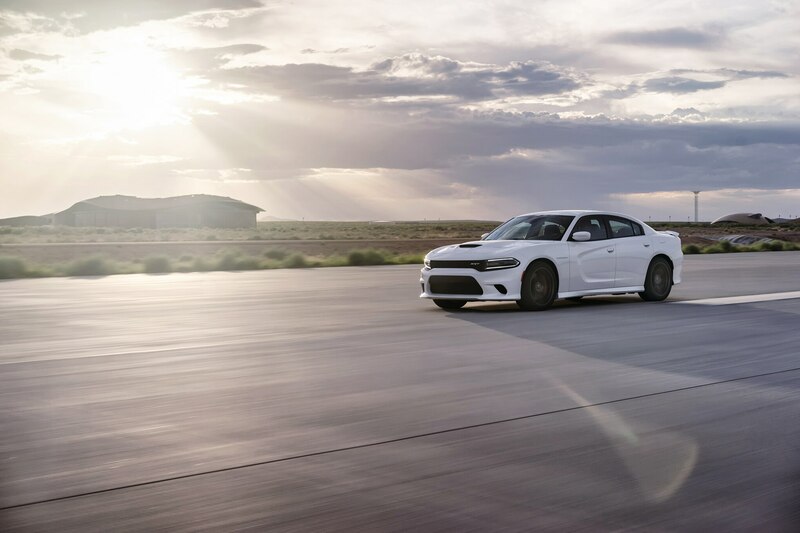 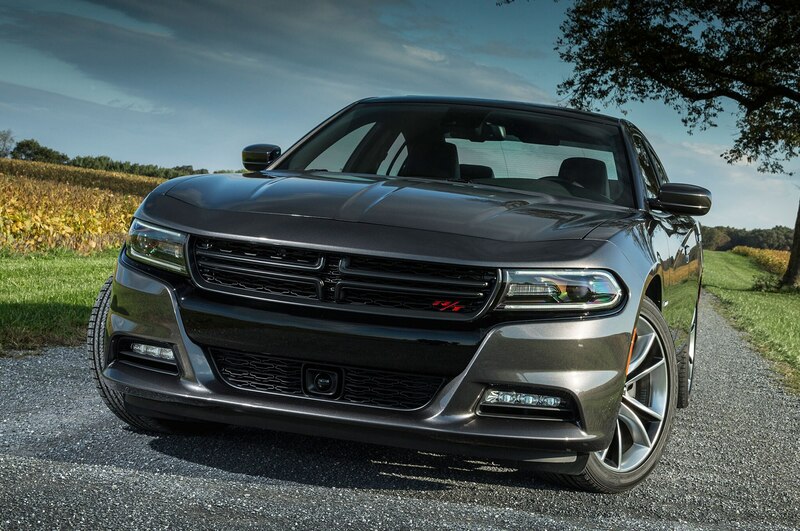 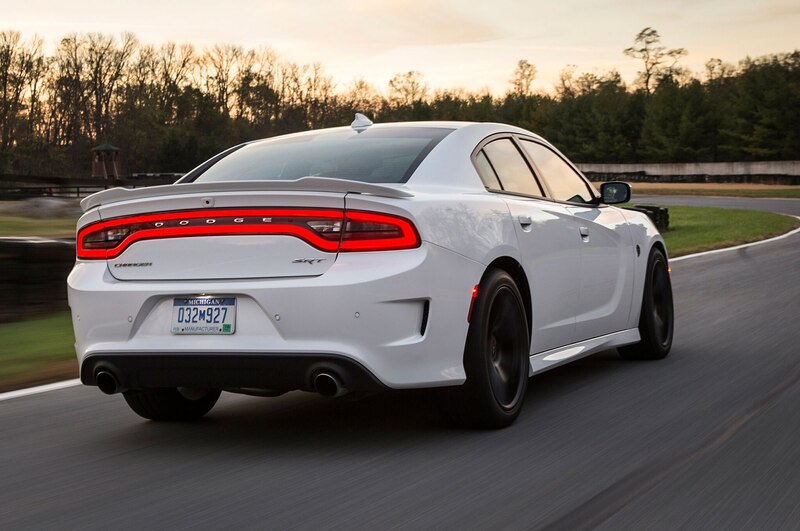 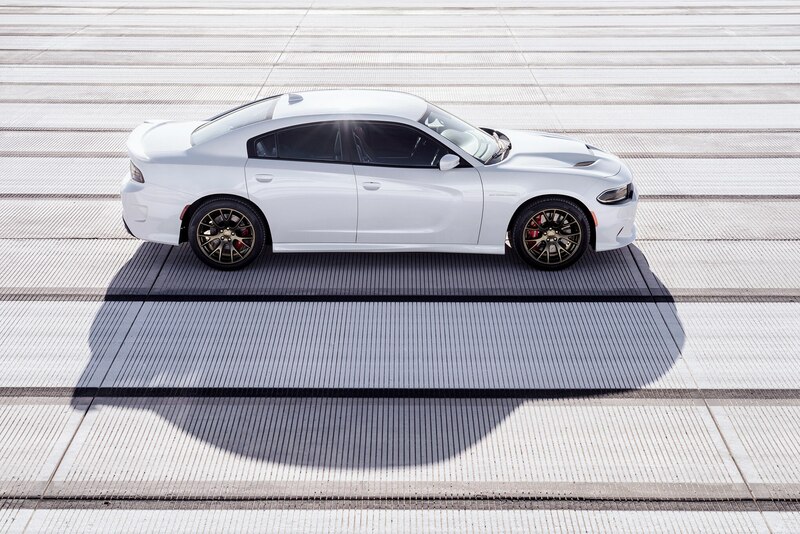 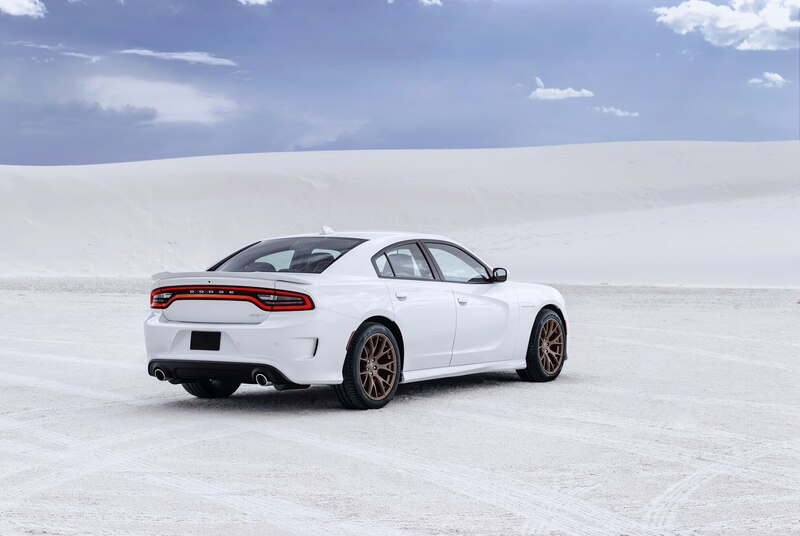 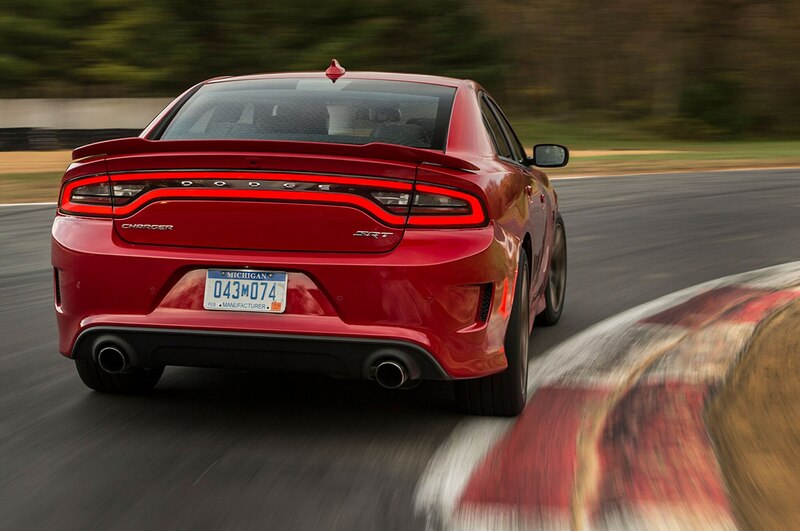 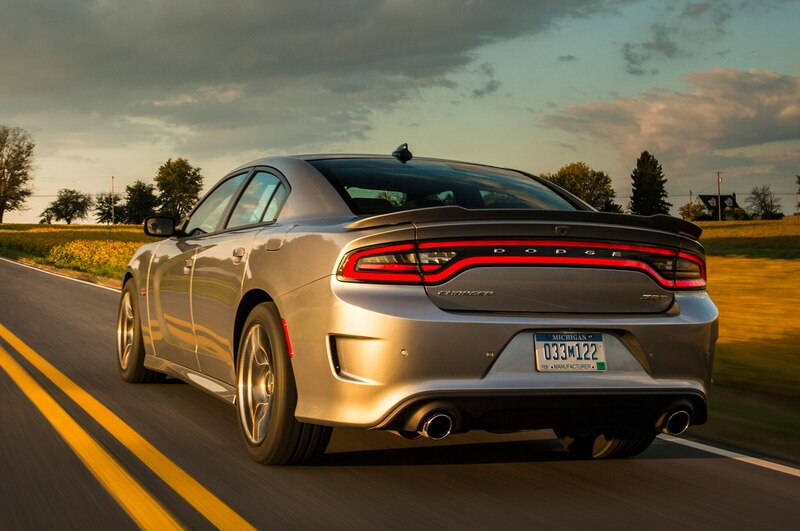 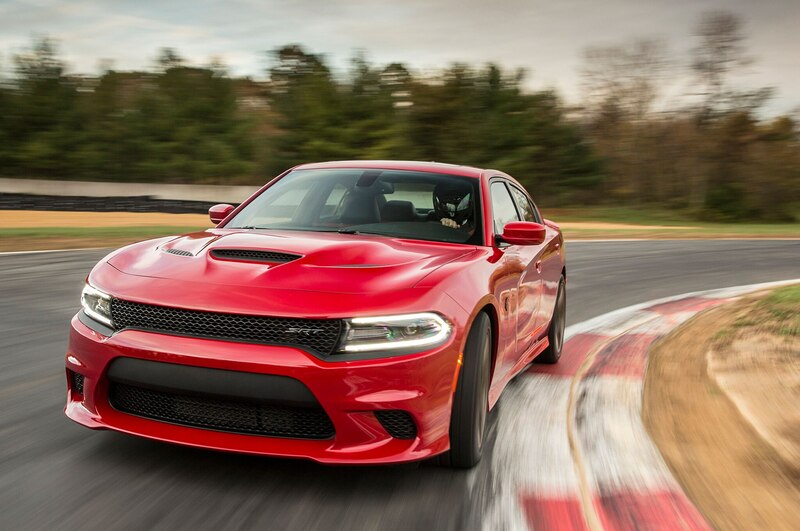 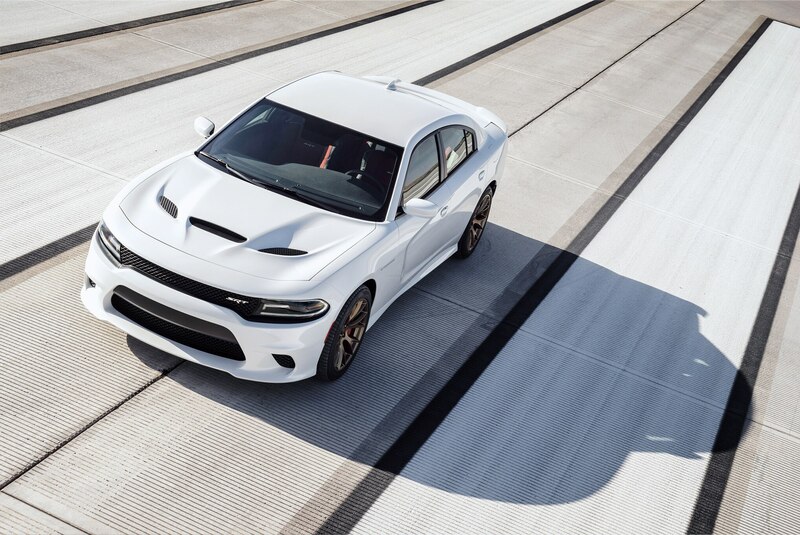 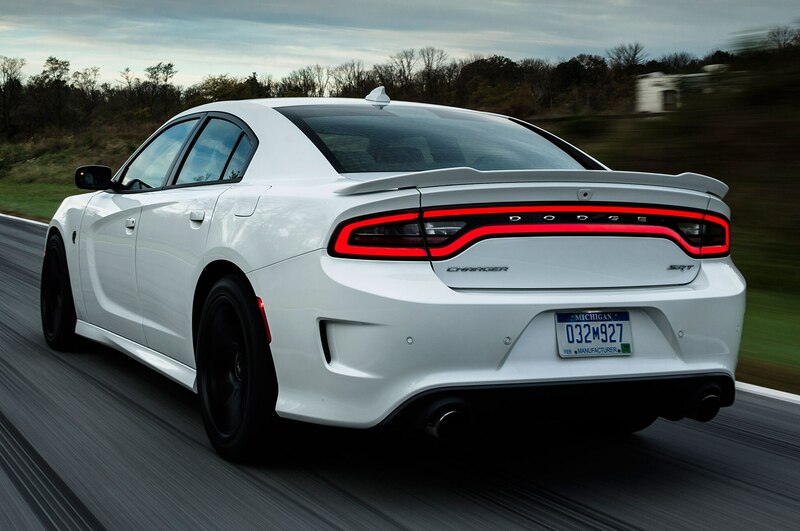 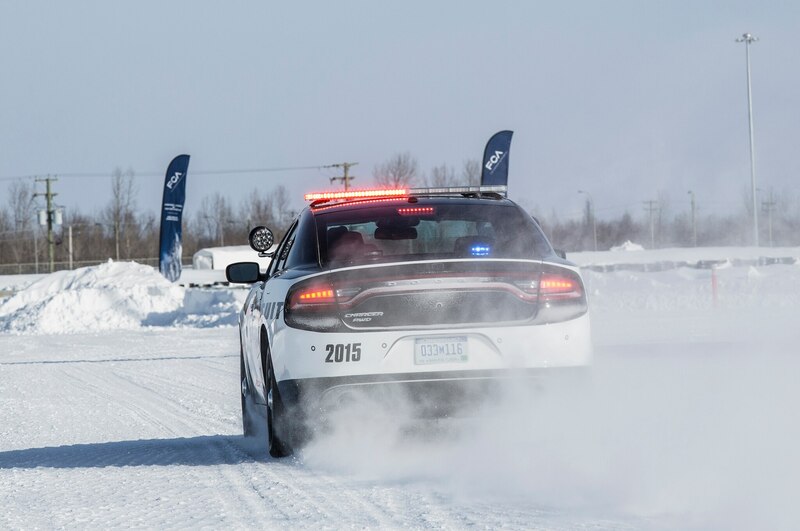 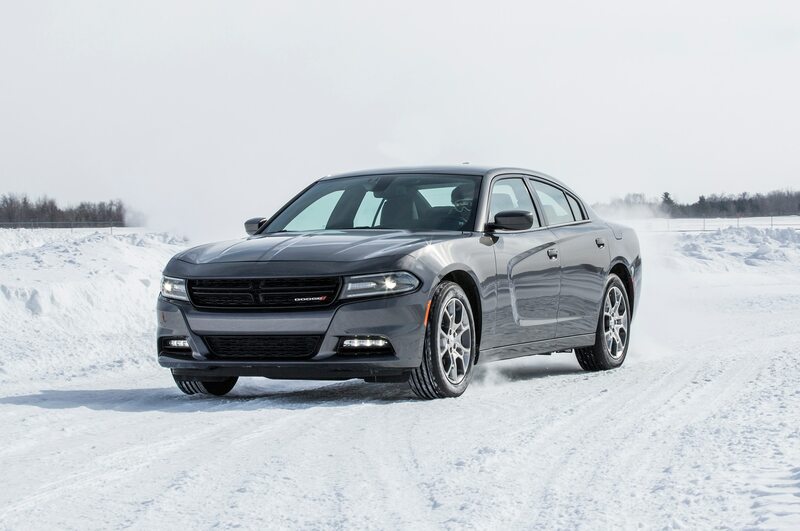 Despite its assaultive power, this Charger is too softly sprung and porky to dominate a track. 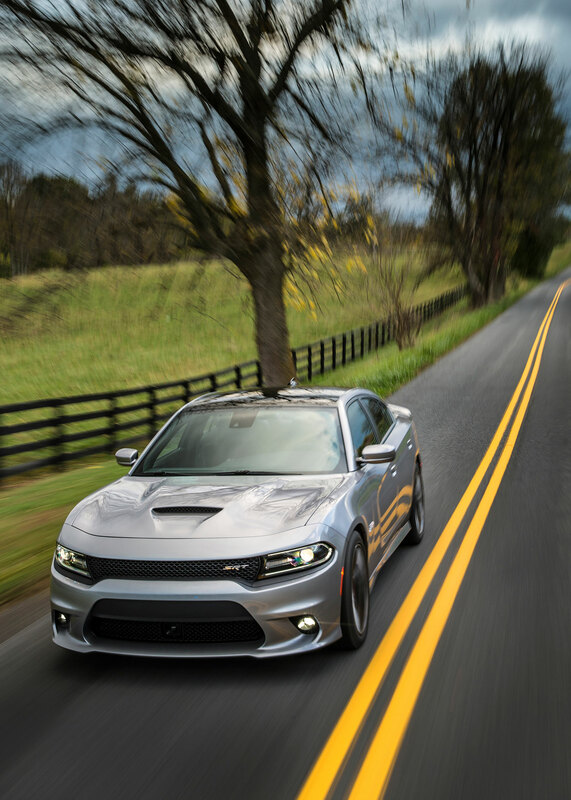 The Camaro Z/28 would use its superior everything—aside from brute force—to dispatch the Dodge. 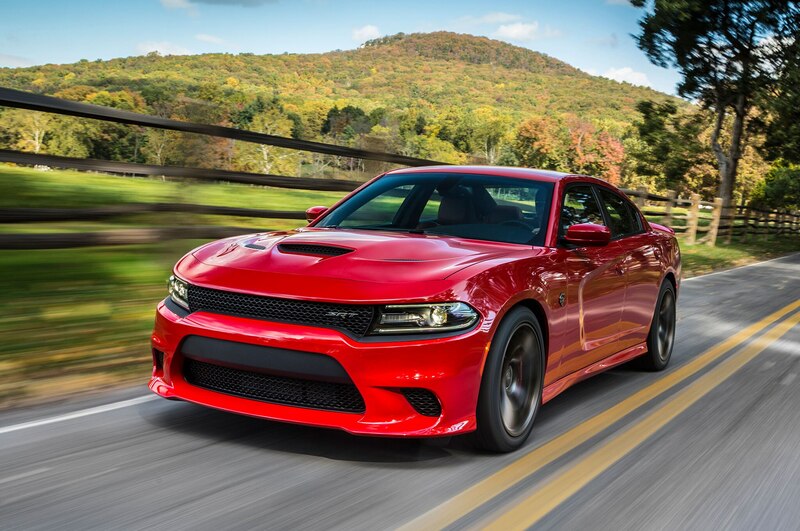 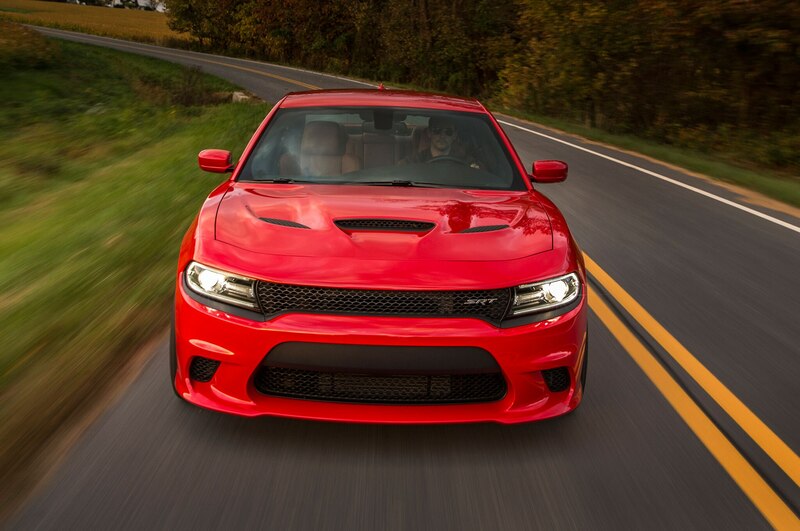 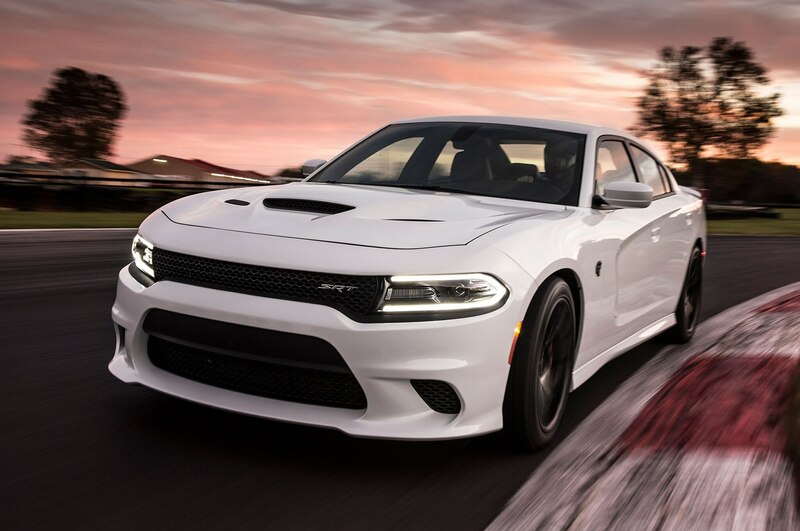 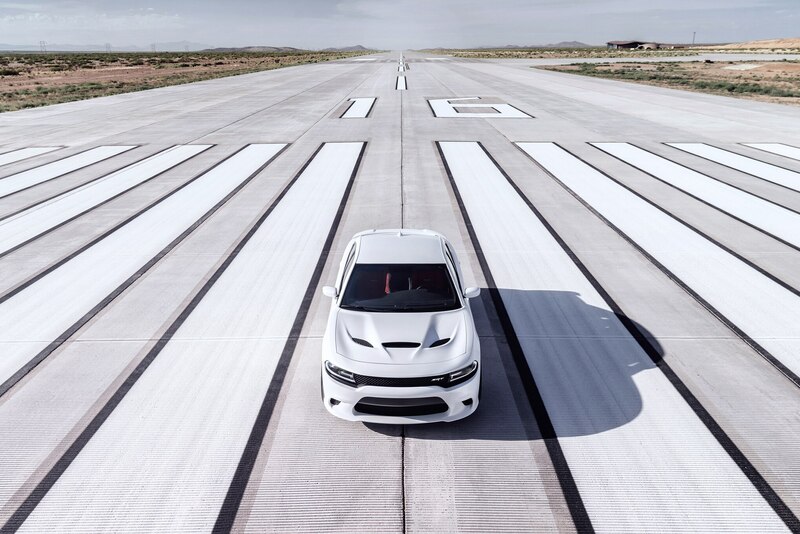 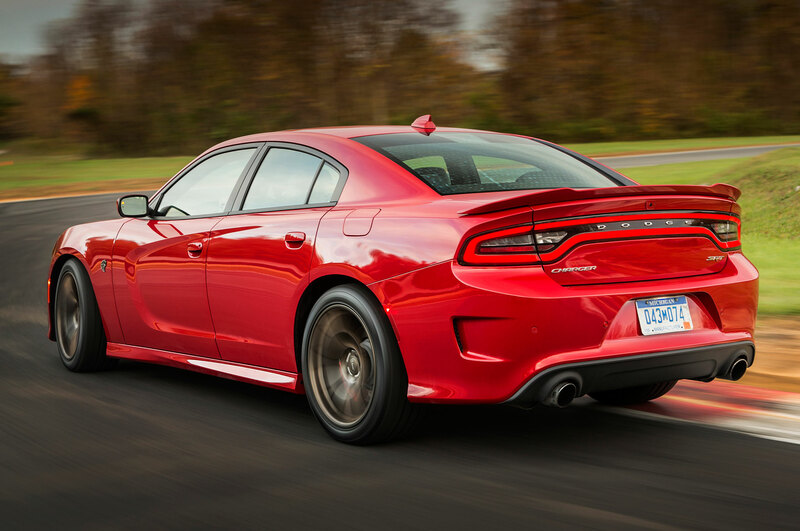 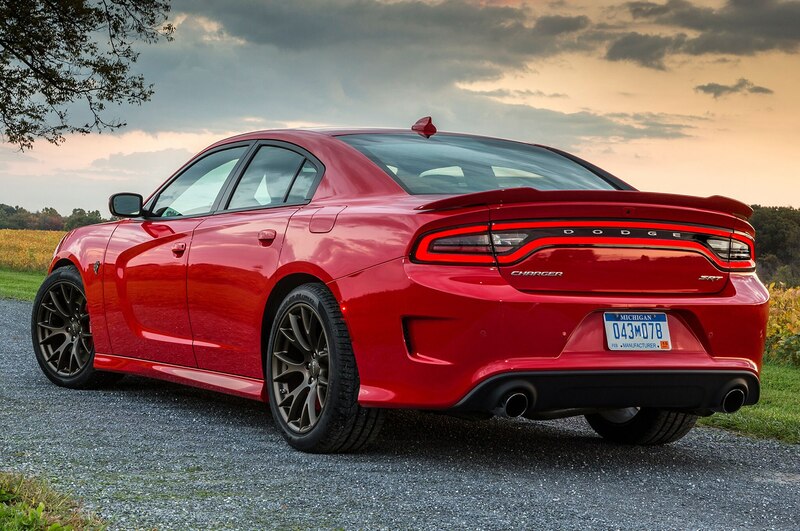 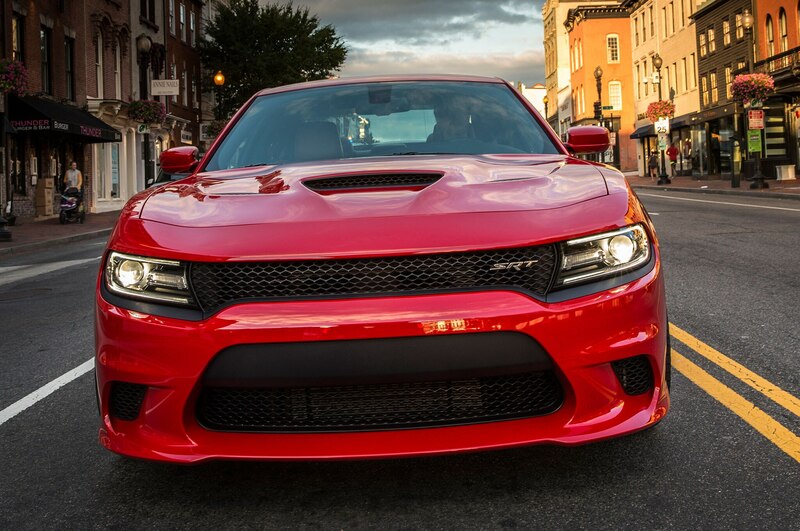 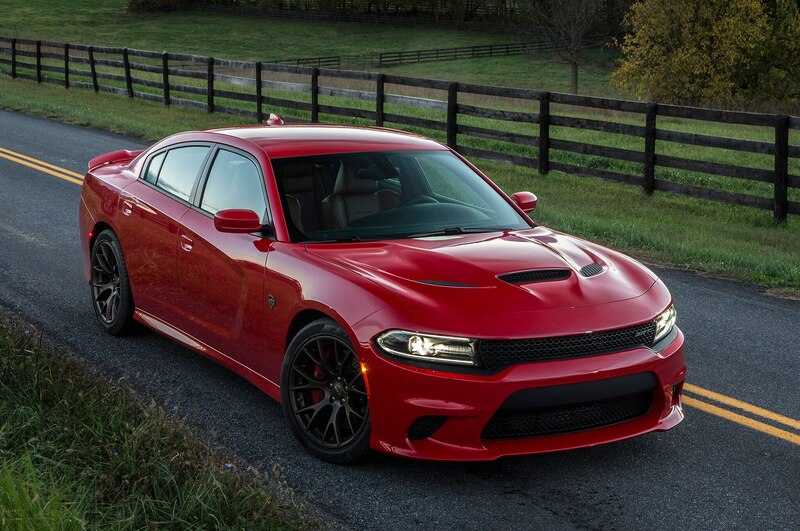 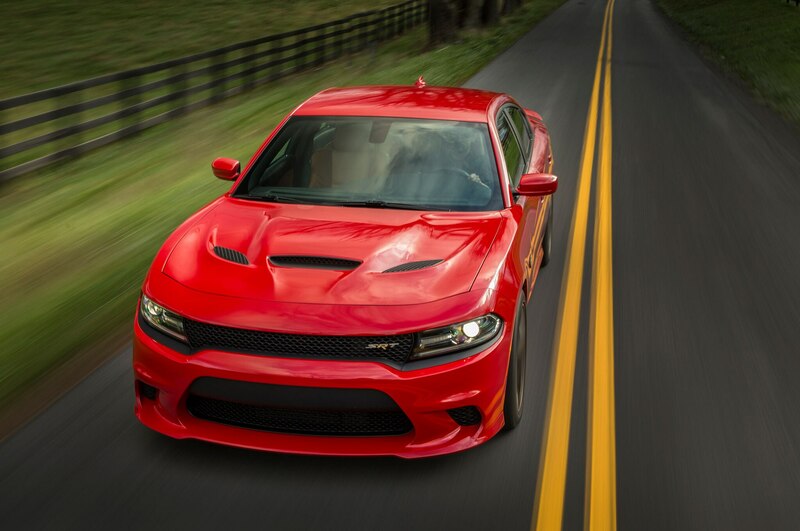 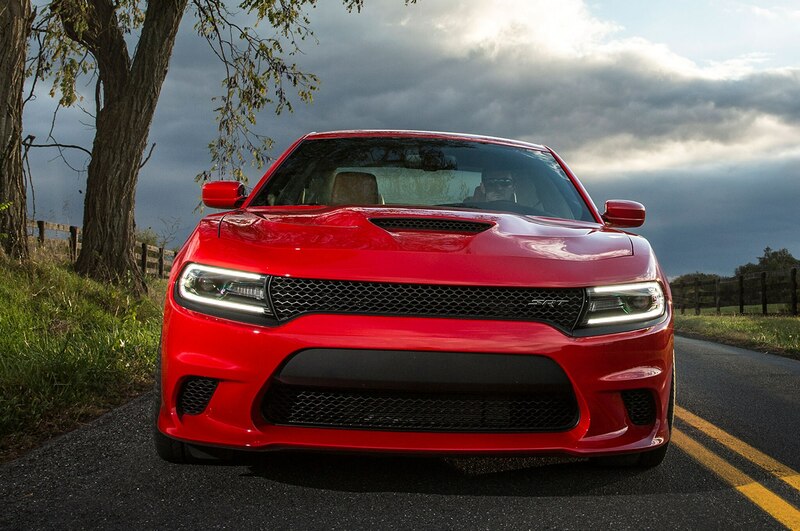 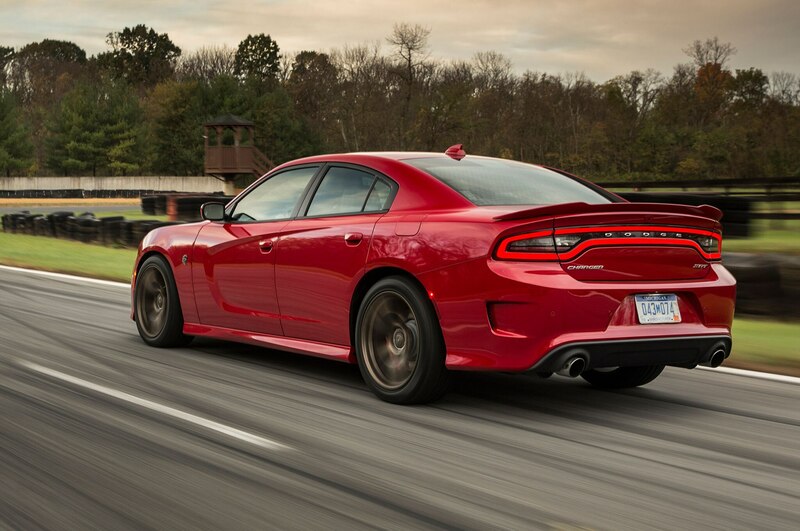 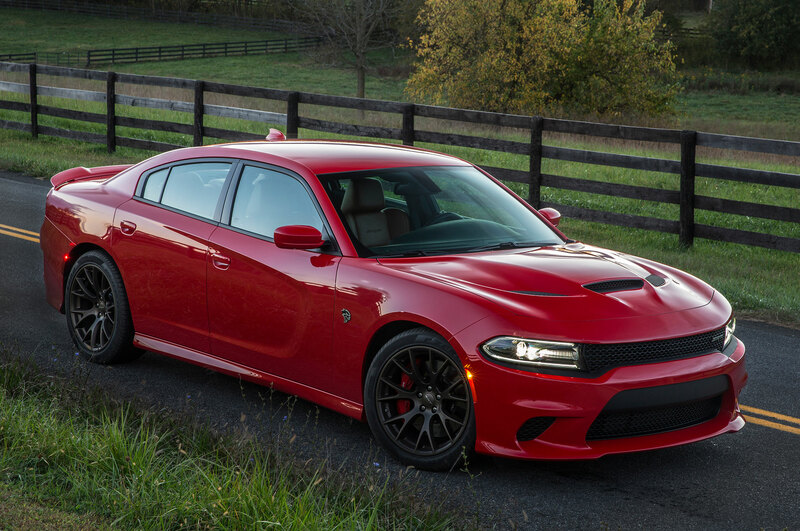 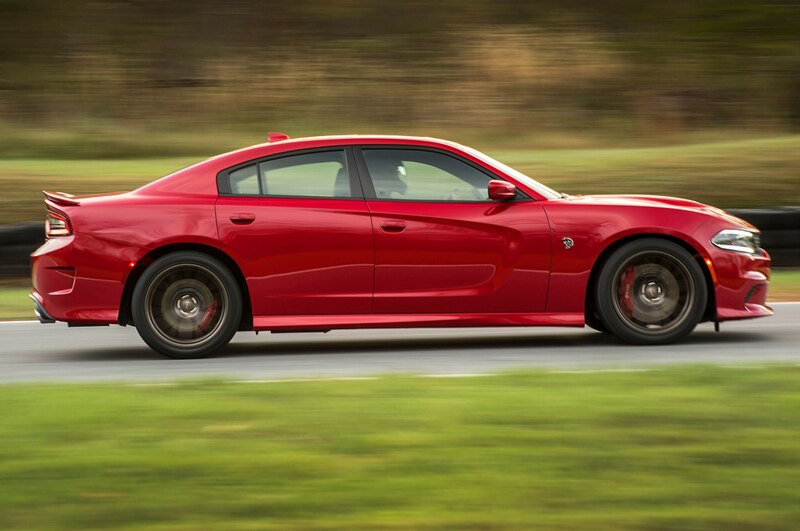 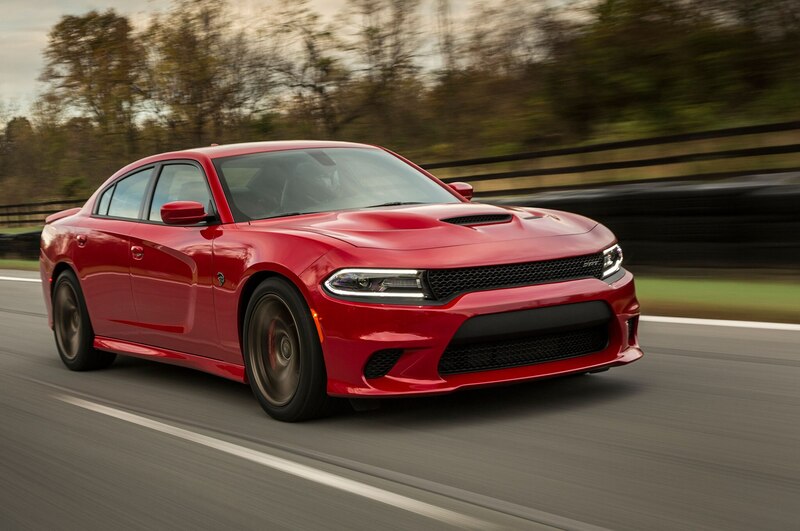 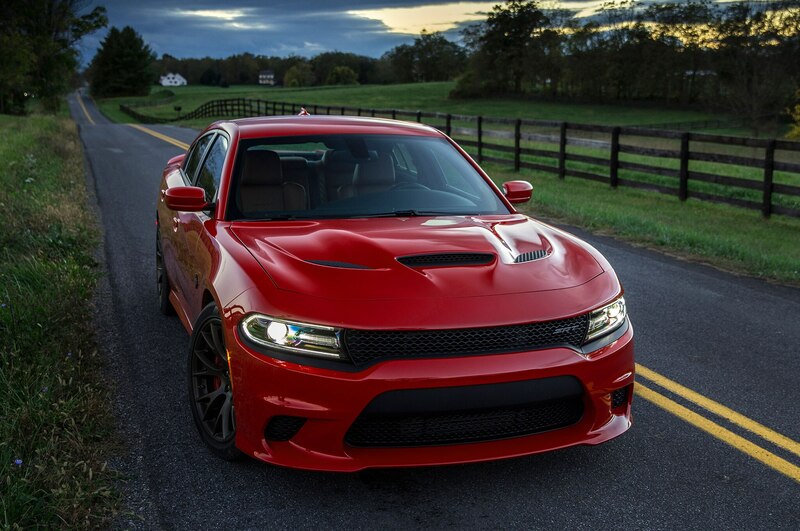 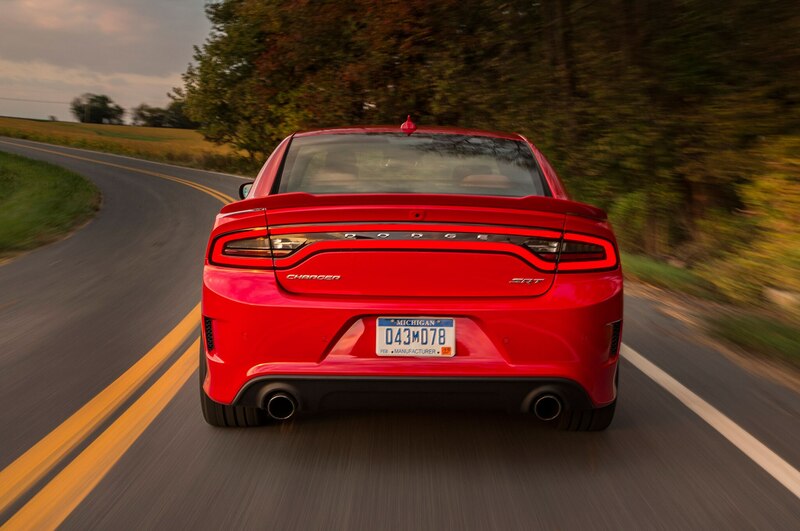 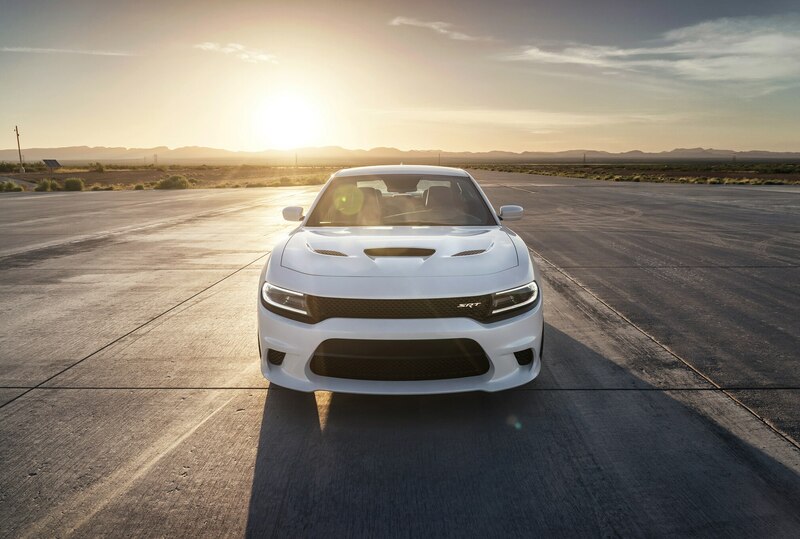 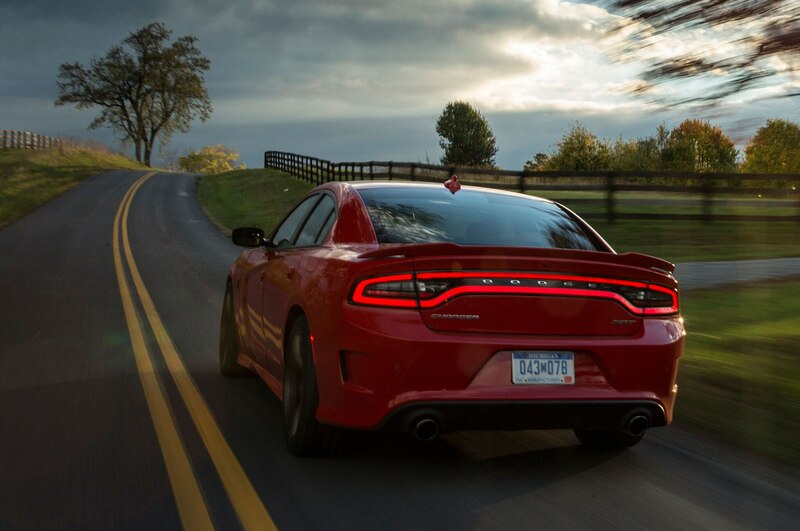 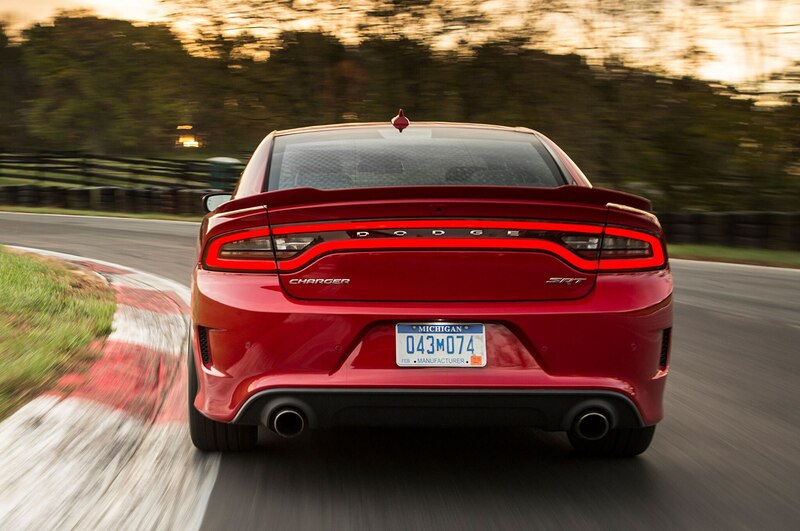 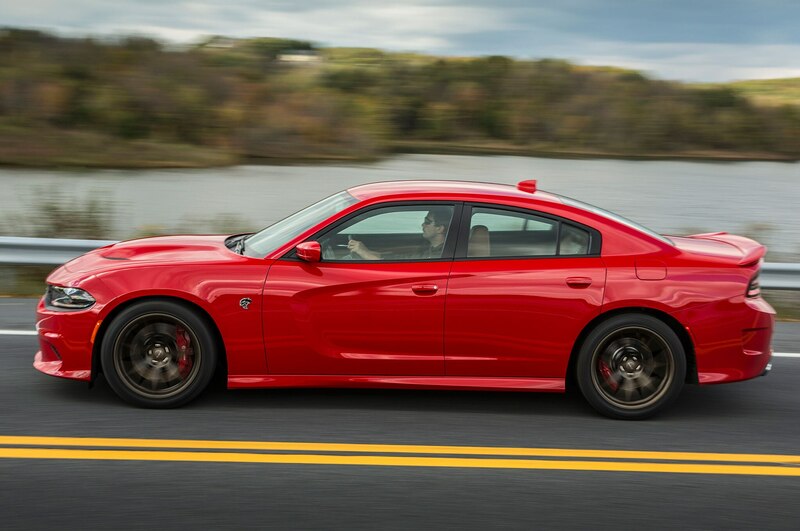 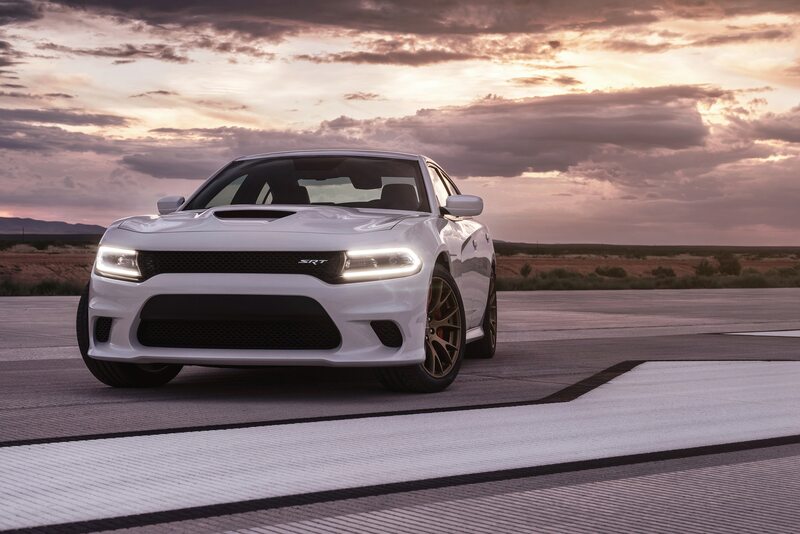 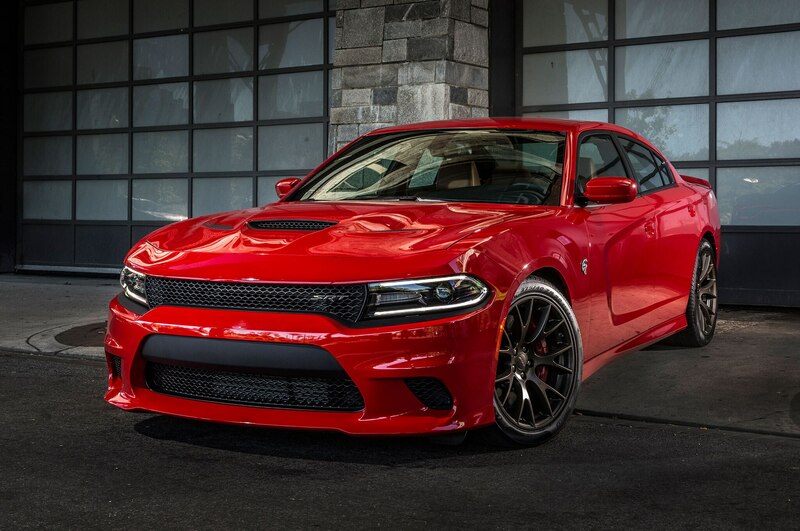 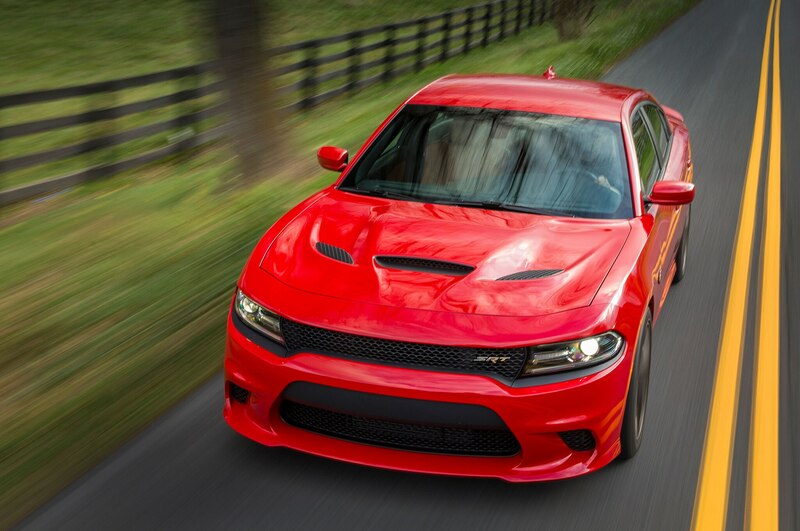 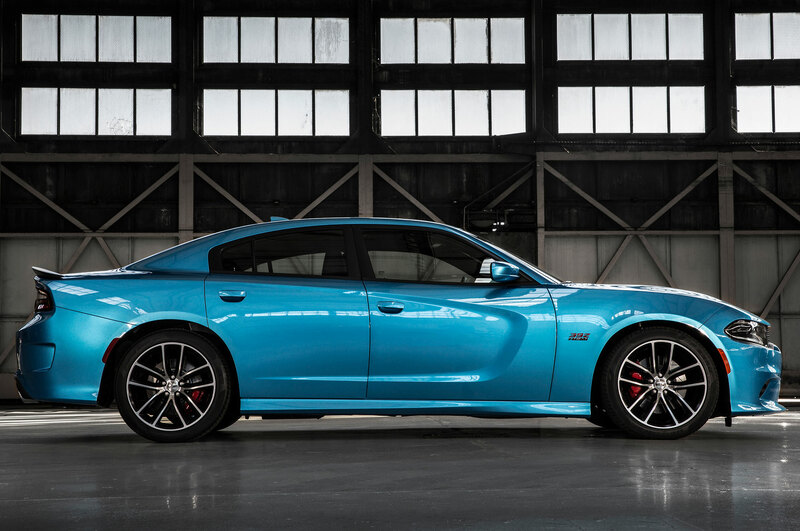 Yet as a daily driving sociopath, either Hellcat is arguably more appropriate than the track-centric Z/28. 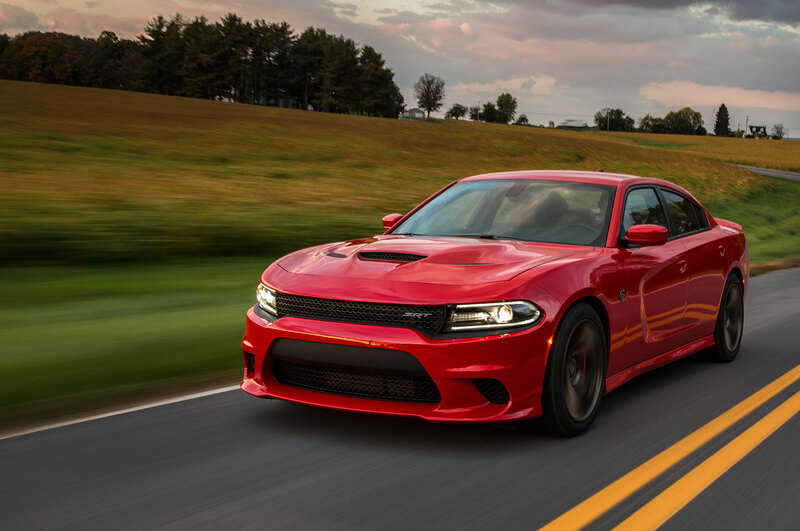 Two doors or four, the Hellcat will whup the Z/28 in most any street contest, is more comfortable and deluxe, and costs $10,000 to $14,000 less. 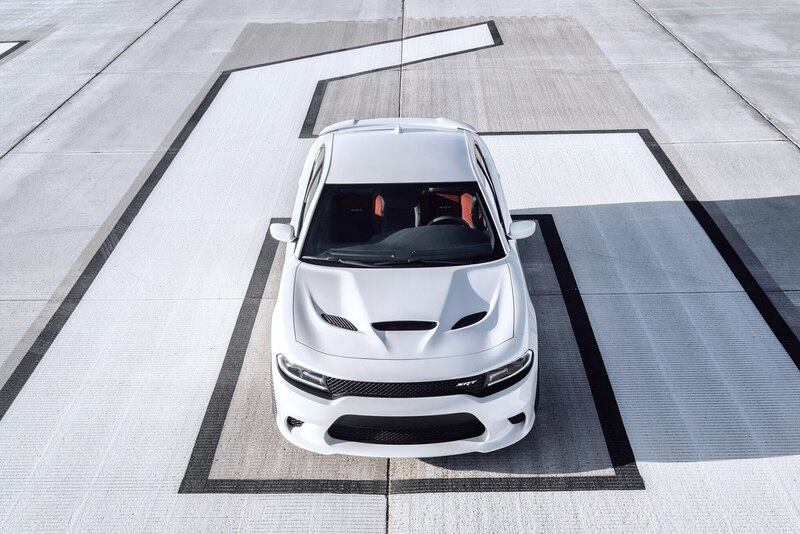 Either way, let the Motown battles rage.